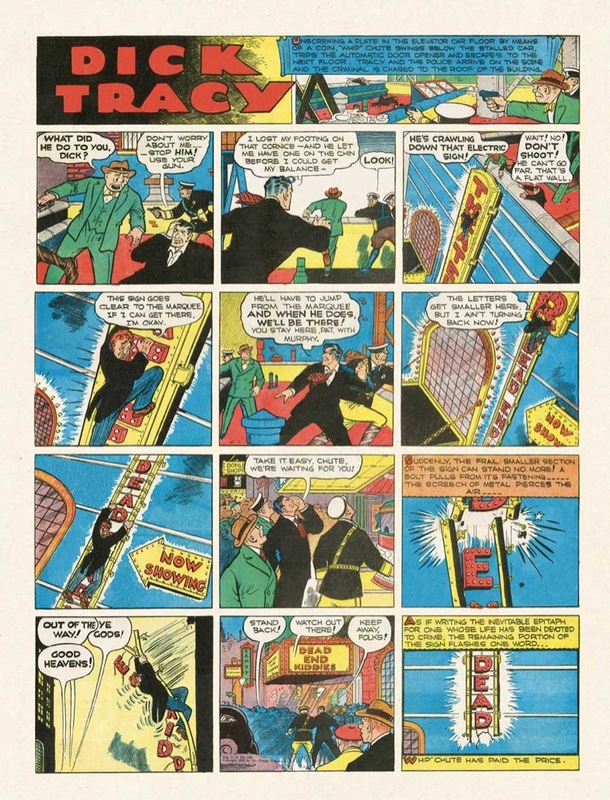 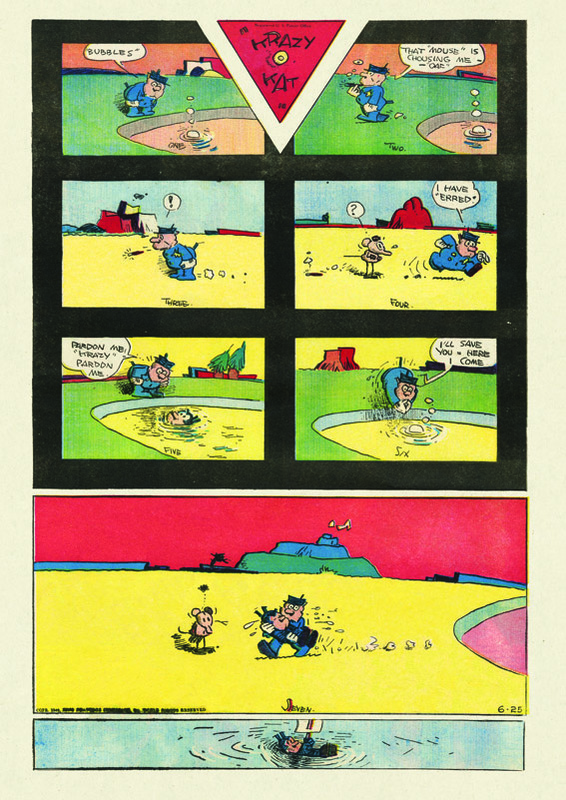 On the back of each Sammy Sneeze page is a comic from the reverse, monochromatic side of the New York Herald. 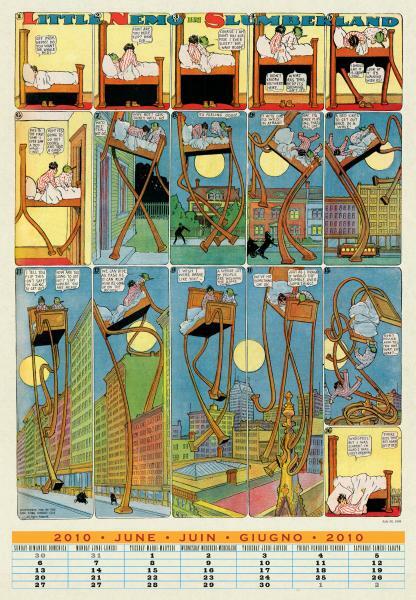 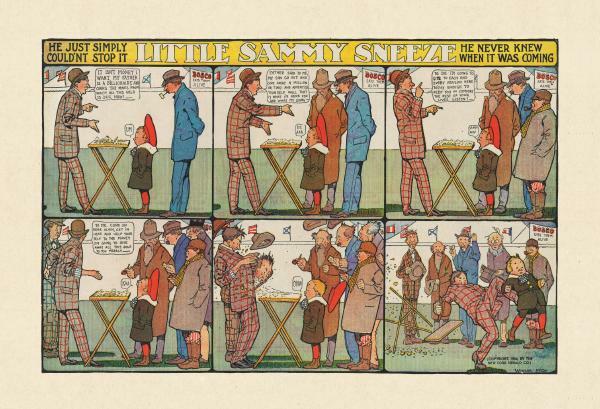 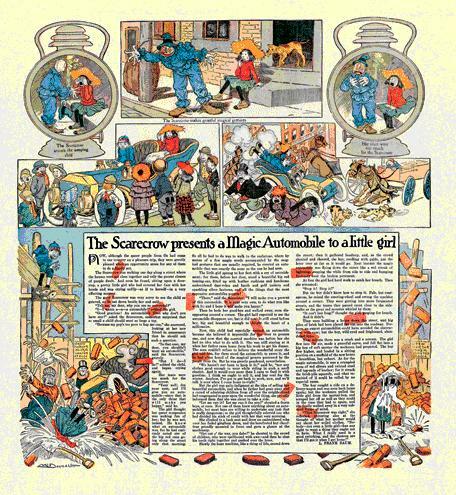 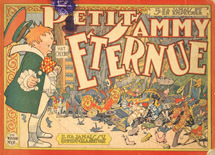 On July 24, 1904, Little Sammy Sneeze, Winsor McCay‘s first sustained and popular effort in comic strips, began a two-year run in the New York Herald. 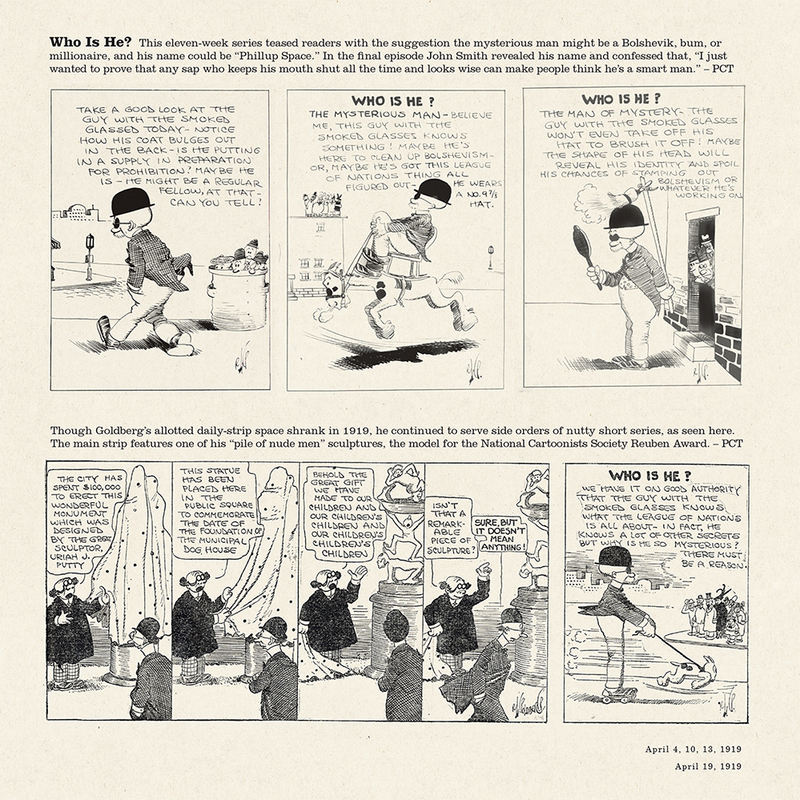 Today, McCay (1867-1934) is universally acknowledged as the first master of both the comic strip and the animated cartoon. 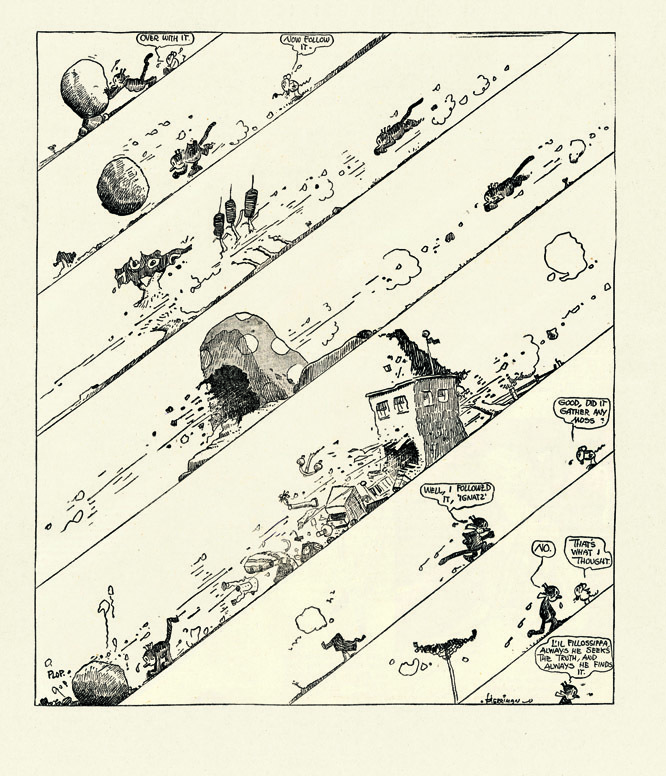 Although invented by others, both genres were developed into enduring popular art of the highest imagination through McCay's innovative genius. 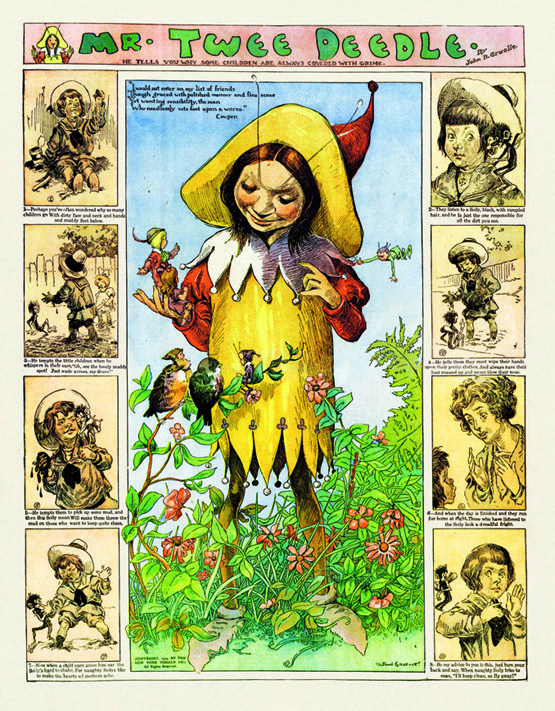 To be a child is to be almost powerless, a pawn not only to the big people around you but also to your own hard-to-control emotional and biological urges. 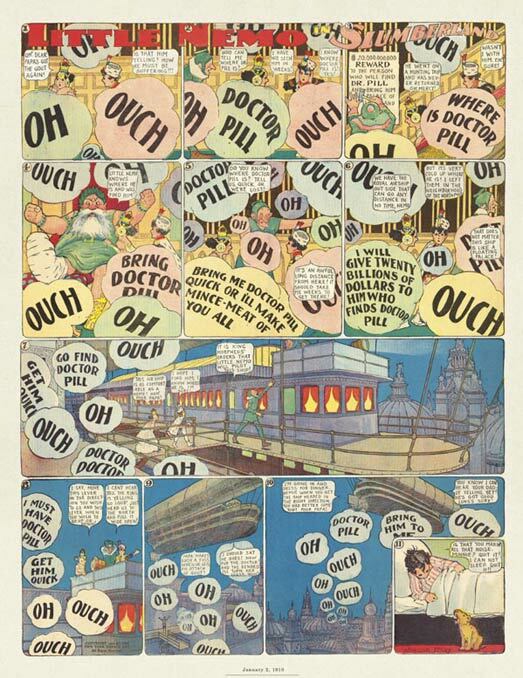 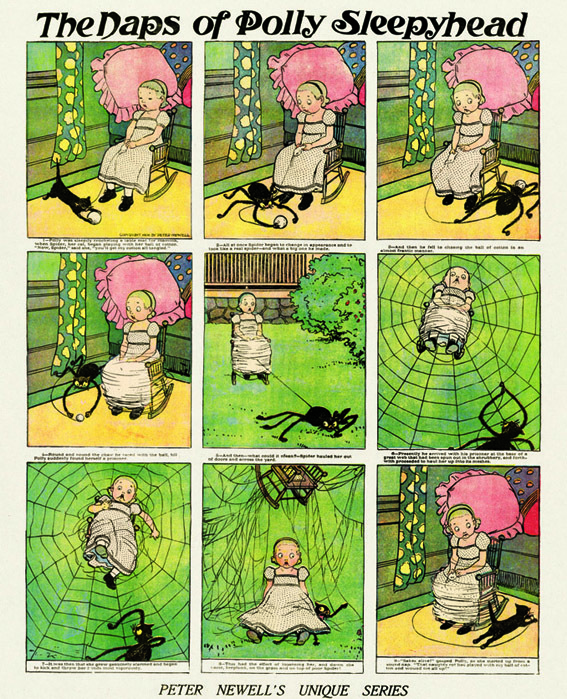 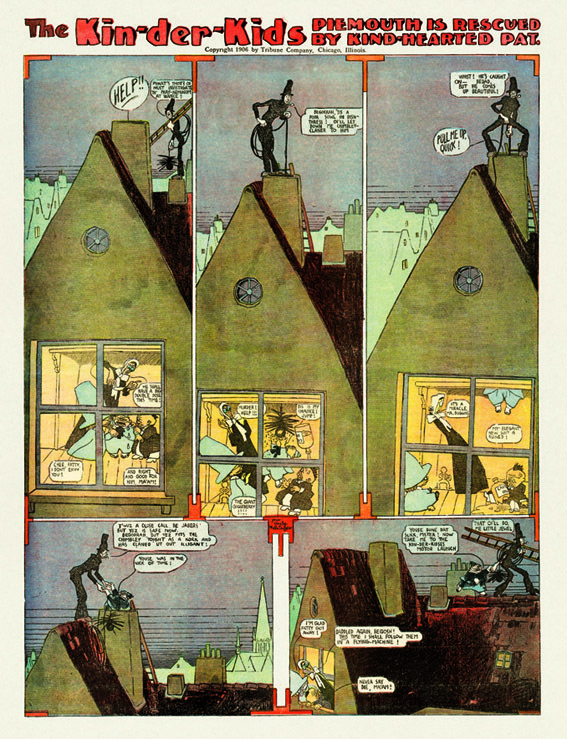 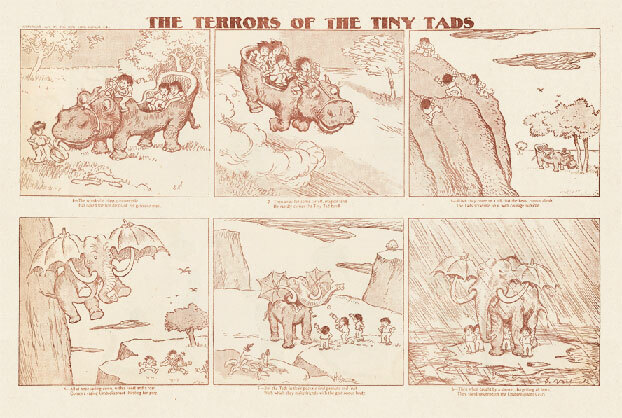 Part of Winsor McCay‚s greatness as a cartoonist was his deep imaginative sympathy for the emotional life of little kids, his ability to recreate in comic strip form childhood fears and traumas. 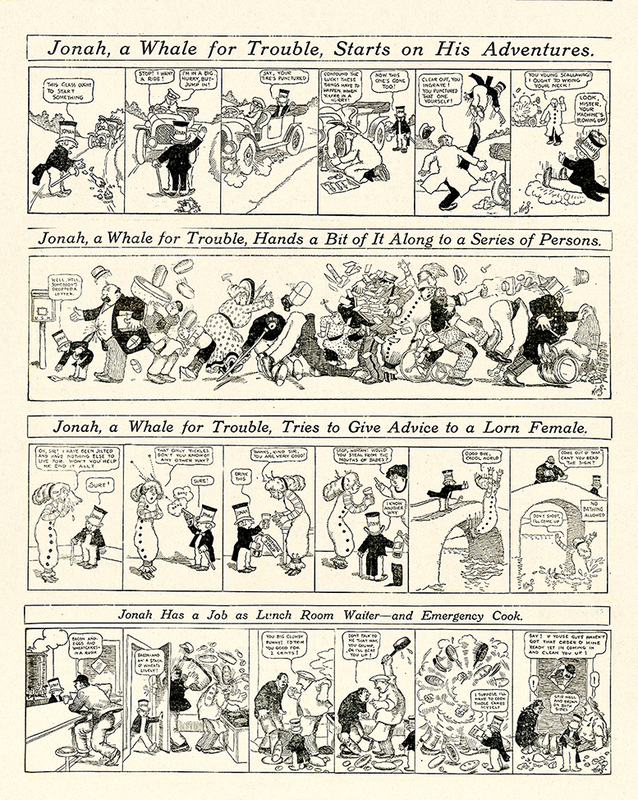 McCay‚s pen and ink children are always losing control: Sammy can‚t help but sneeze, Nemo always ends up in Slumberland whether he wills it or not, and Hungry Henrietta has an enormous and unappeasable appetite. 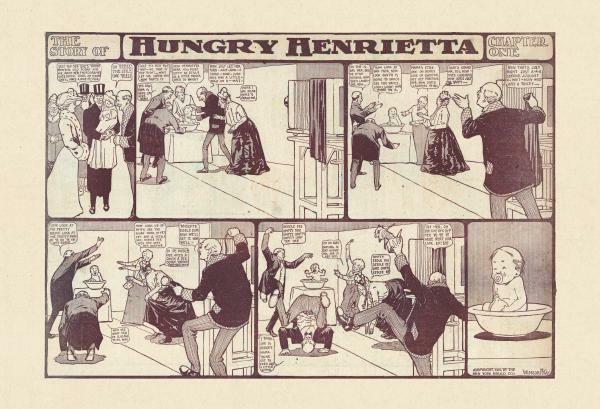 Of these three kid strips, Hungry Henrietta is the most down to earth, the most understated, and the most rooted in observed reality. 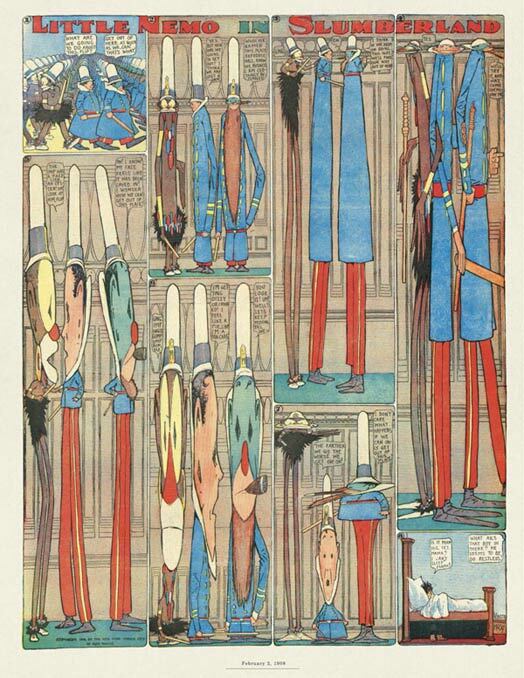 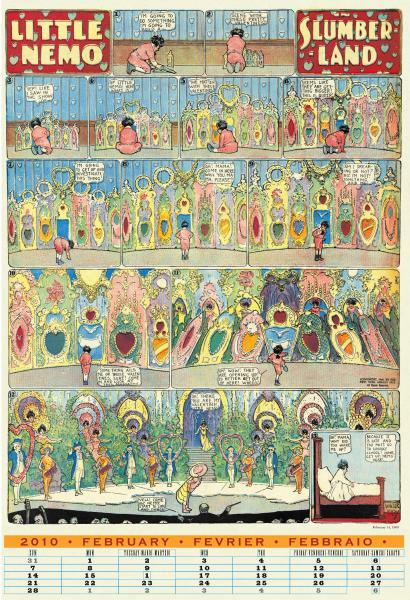 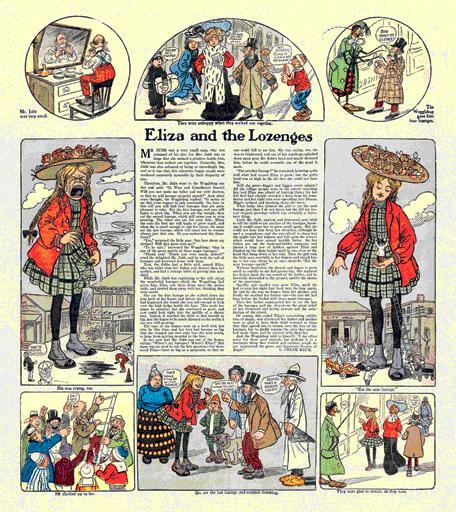 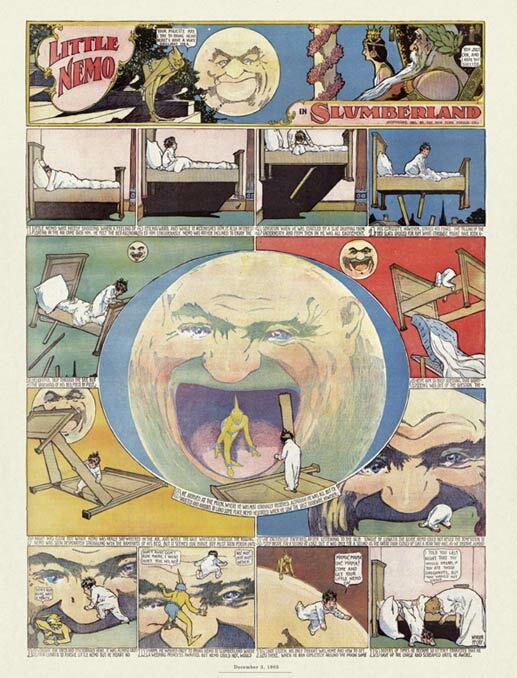 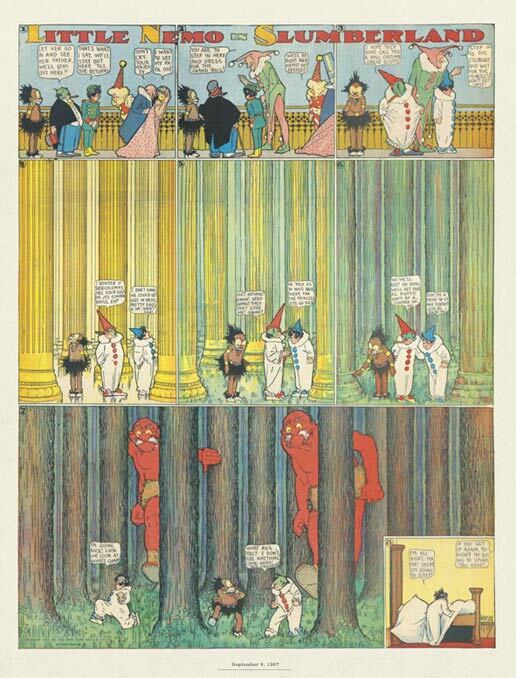 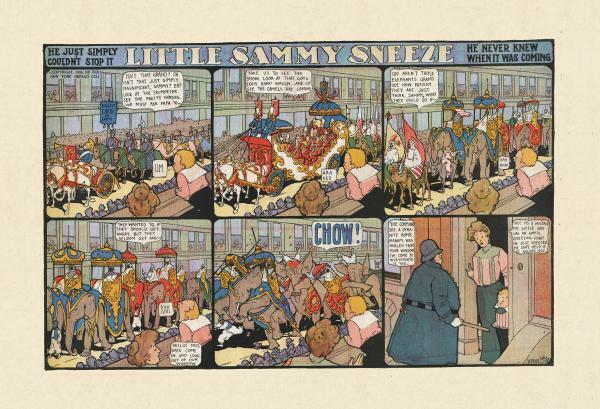 Some may have dismissed Little Sammy Sneeze as a curious oddity, a historical footnote to McCay's subsequent masterpiece, Little Nemo in Slumberland . 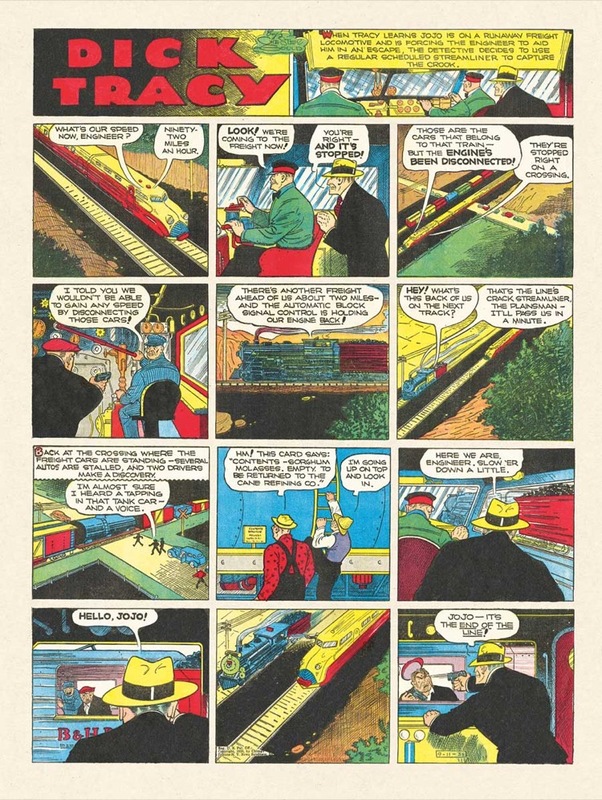 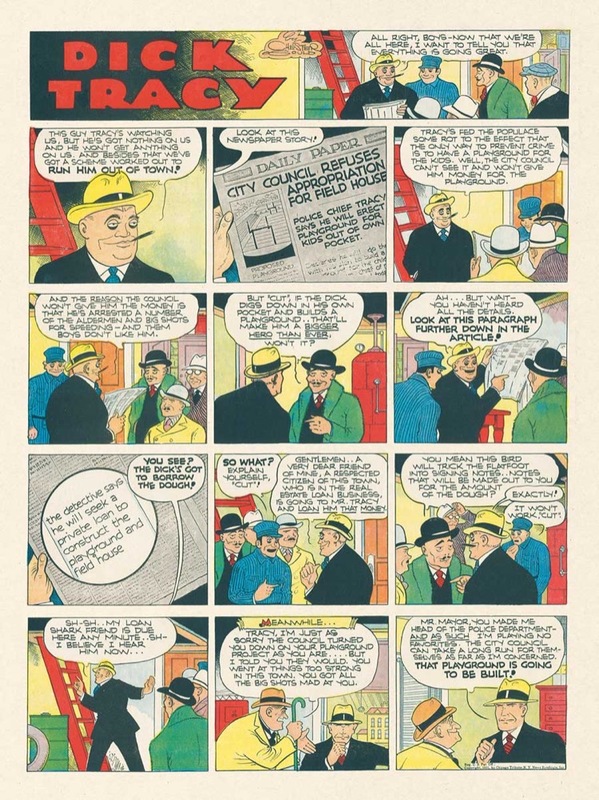 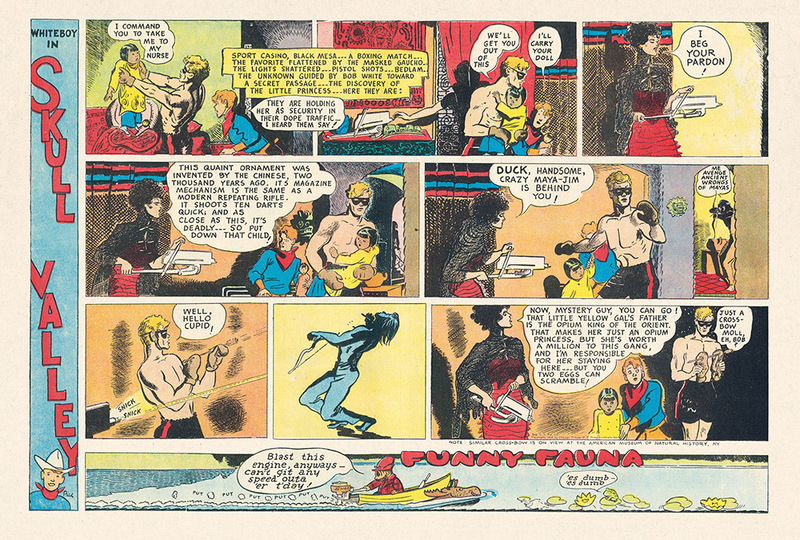 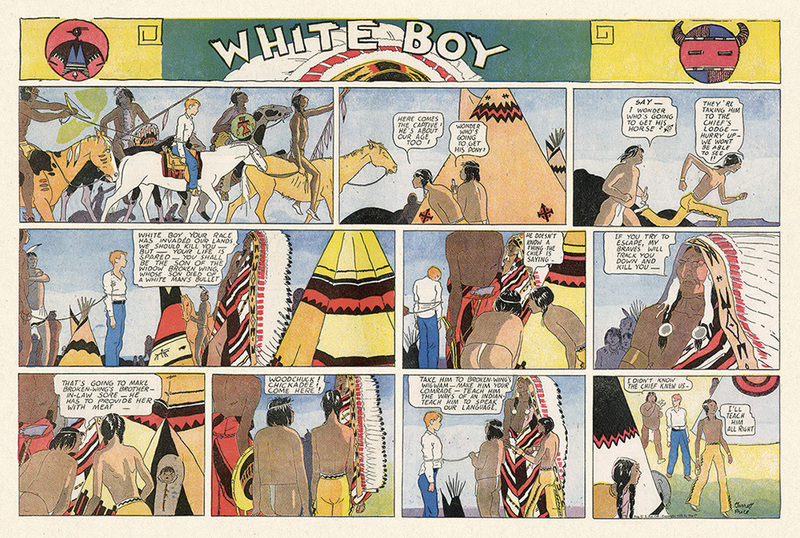 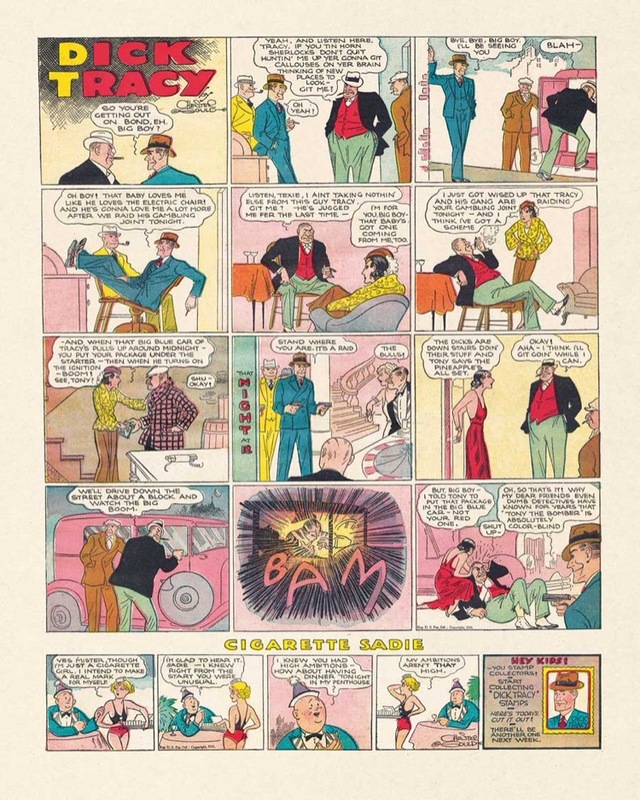 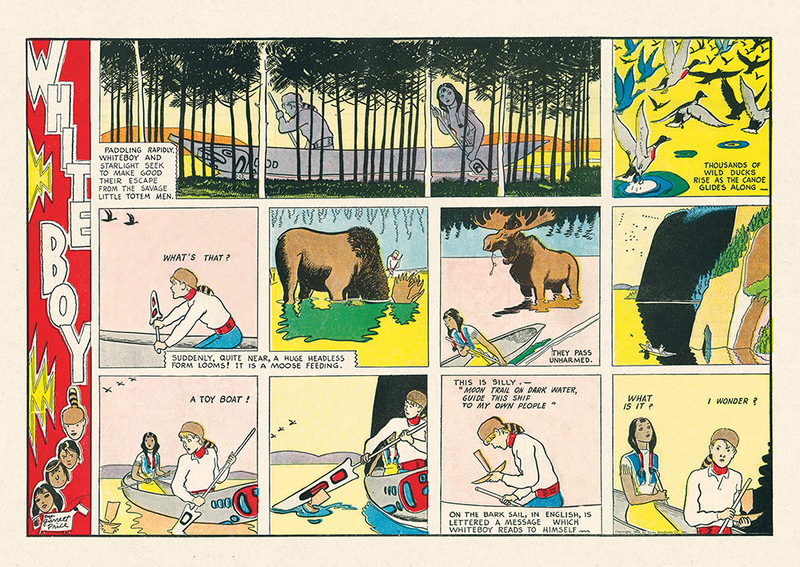 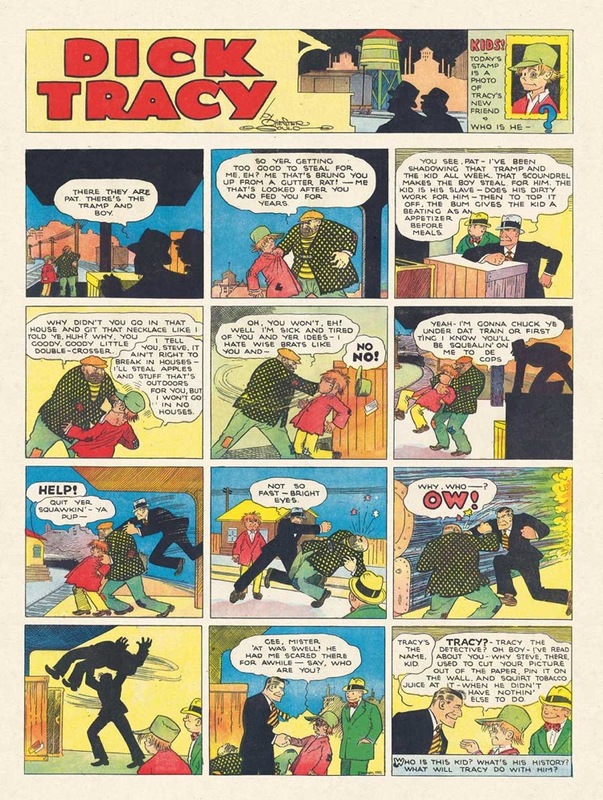 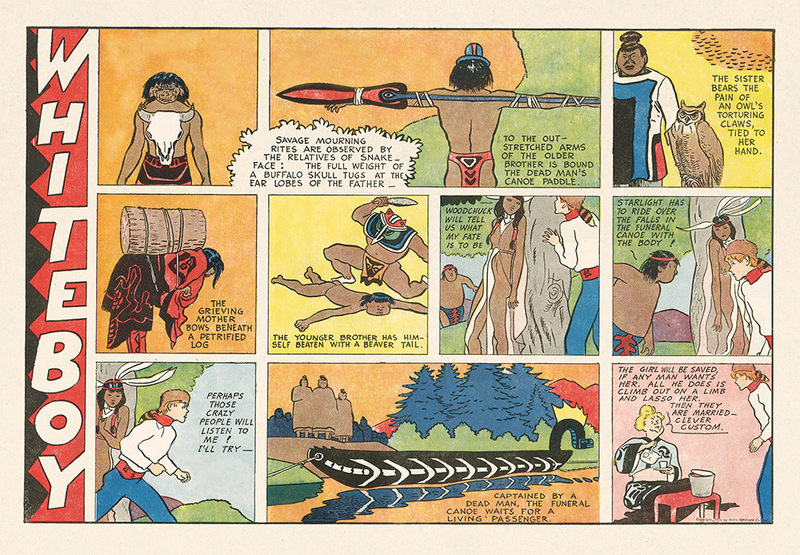 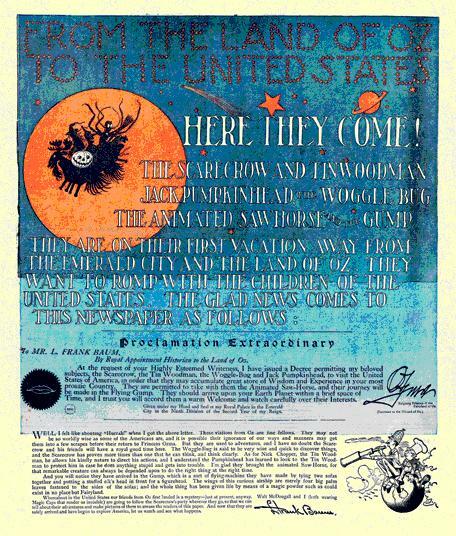 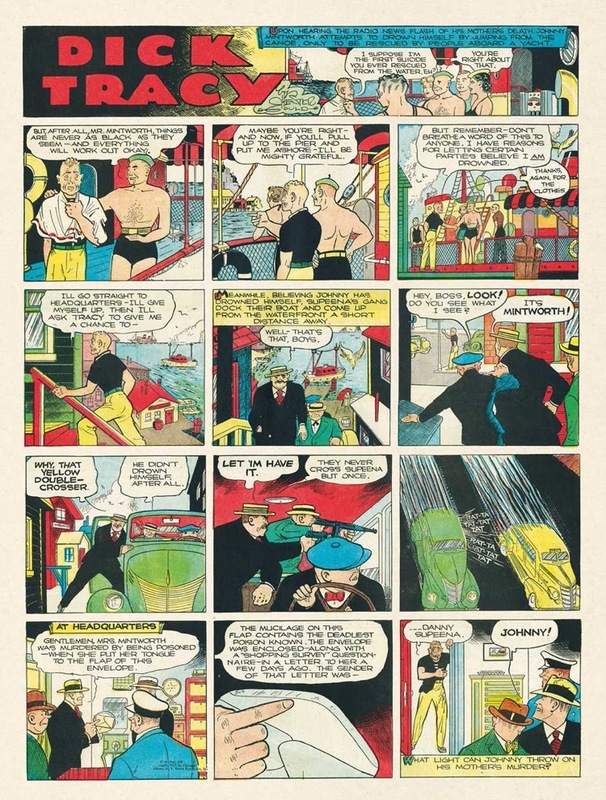 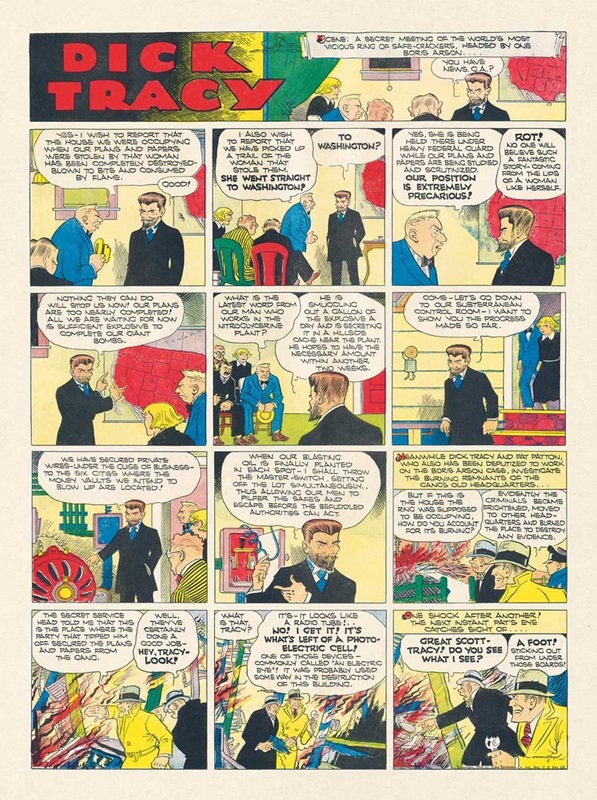 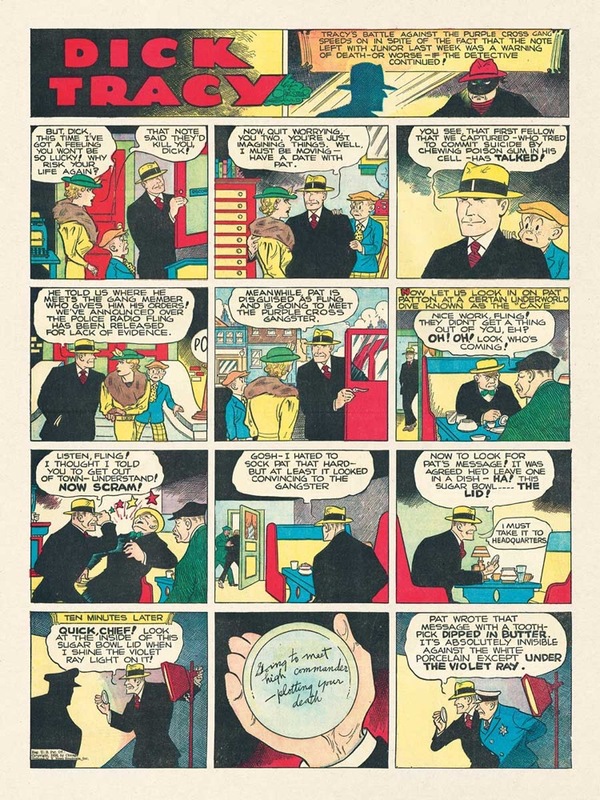 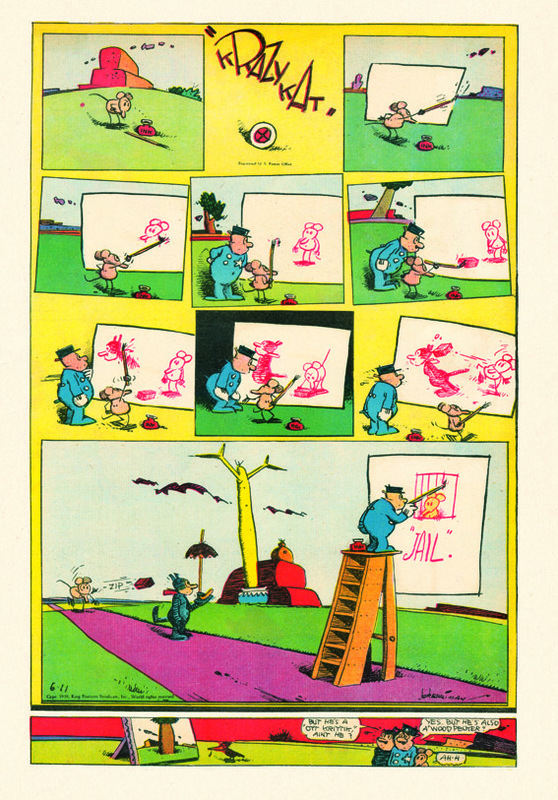 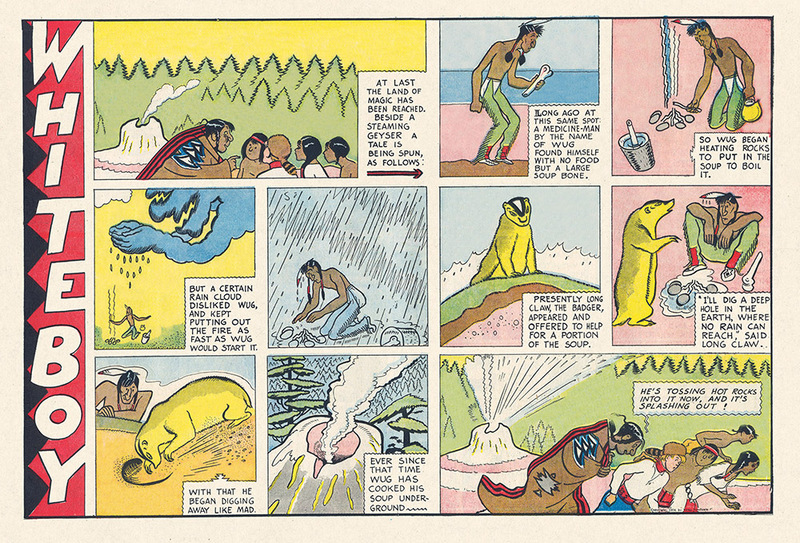 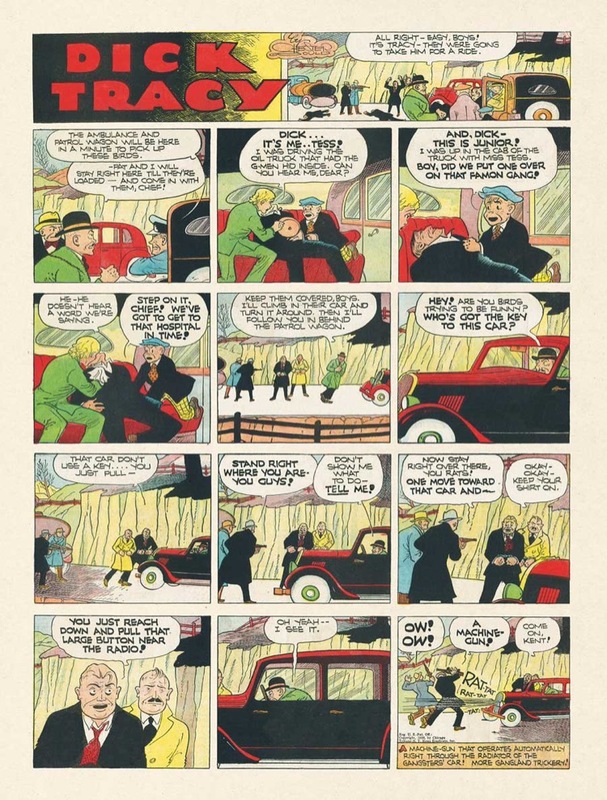 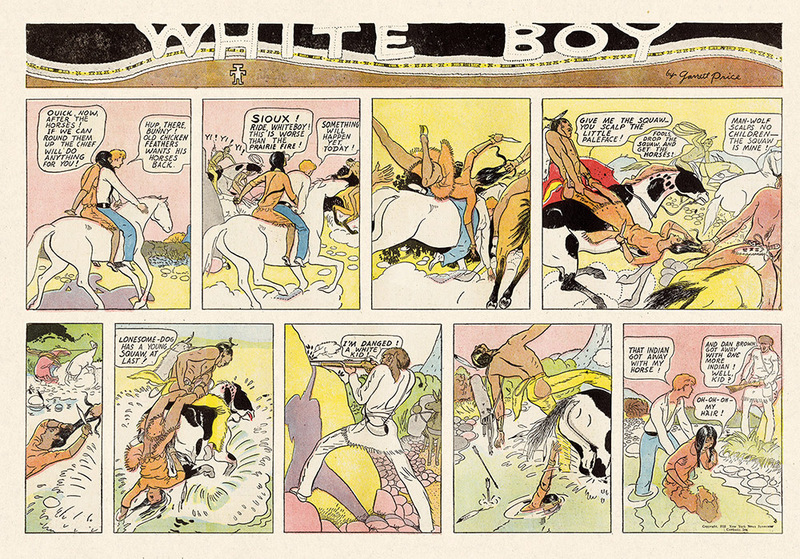 But after looking more closely at this unique comic strip, one realizes its significance, not only as an essential part of the creator's impressive body of work, but also as a developmental milestone in the evolution of comic art. 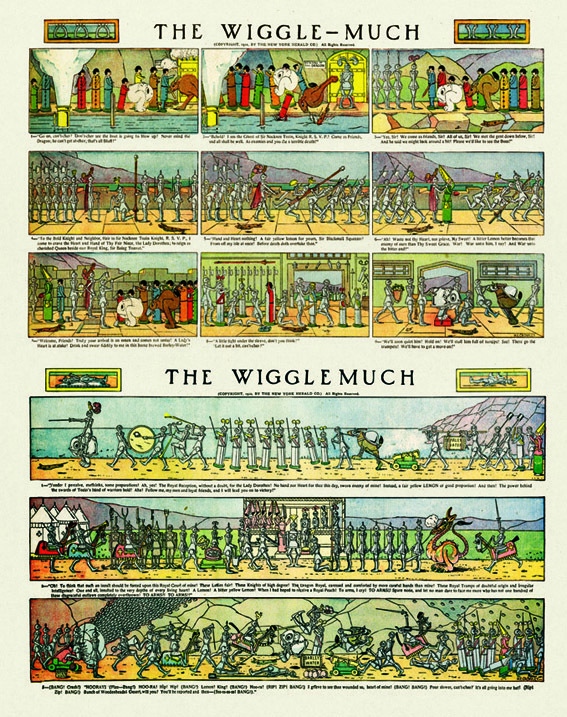 There is more here than the simple repetitive gag of the destructive sneeze. 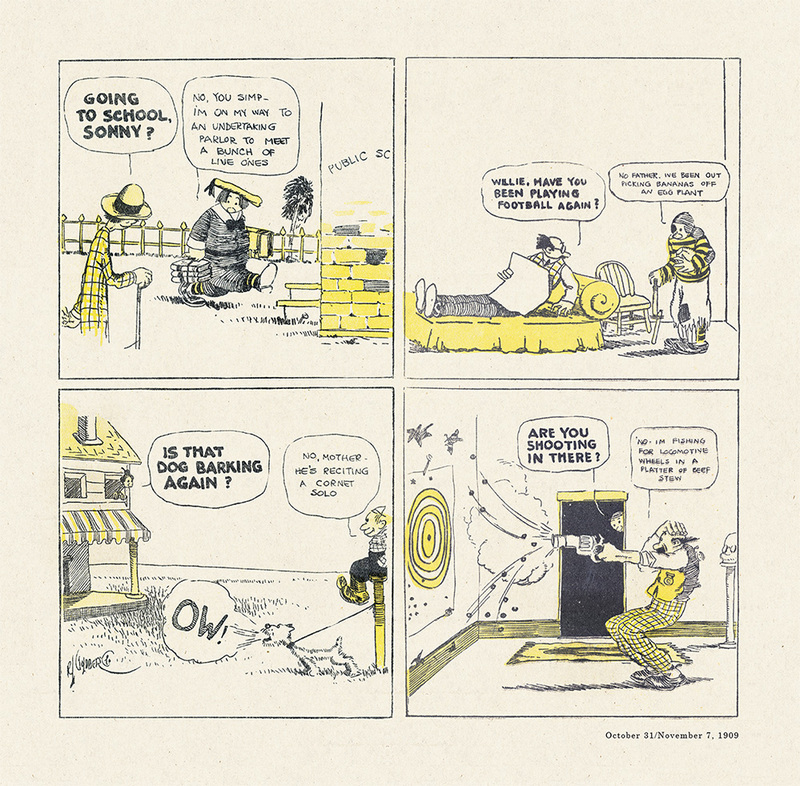 Each strip offers a vignette of the American middle-class life a century ago, with greater variety and insight than most offerings of the day. 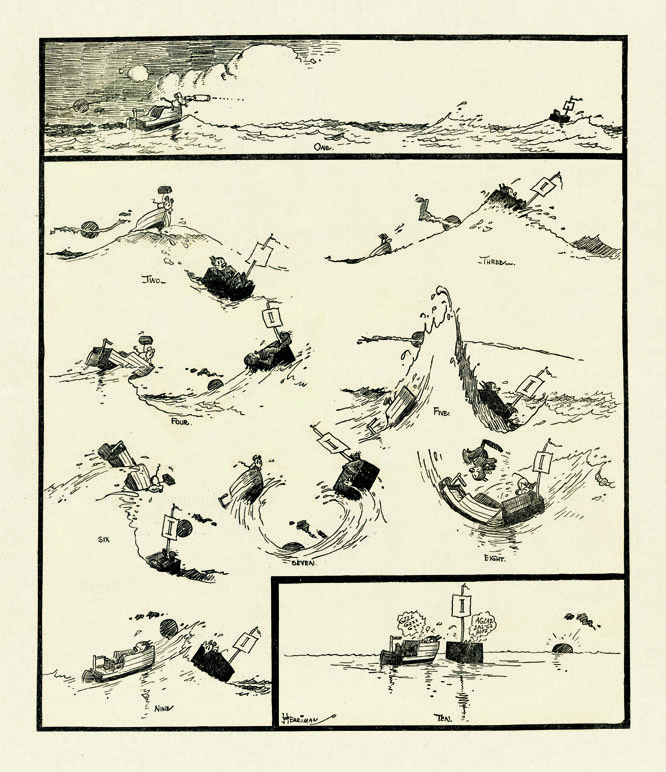 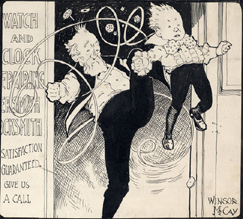 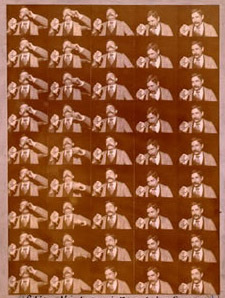 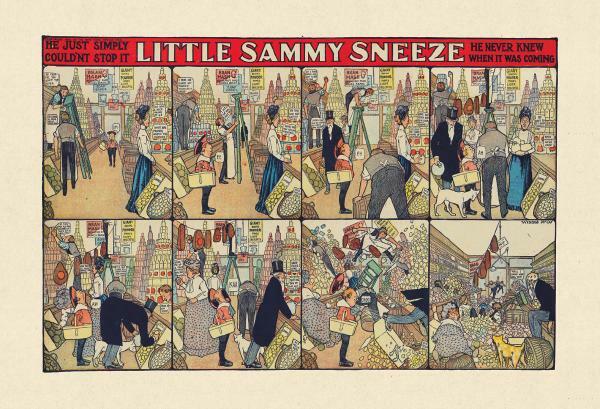 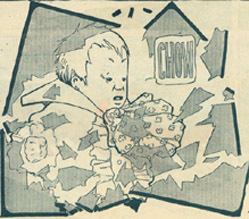 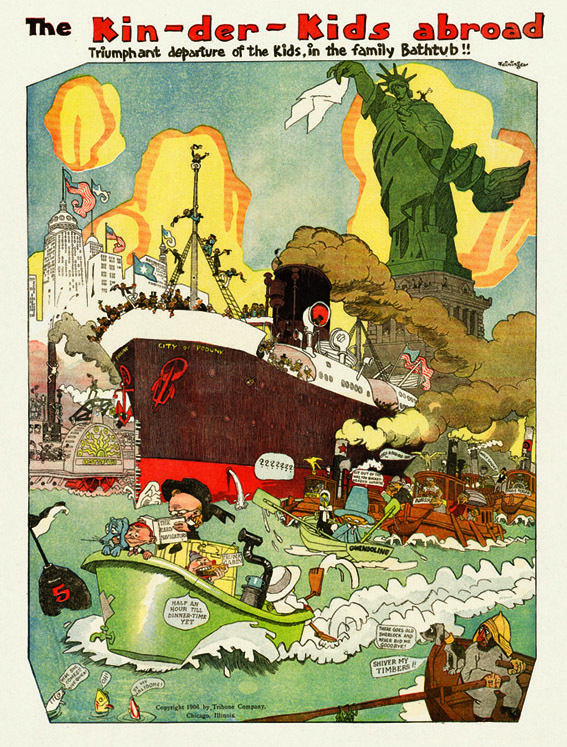 The cinematic elements of Sammy Sneeze create a novel link between the two art forms and display McCay's emerging interest in storytelling and animation. 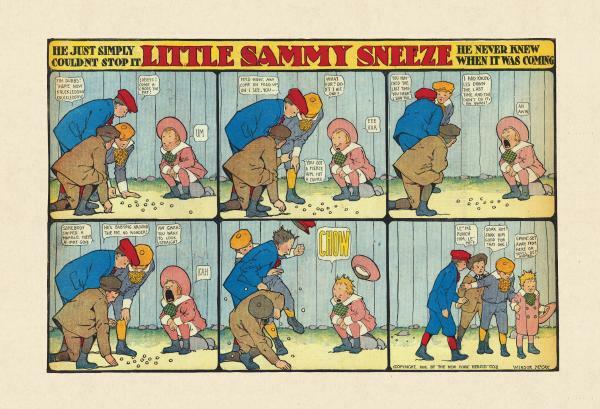 The essays in this book, from world-renowned historians, develop these and other concepts for a fresh look at Little Sammy Sneeze . 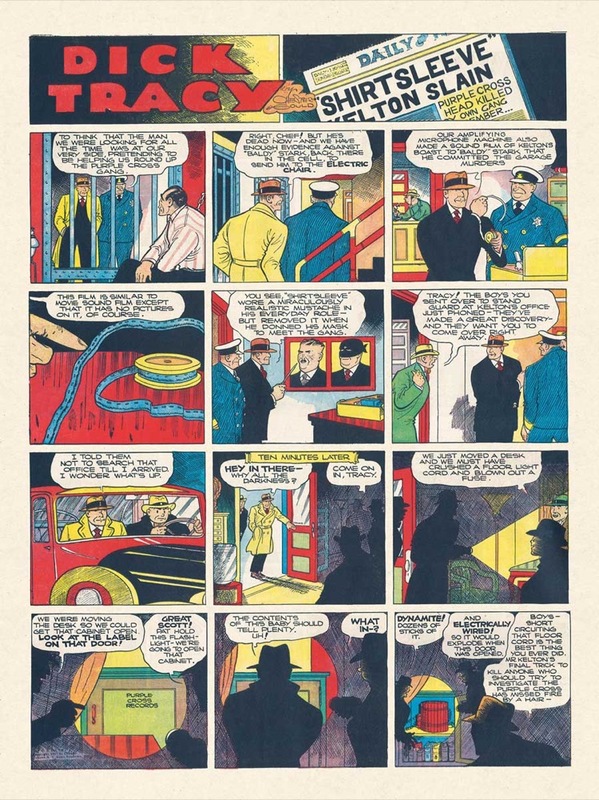 Yet the true revelations for the reader will come from the strips themselves. 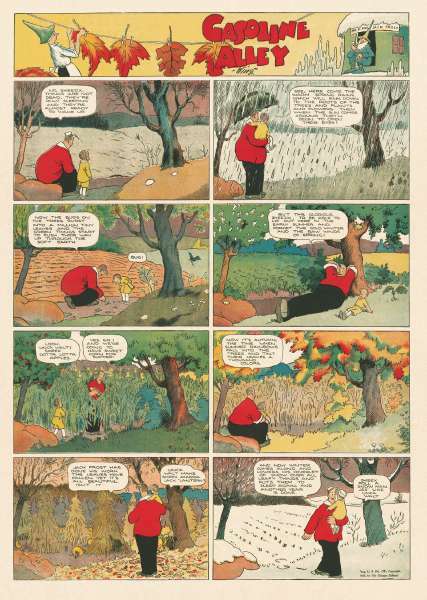 For this volume, we have done something unique, something that further replicates the original comics-reading experience. 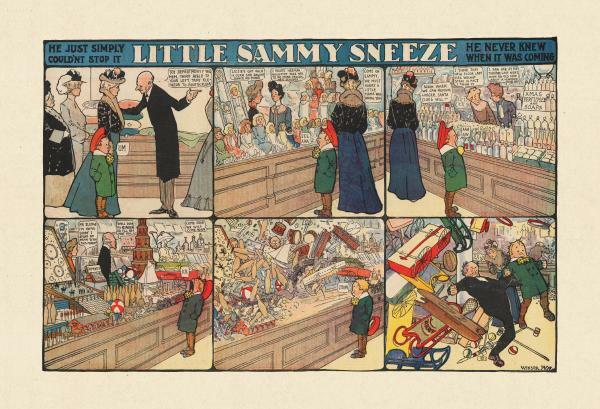 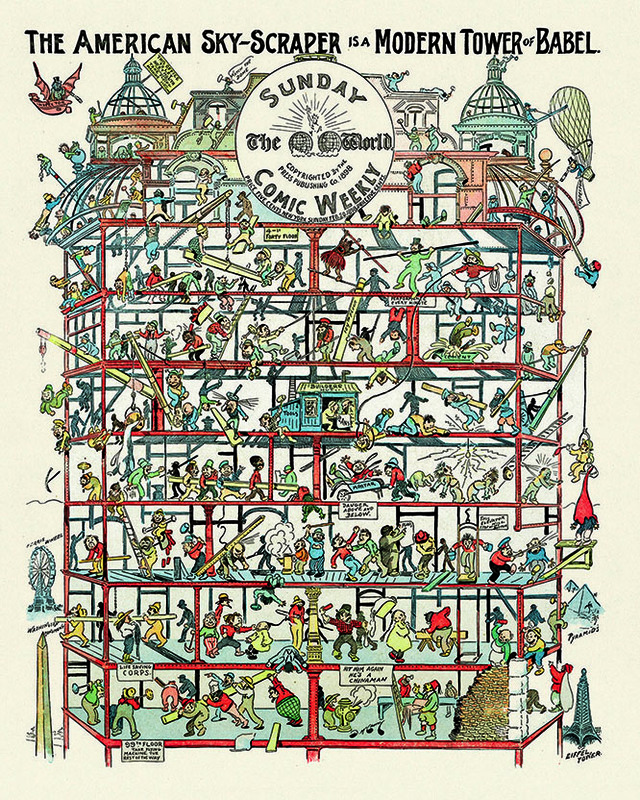 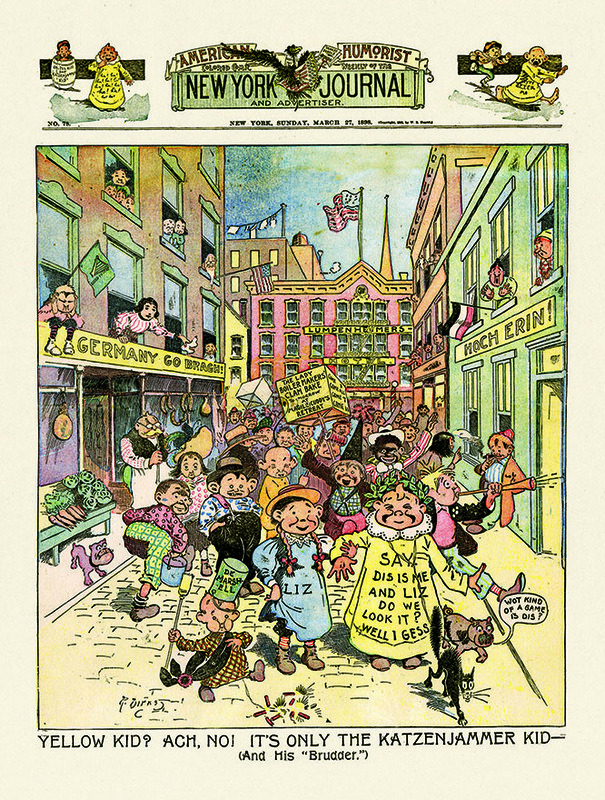 On the back of each color Sammy Sneeze page is the comic strip that appeared on the reverse side in the New York Herald Sunday newspaper. 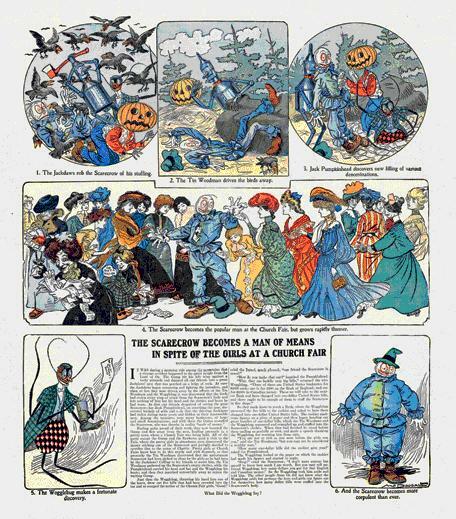 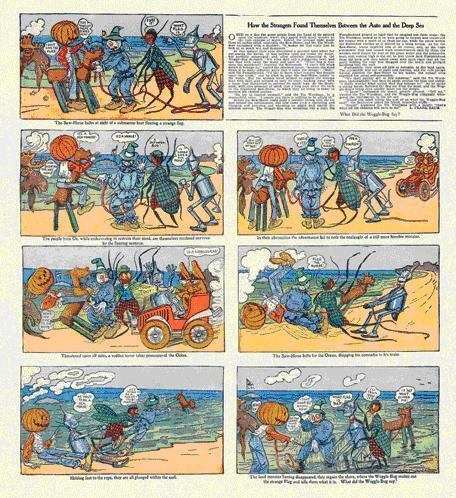 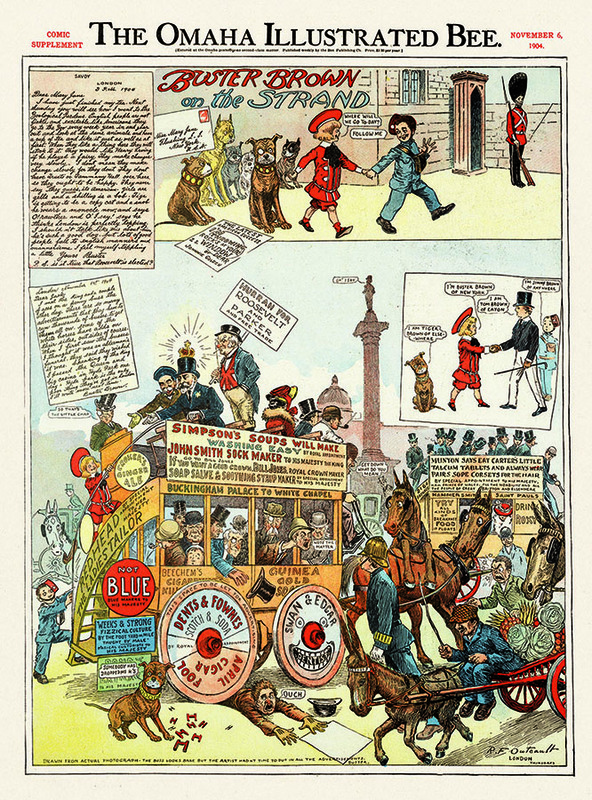 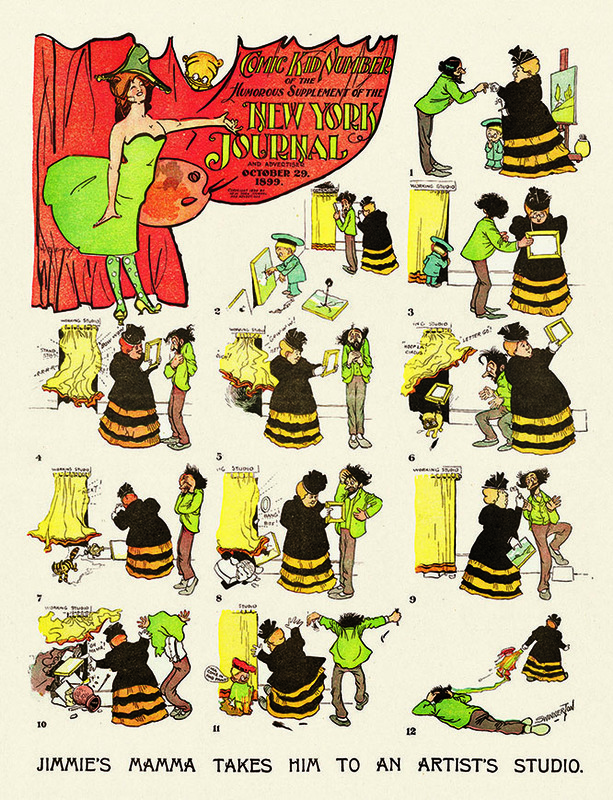 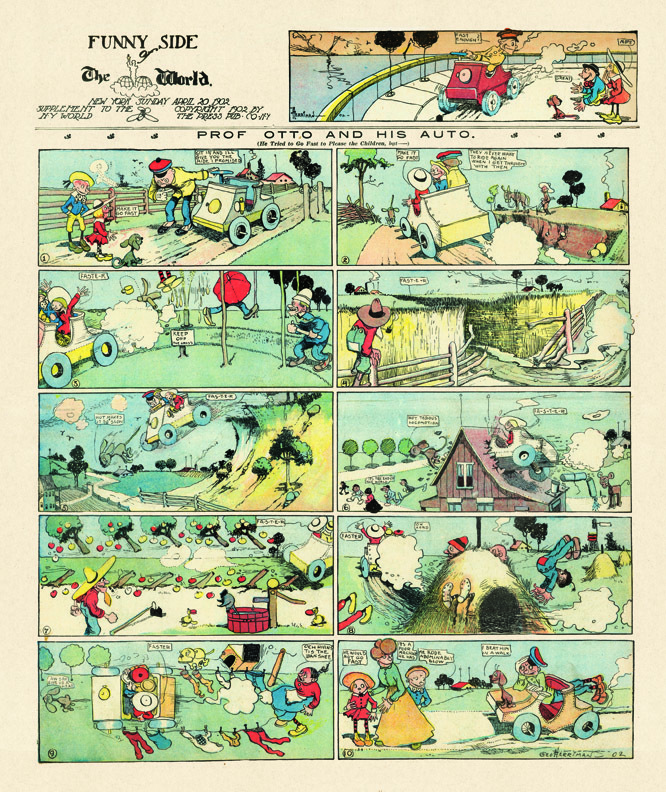 In 1904-1905 this, and most other comic sections, were printed in full color on one side and monochrome or two-color on the reverse. 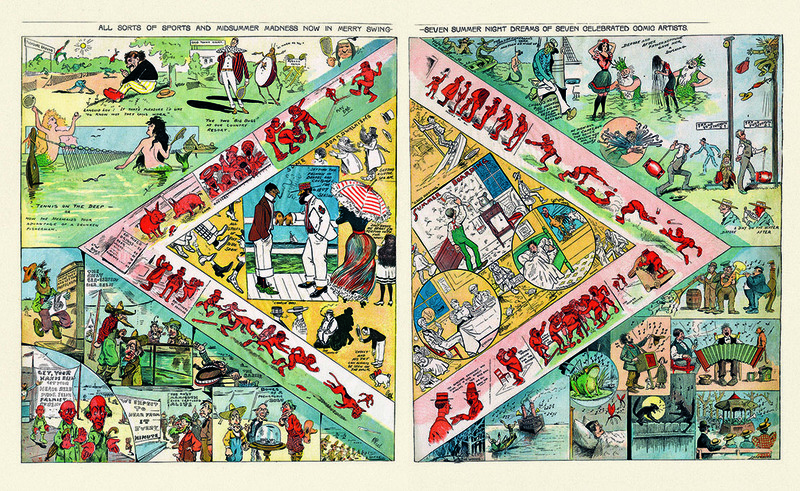 Folding the large sheet created a four-page comic section with full color on the front and back pages, and two colors on the inside. 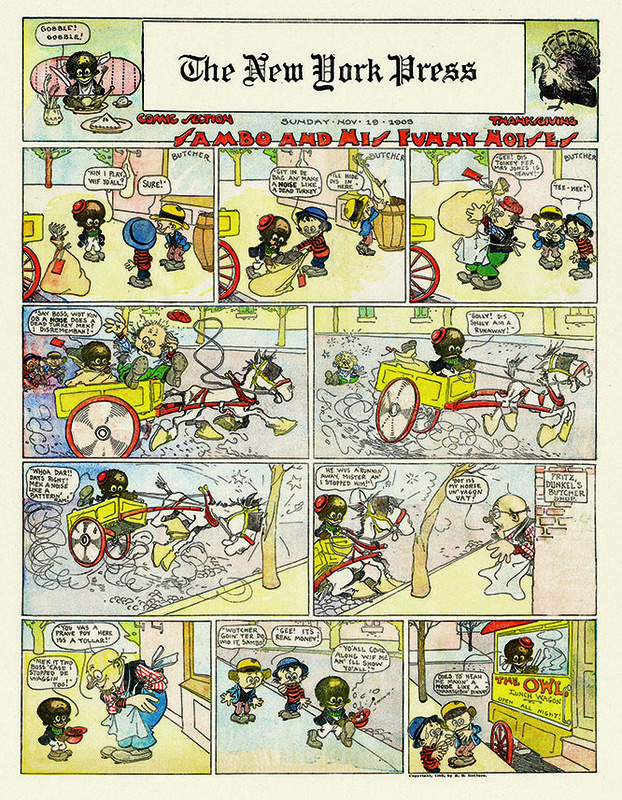 Sammy was usually found on the back page with another color comic below it. 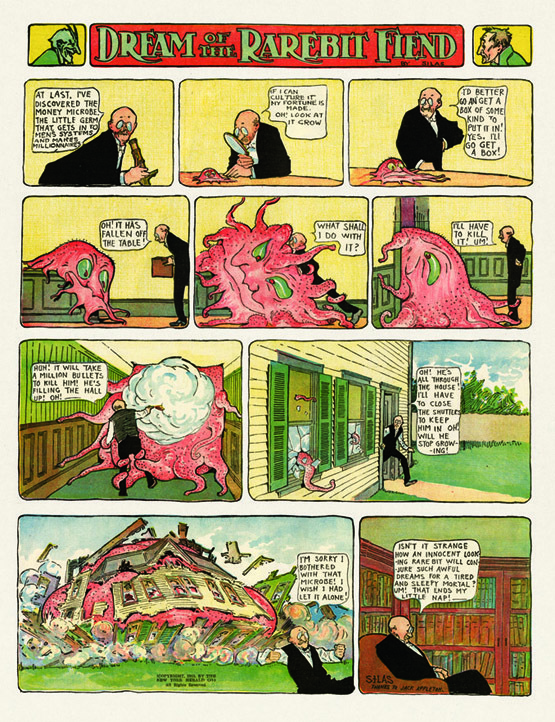 In most of this book, including all of the Hungry Henrietta pages, the strip on back of Sammy is the comic that appeared on that date. 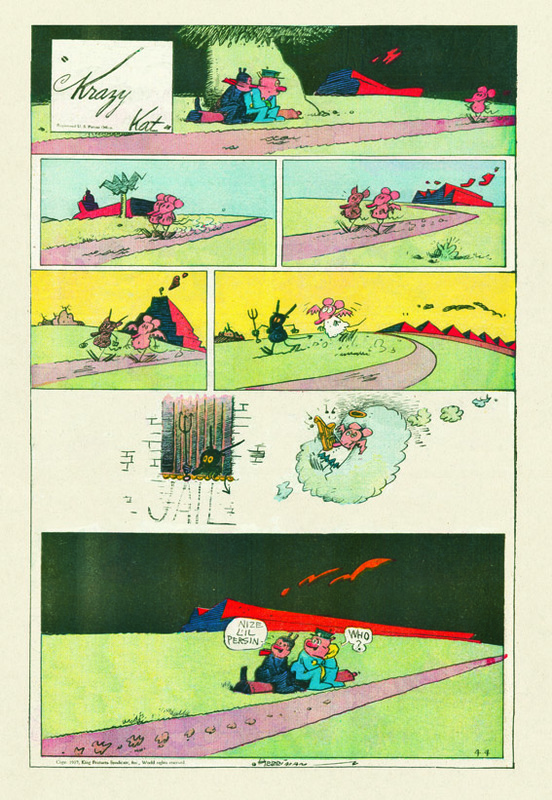 In many cases you can actually see the "bleed-through" from one strip to the other embedded in the page. 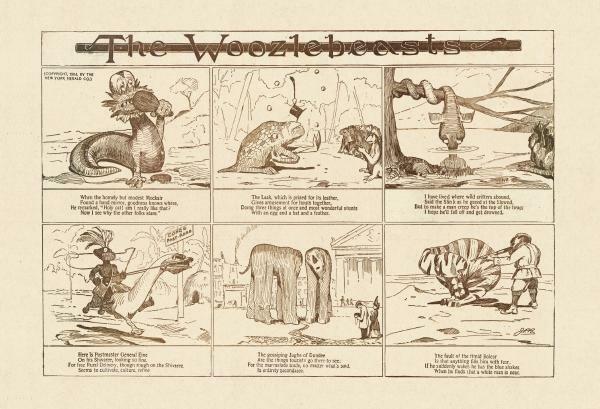 In a few cases, pages from other dates of the same year were substituted to give more continuous runs of great features like Upside Downs and Woozlebeasts, which were often, but not always, on the back of Sammy. 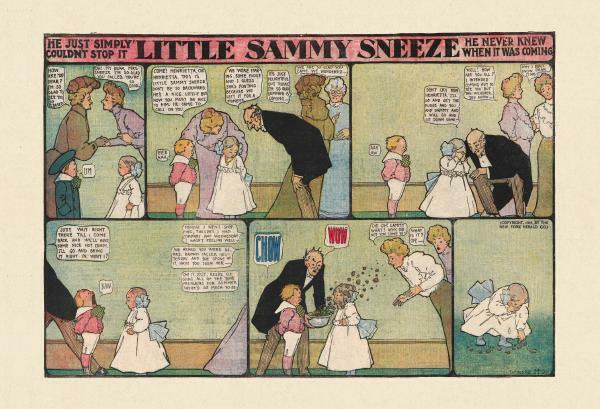 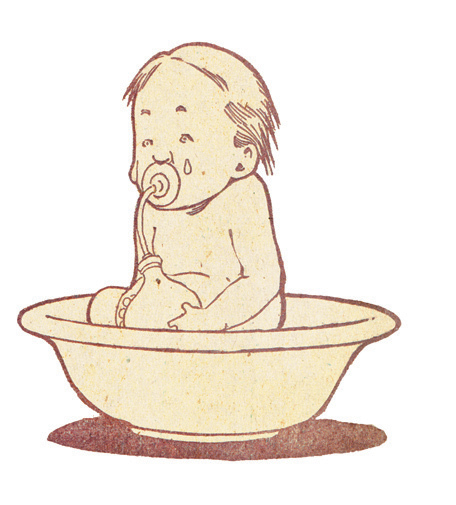 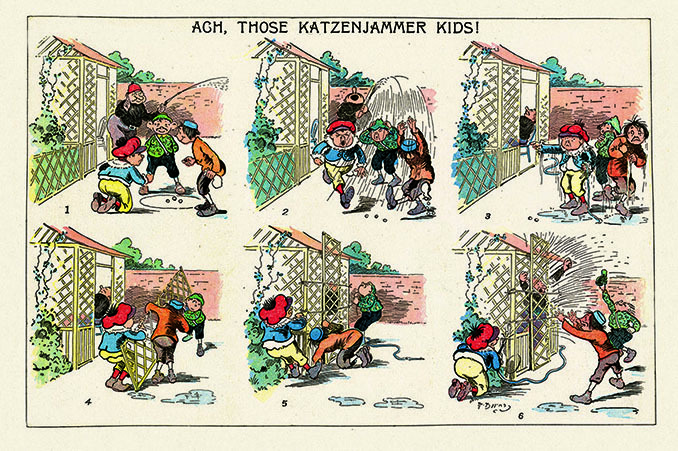 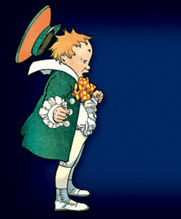 Little Sammy Sneeze was also one of the first international stars of the comics - reprinted in book form in1905 in both American and French versions. 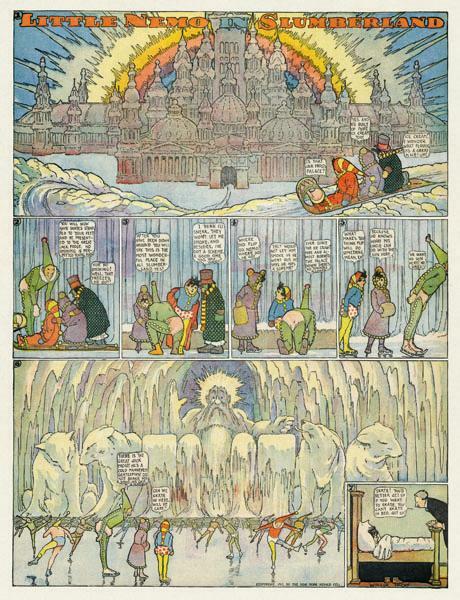 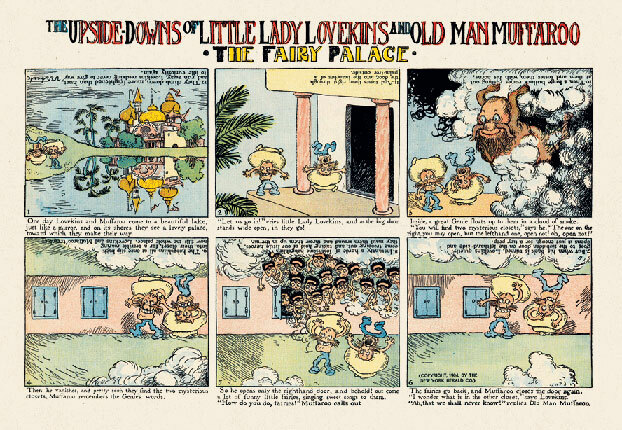 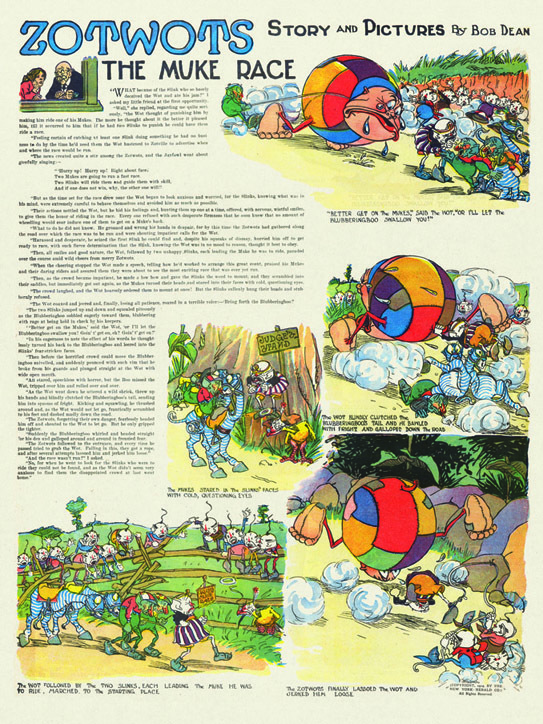 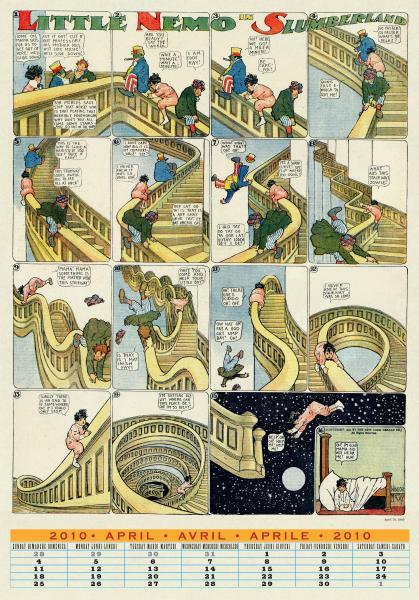 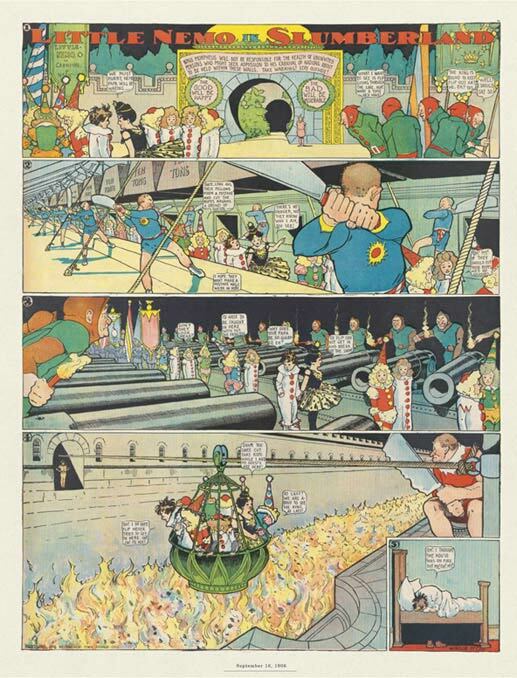 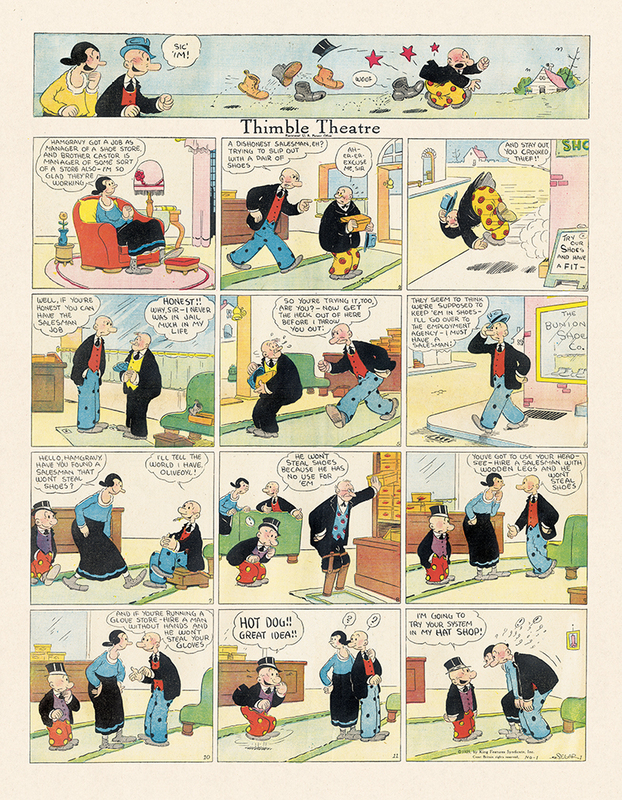 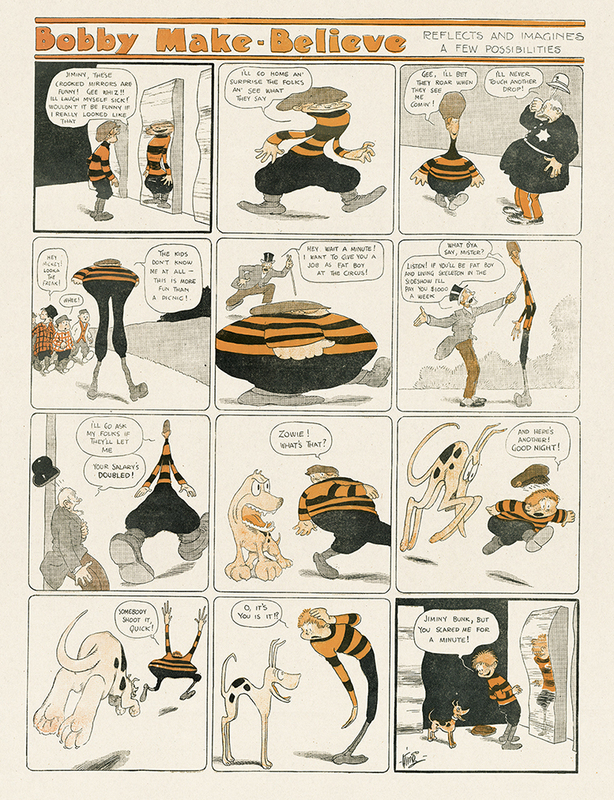 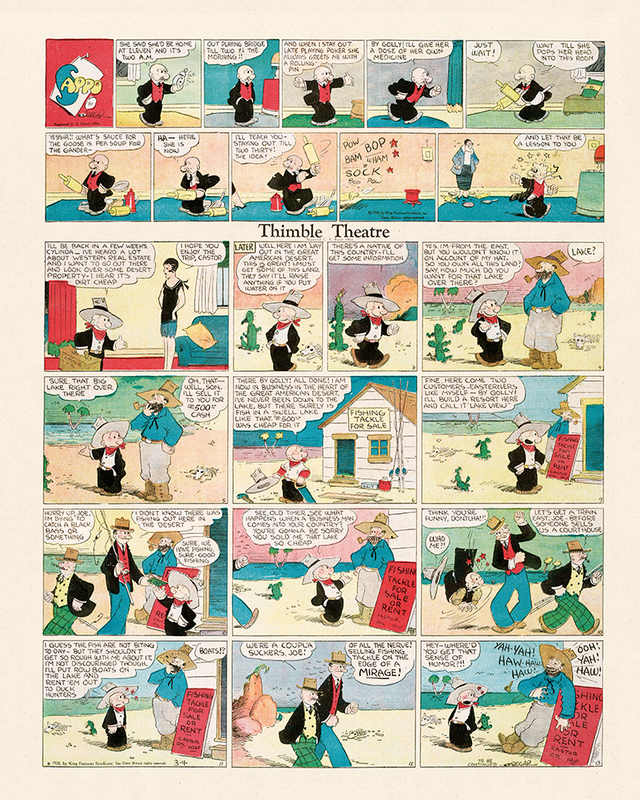 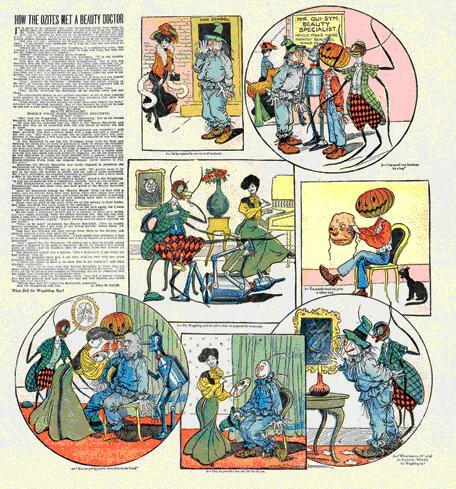 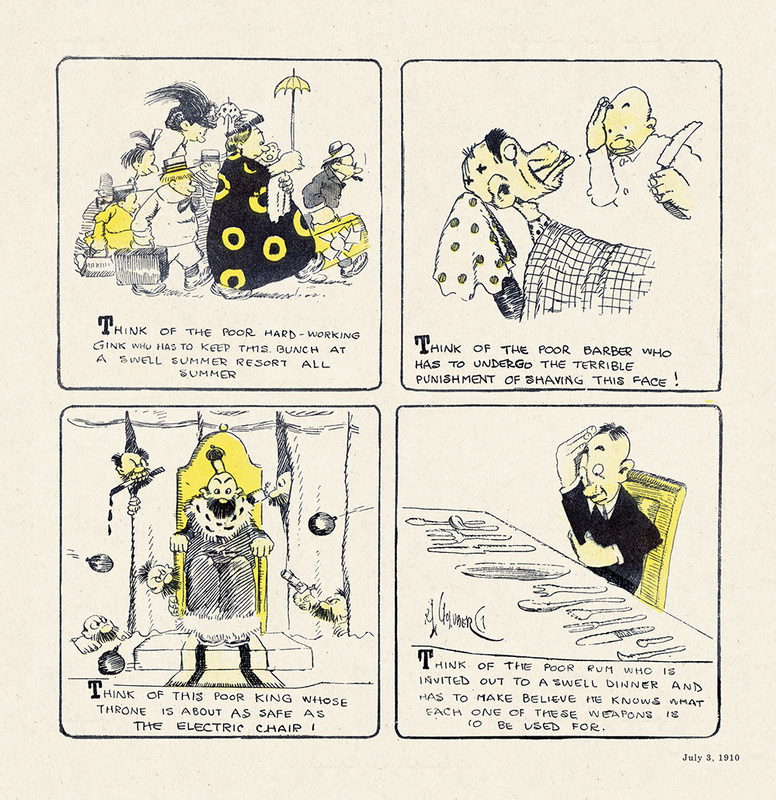 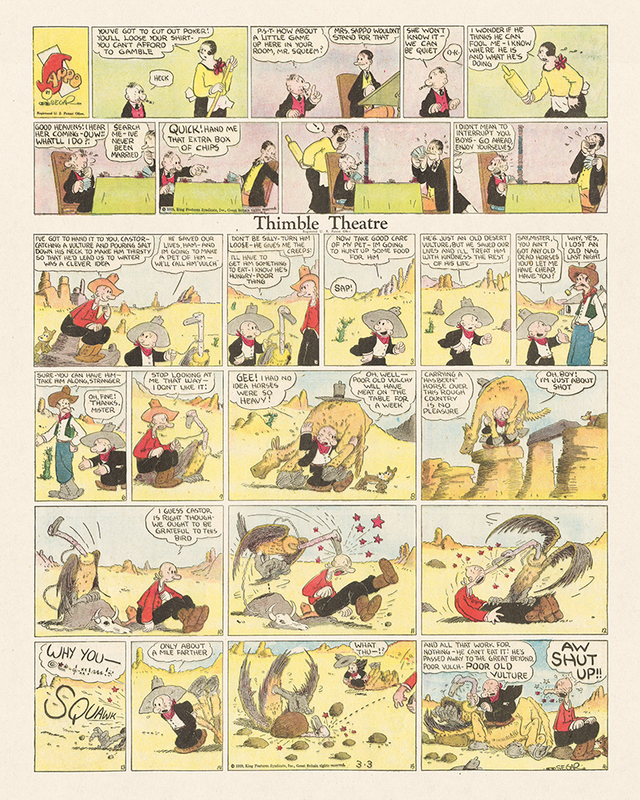 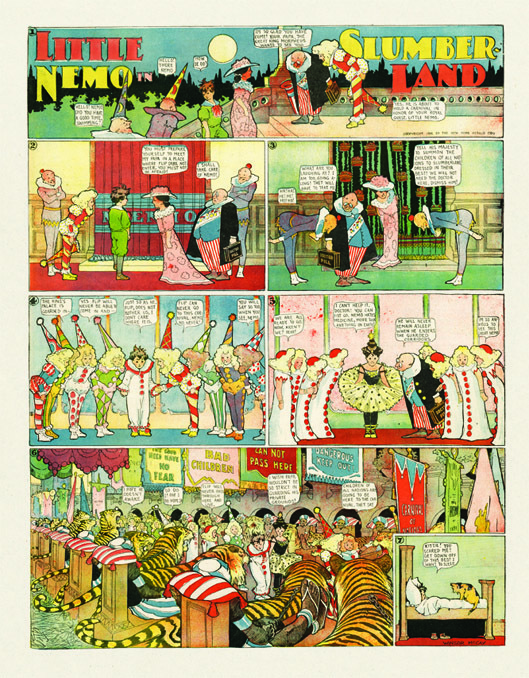 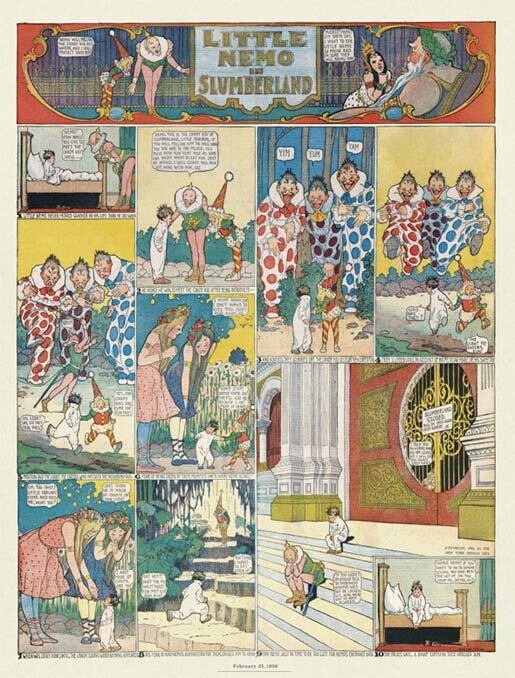 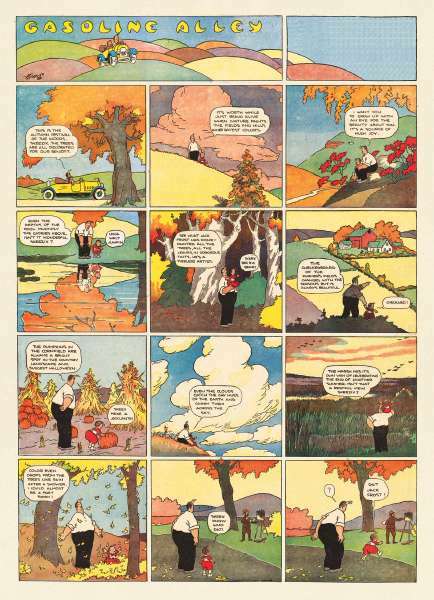 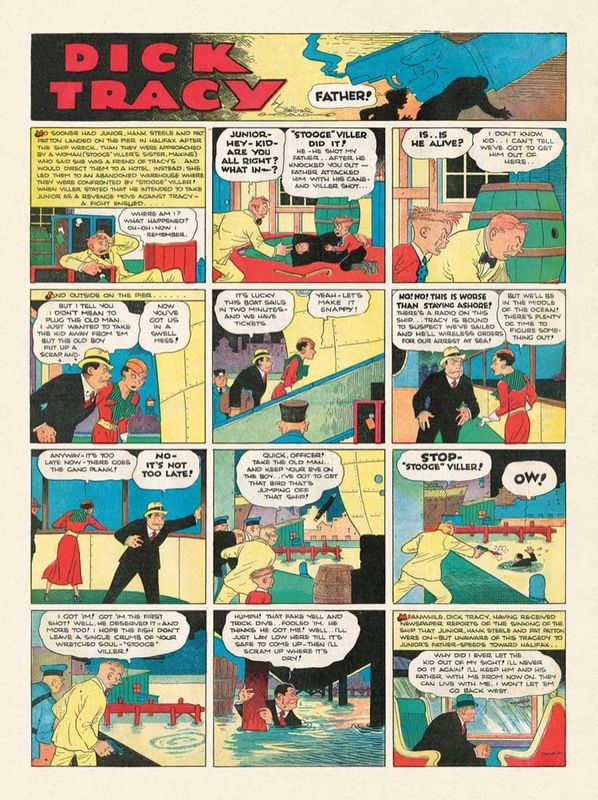 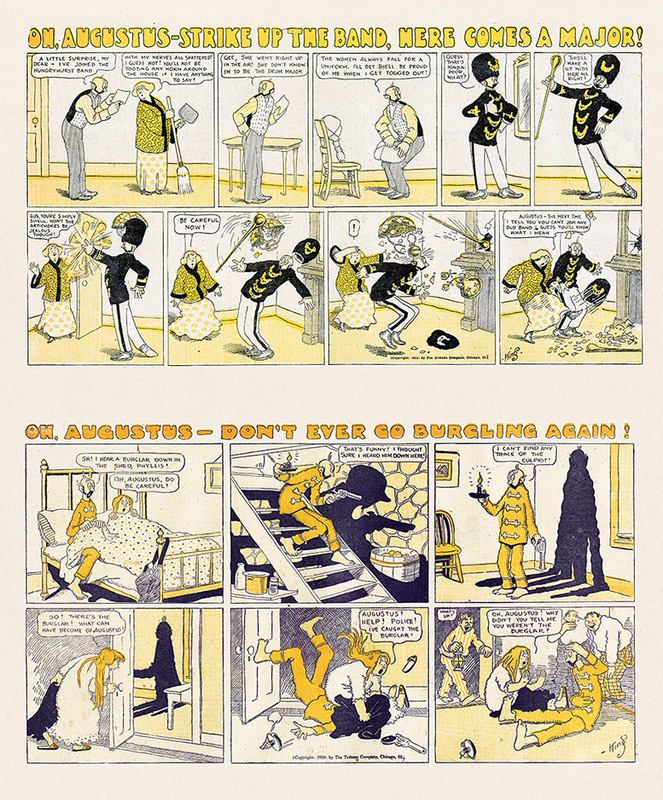 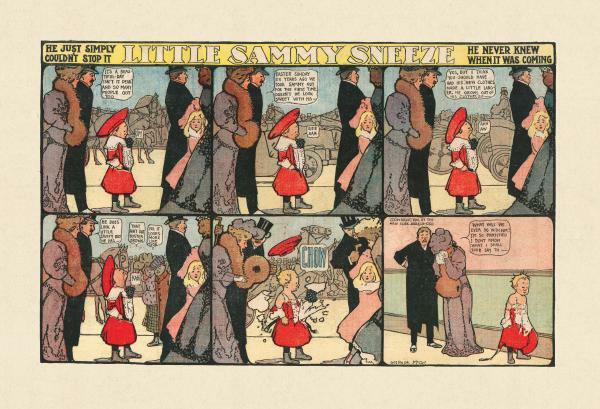 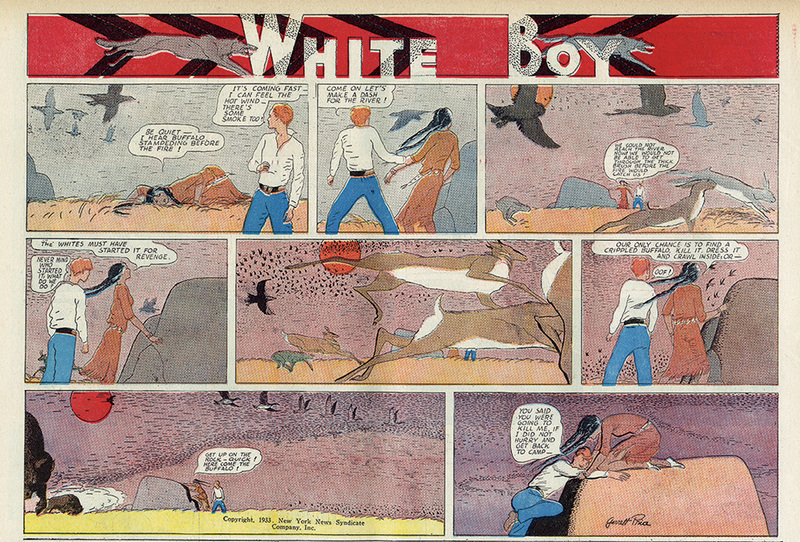 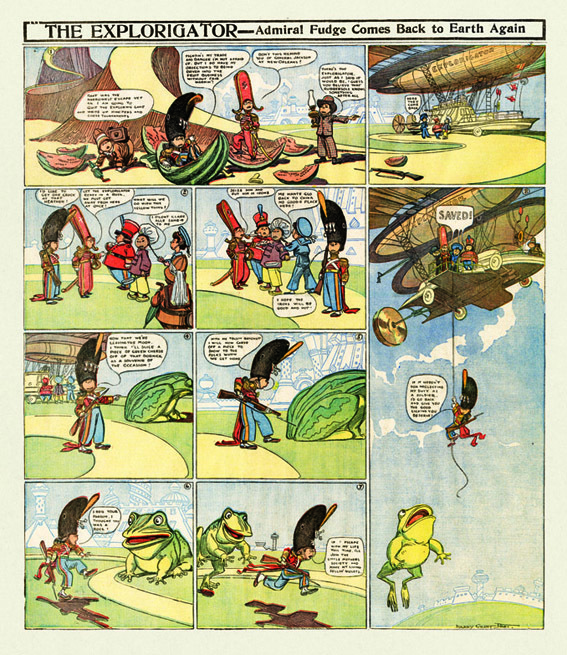 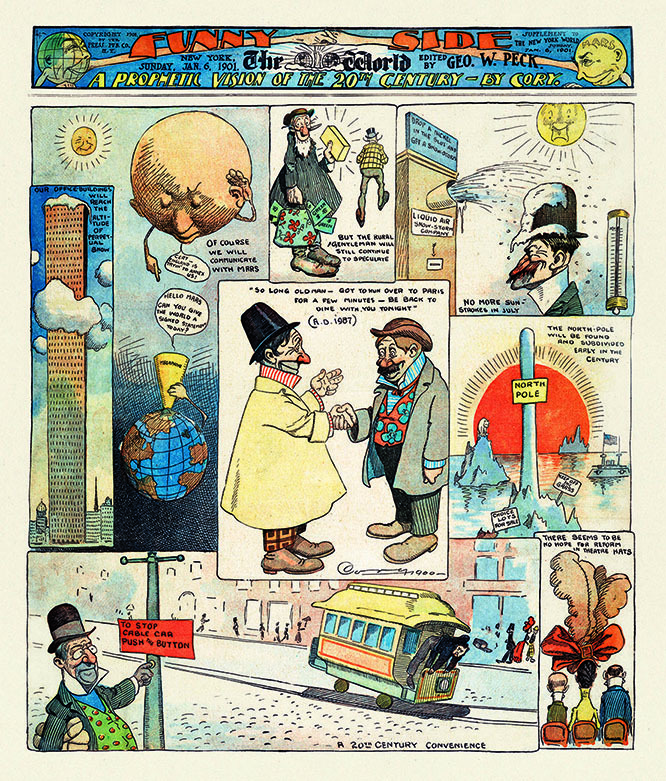 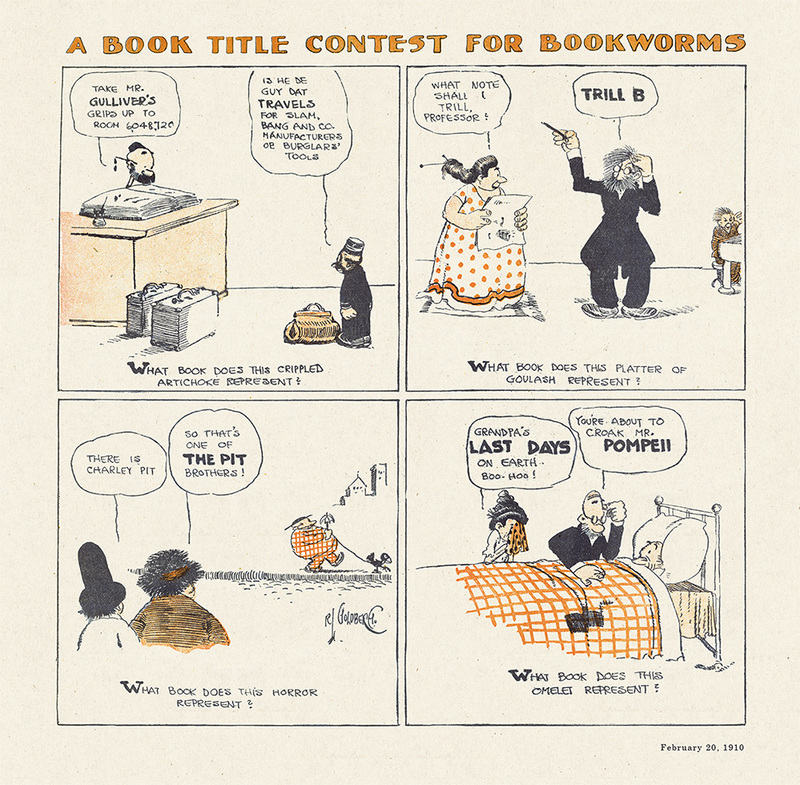 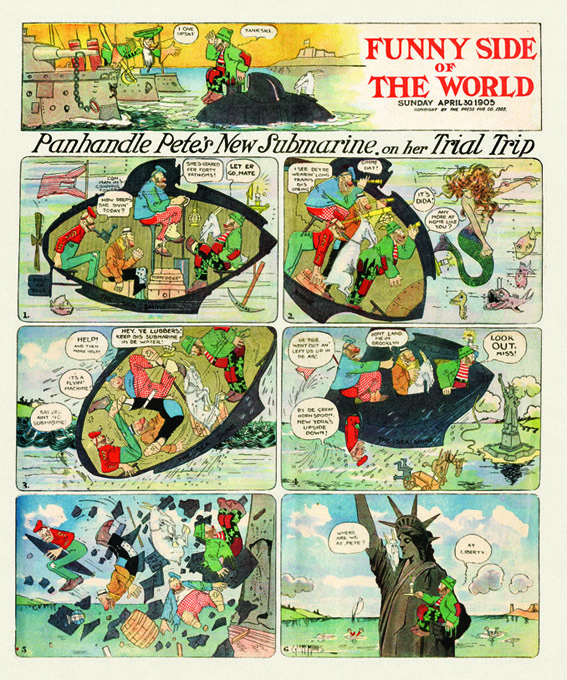 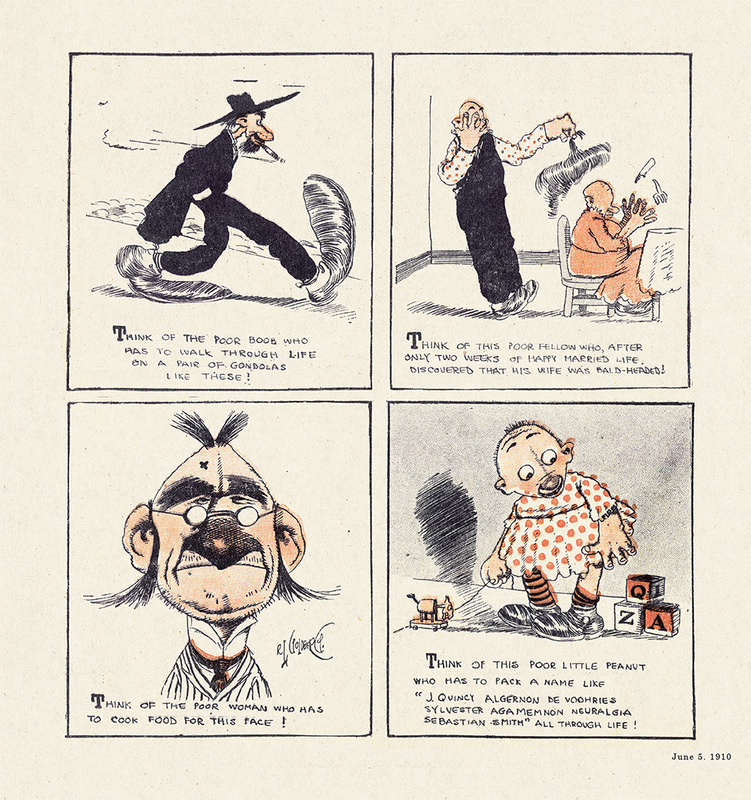 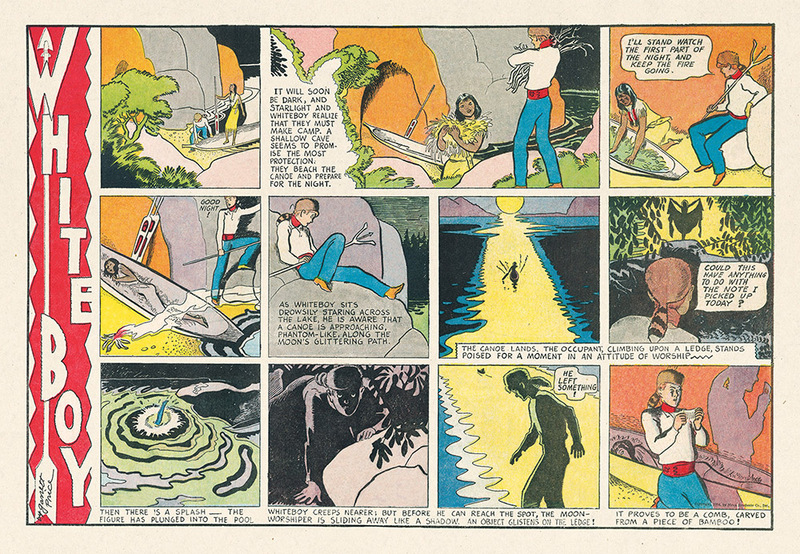 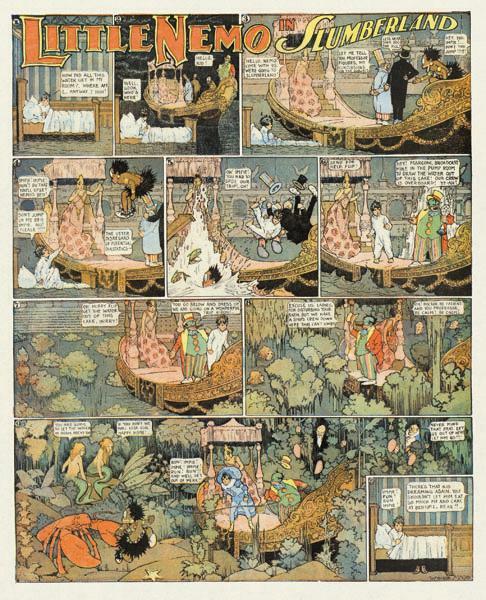 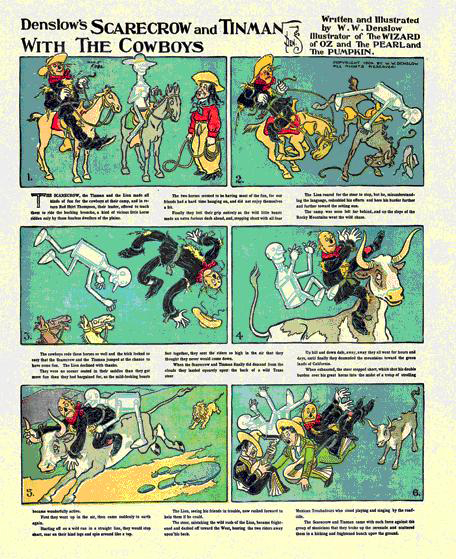 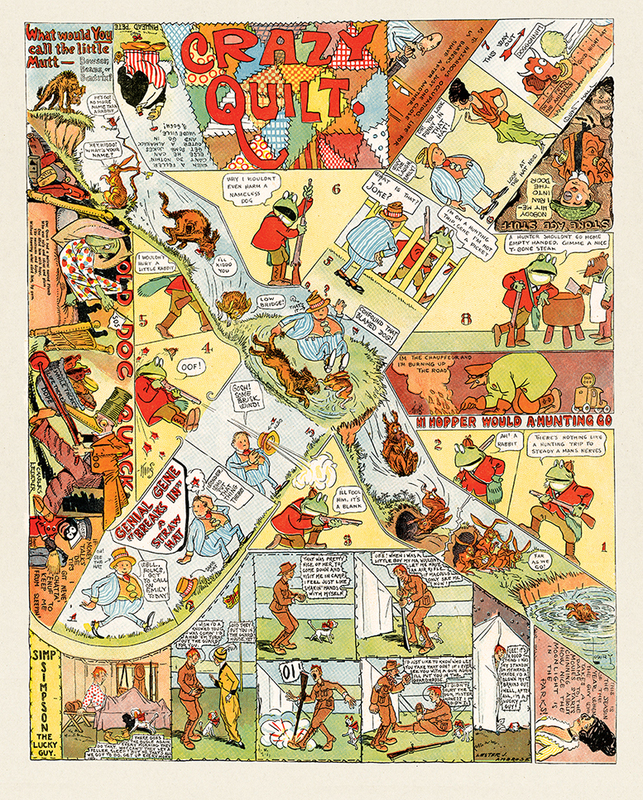 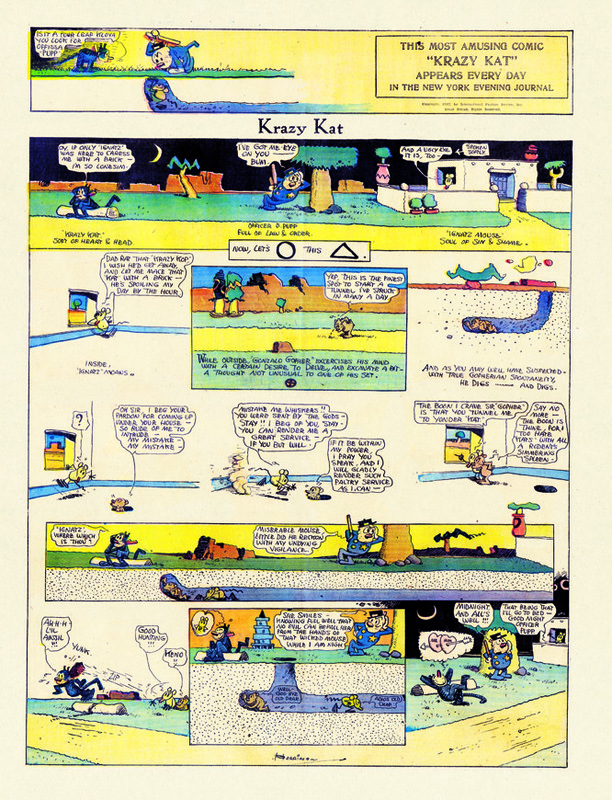 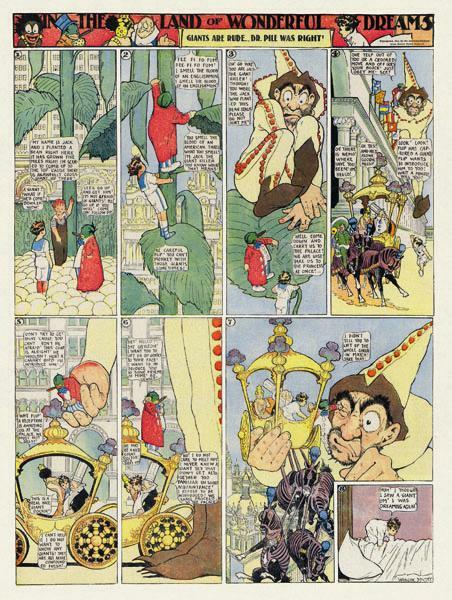 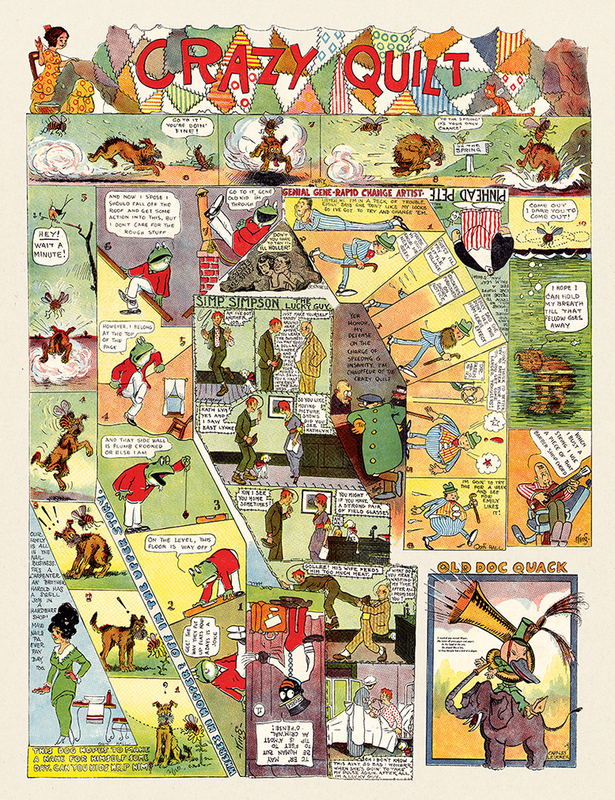 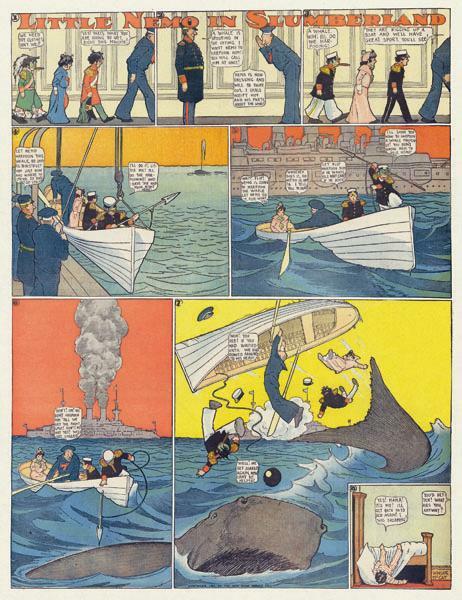 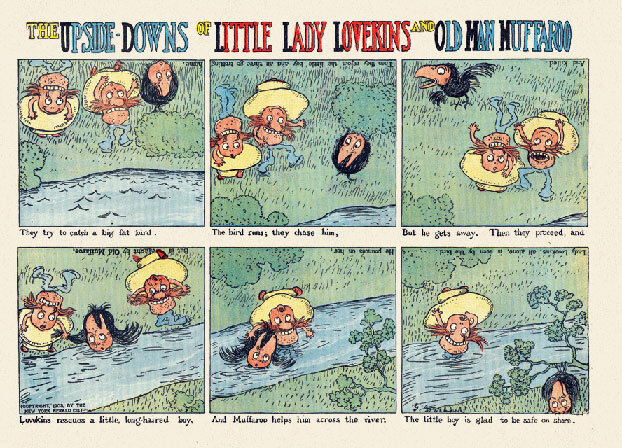 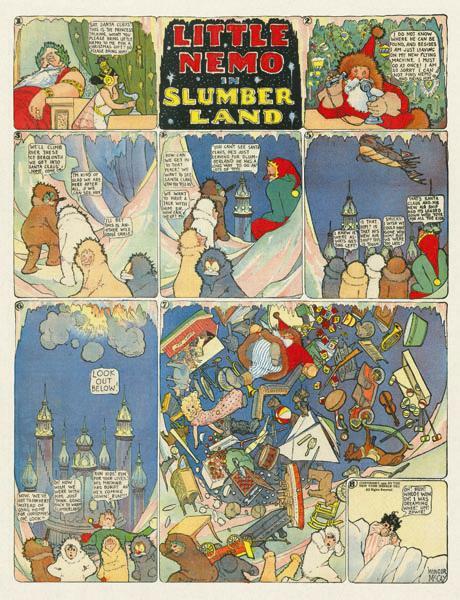 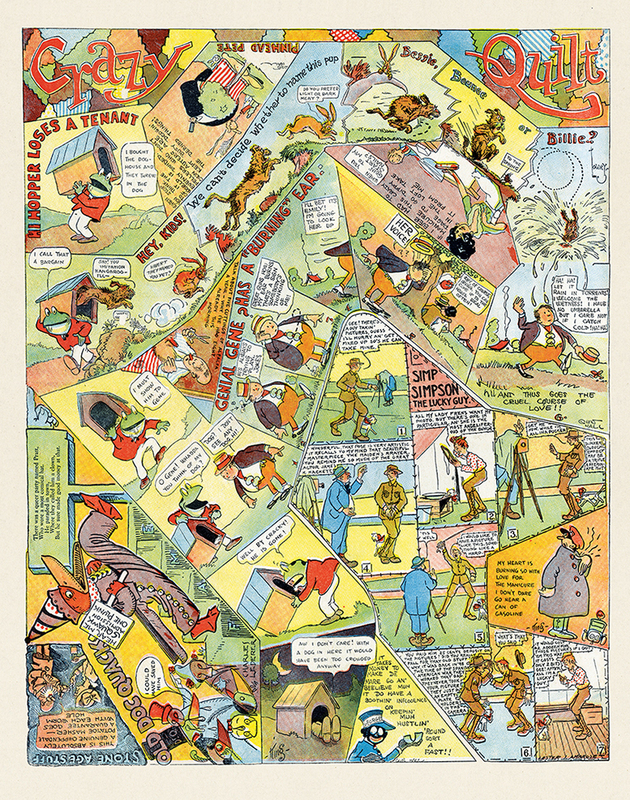 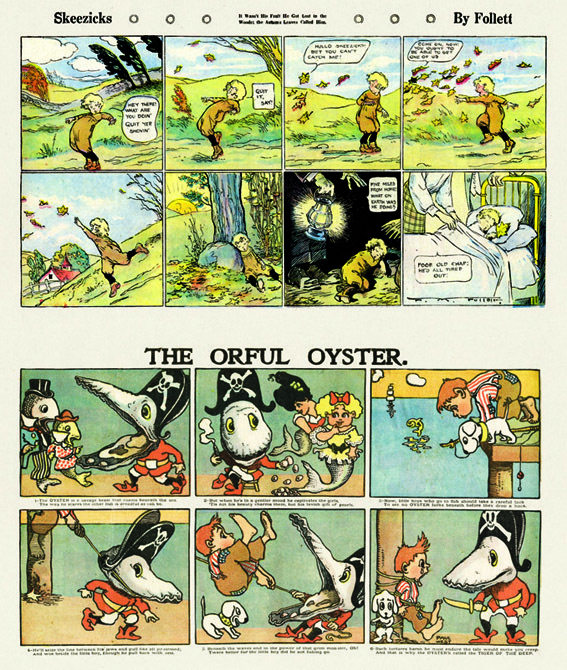 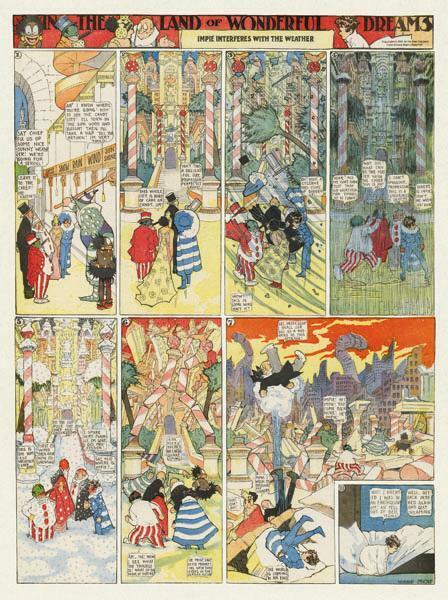 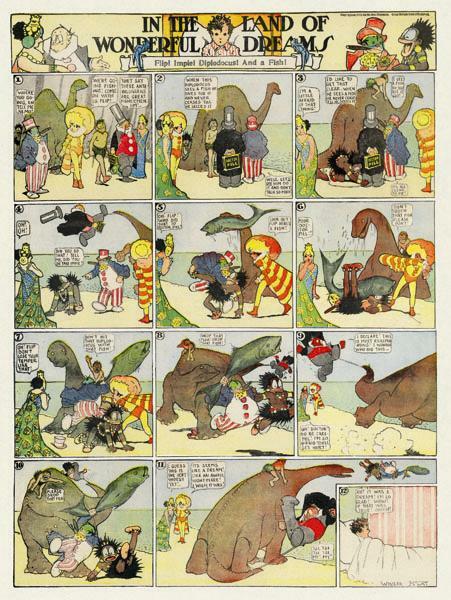 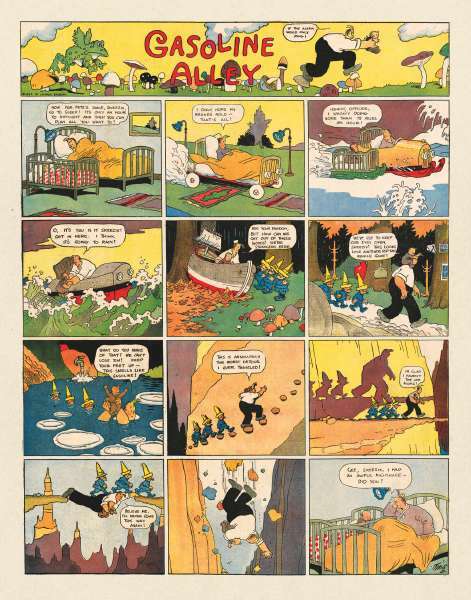 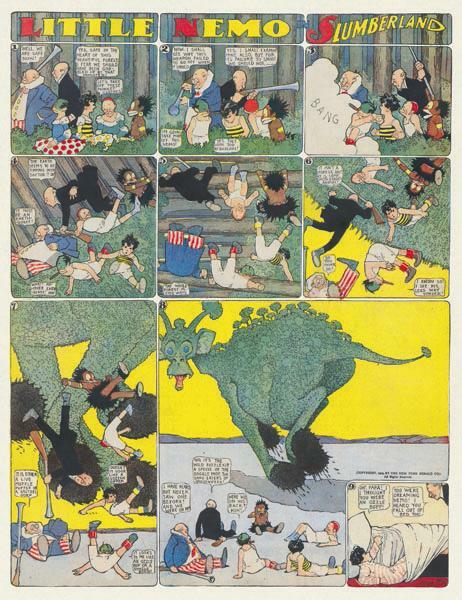 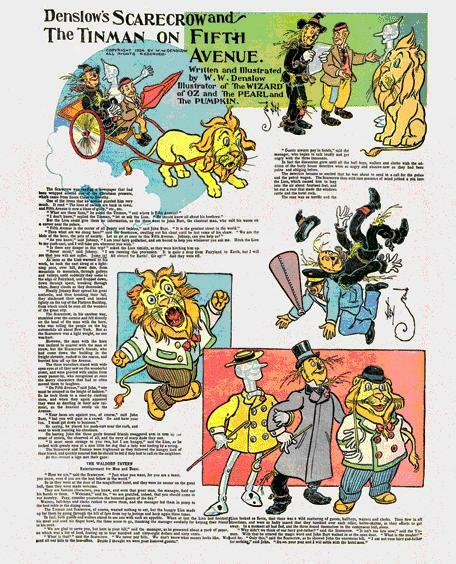 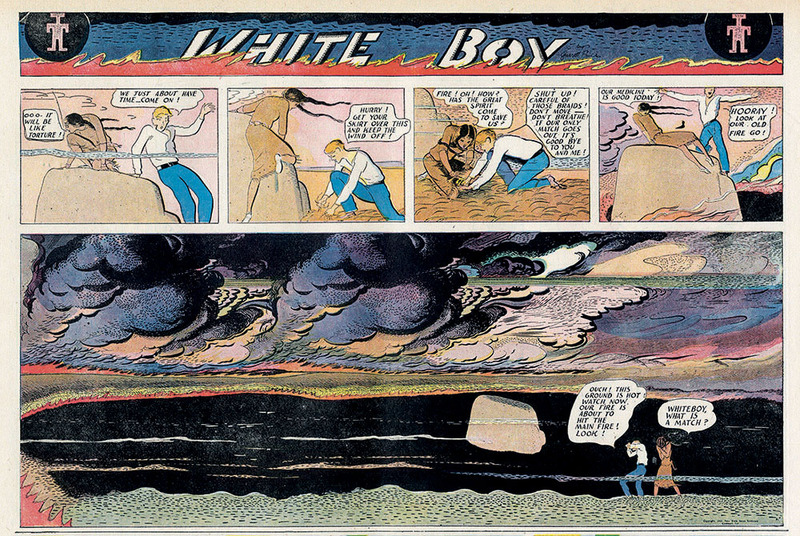 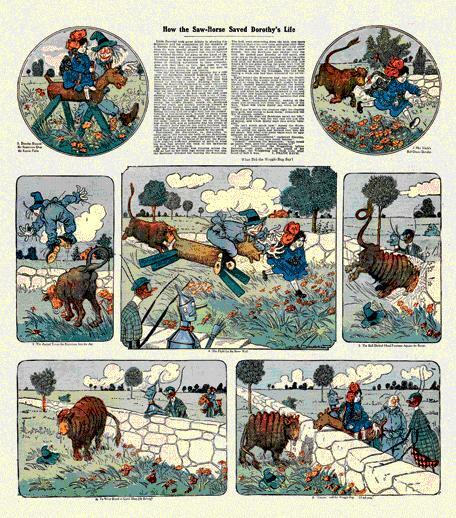 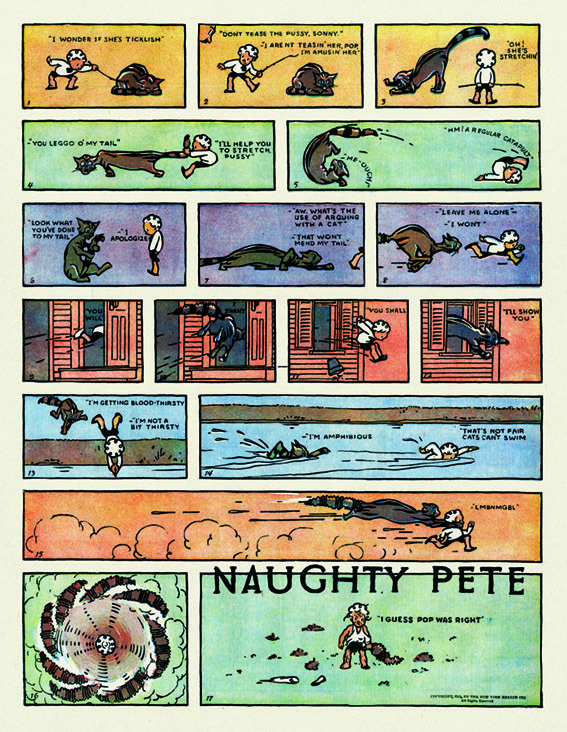 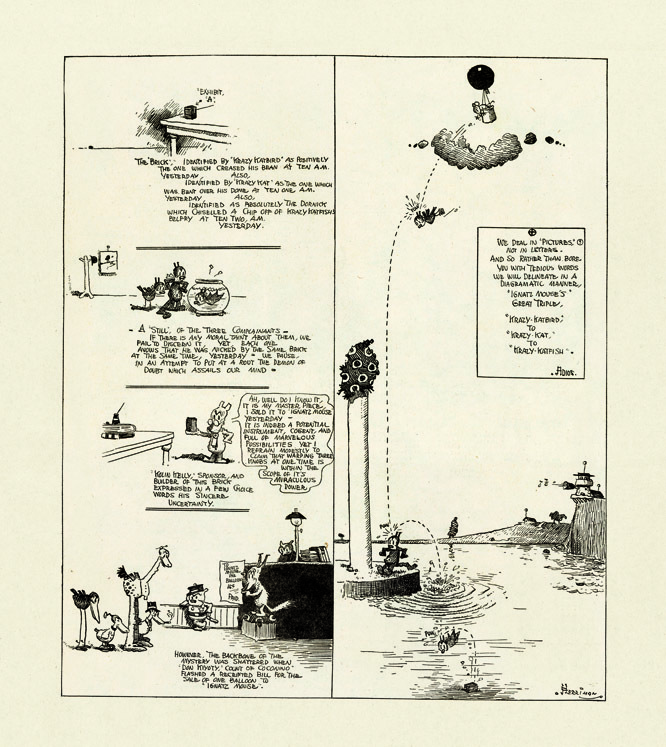 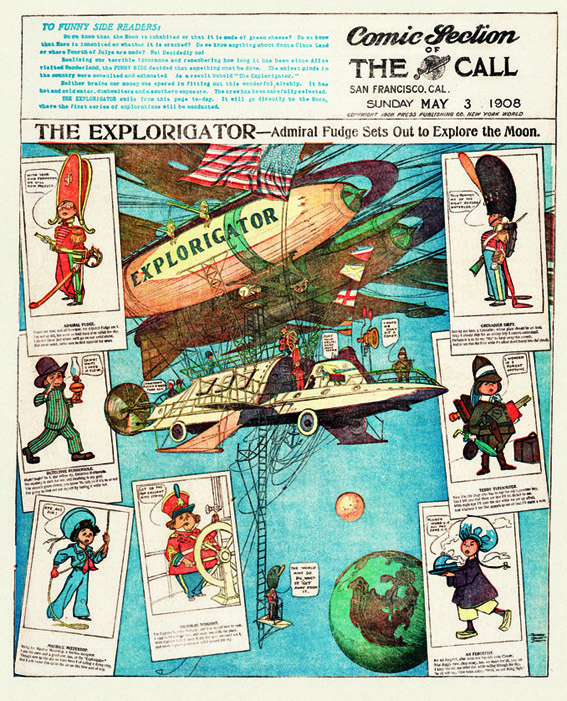 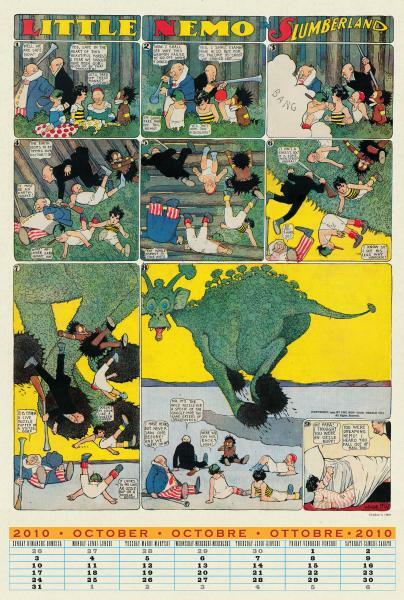 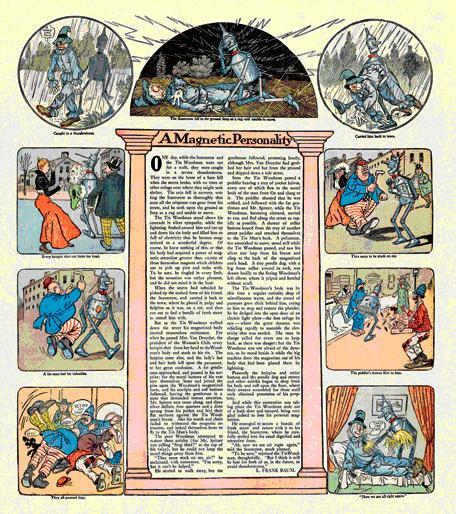 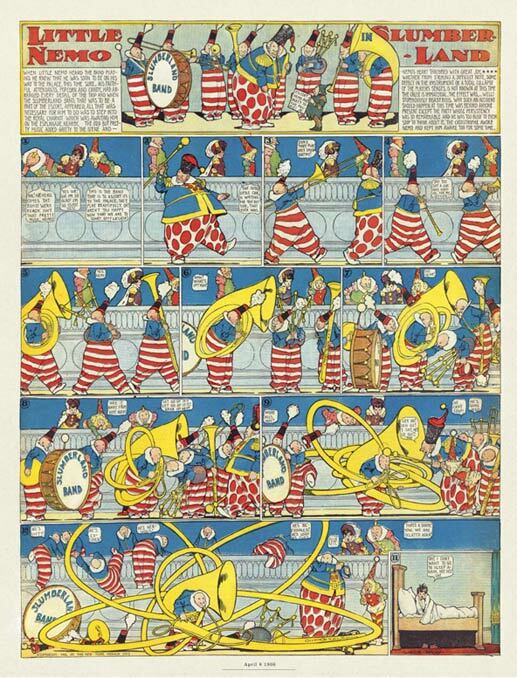 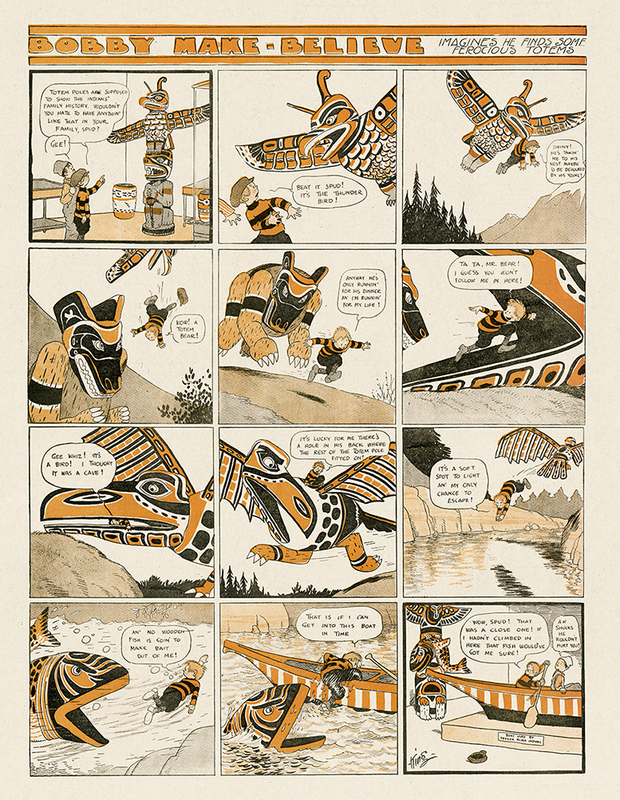 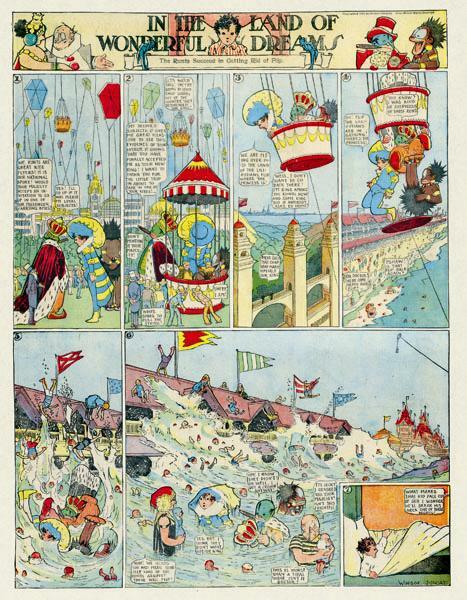 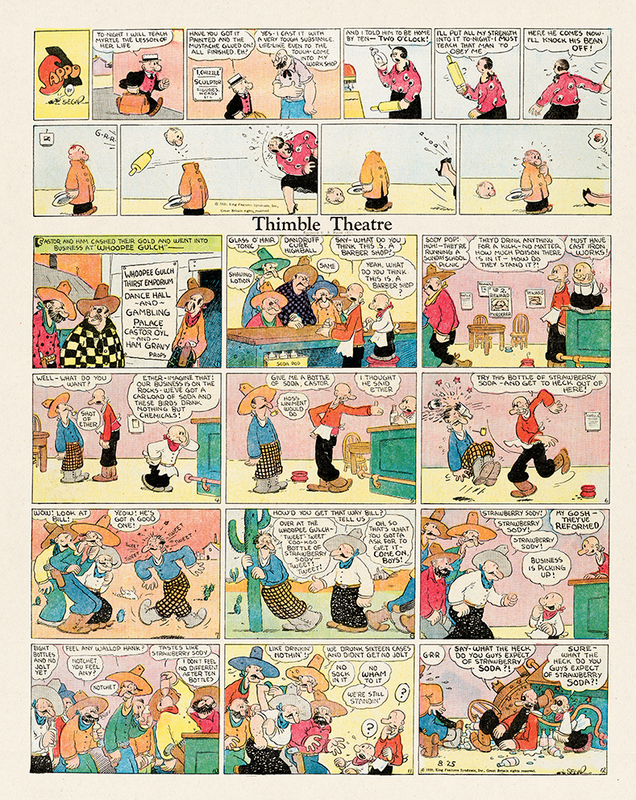 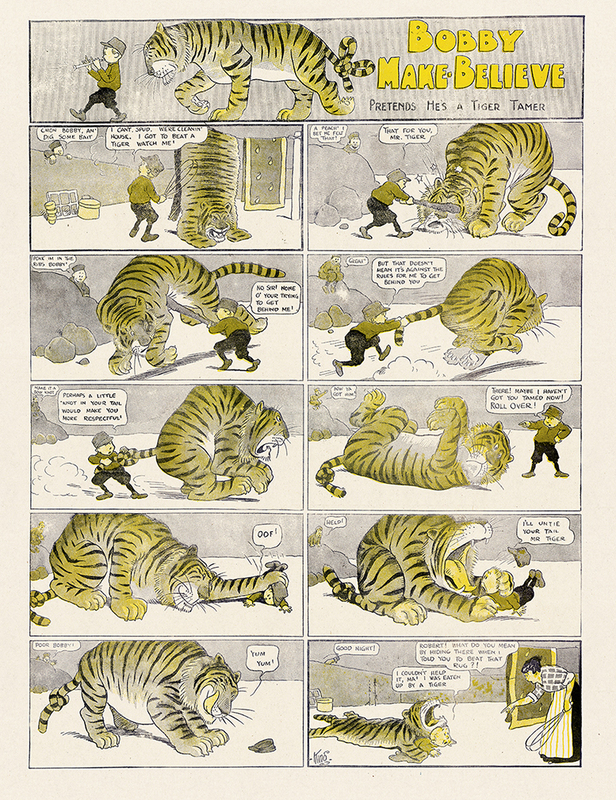 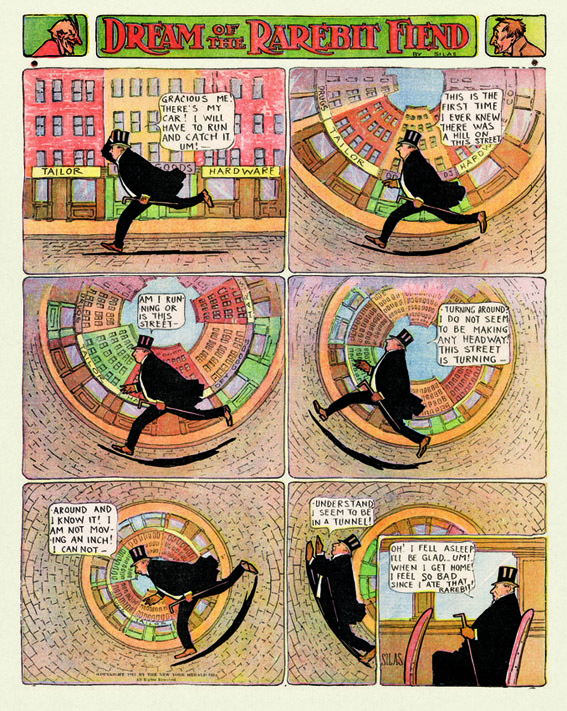 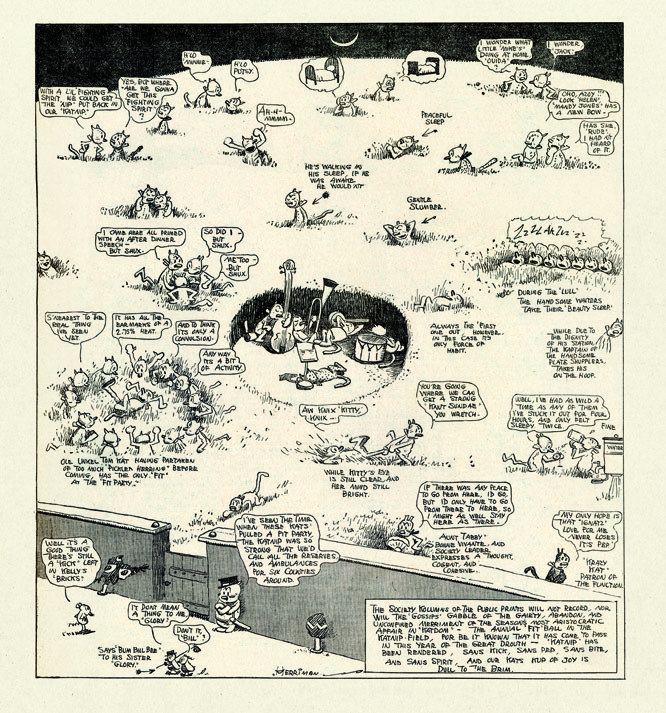 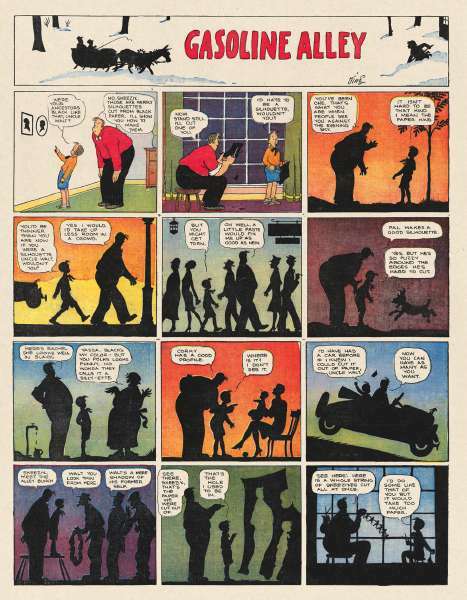 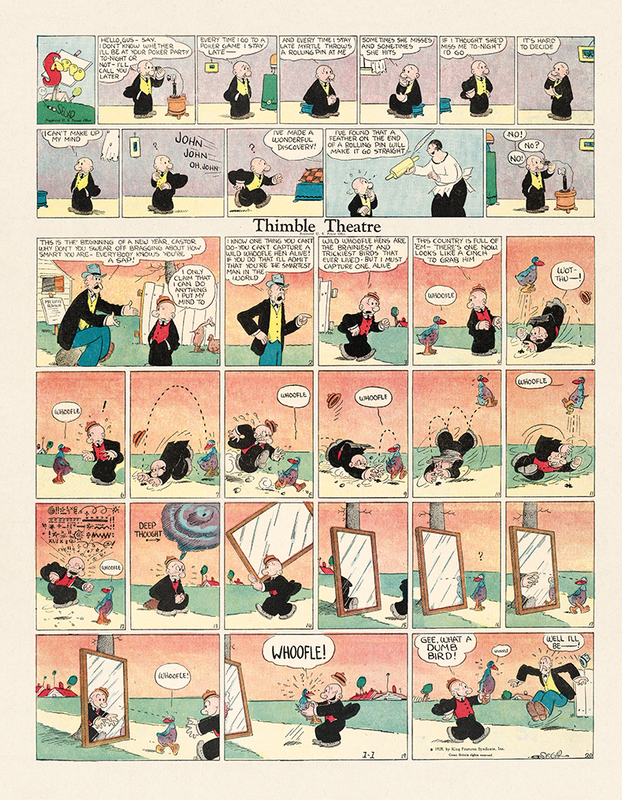 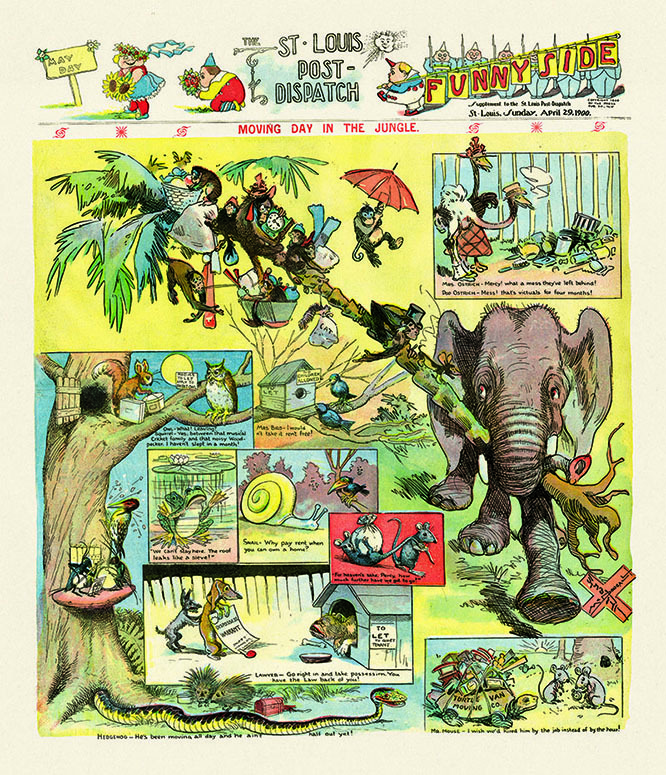 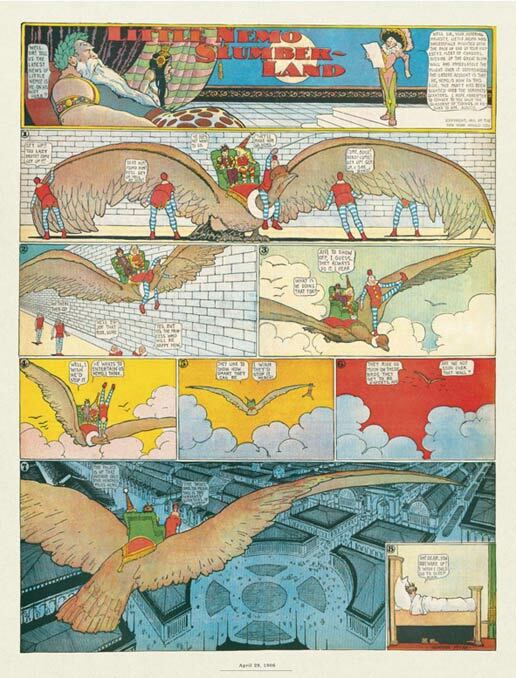 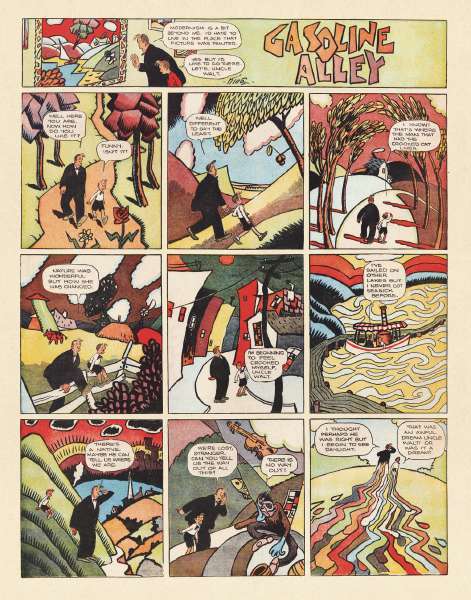 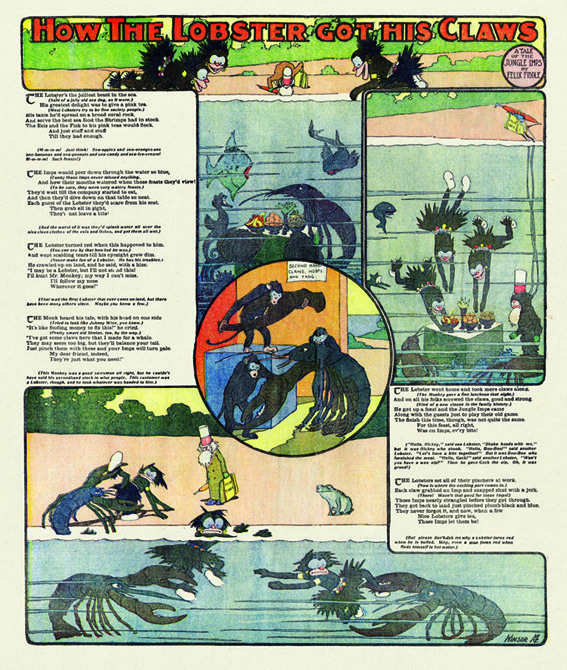 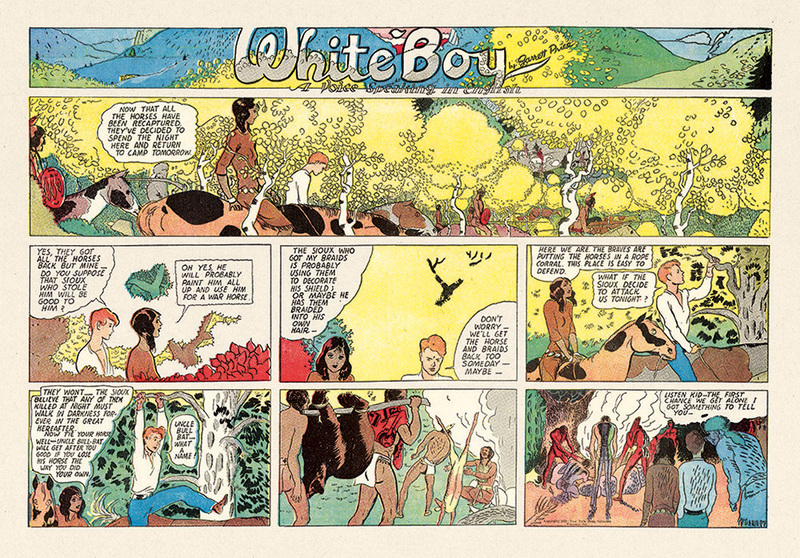 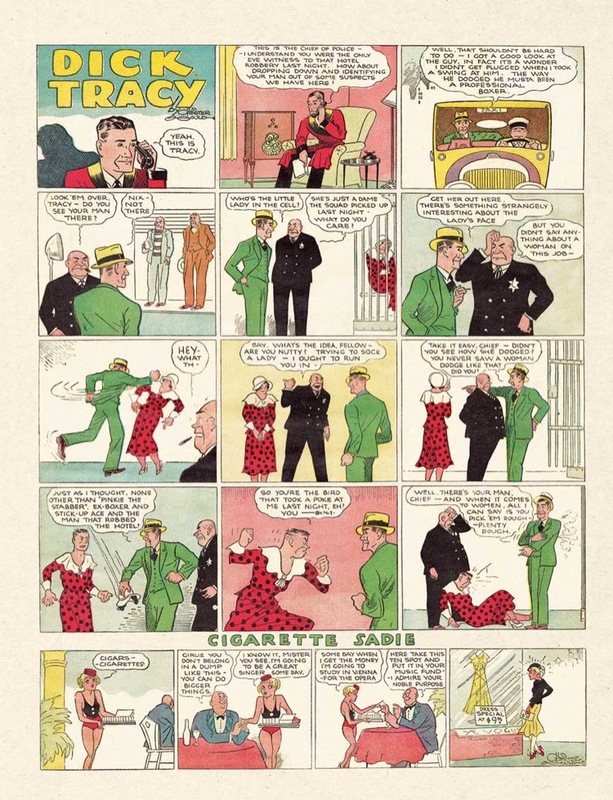 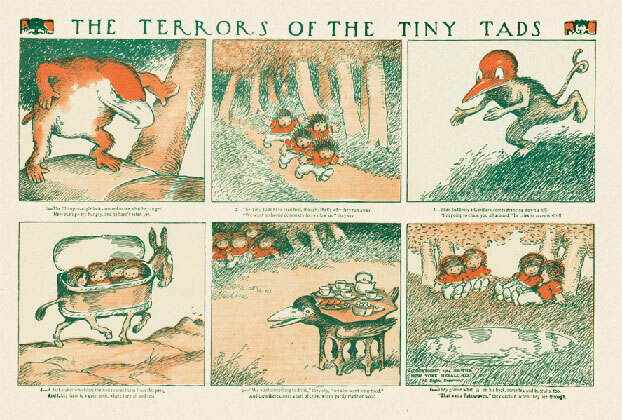 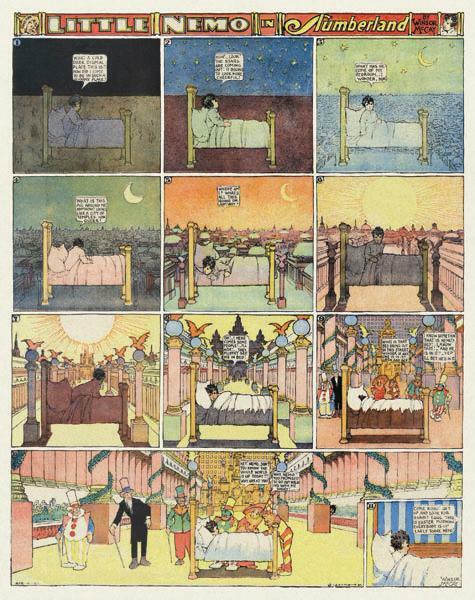 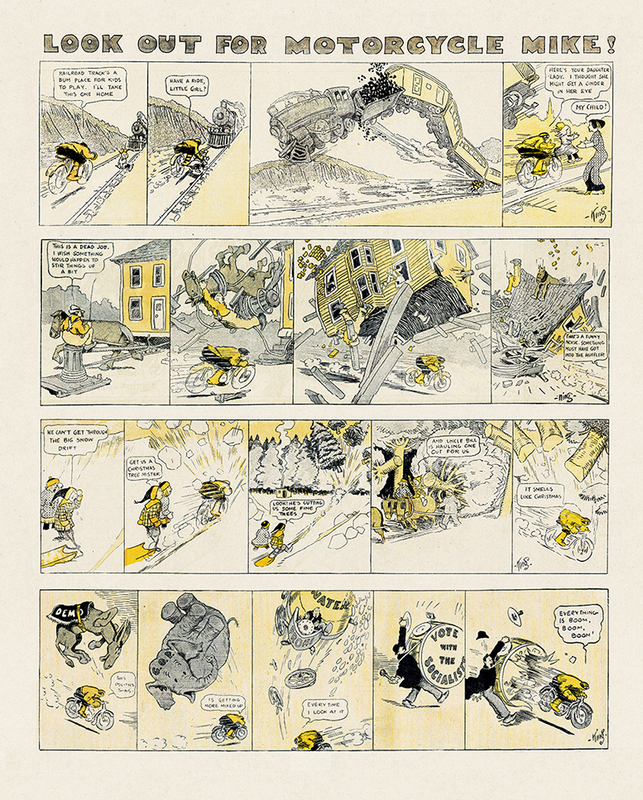 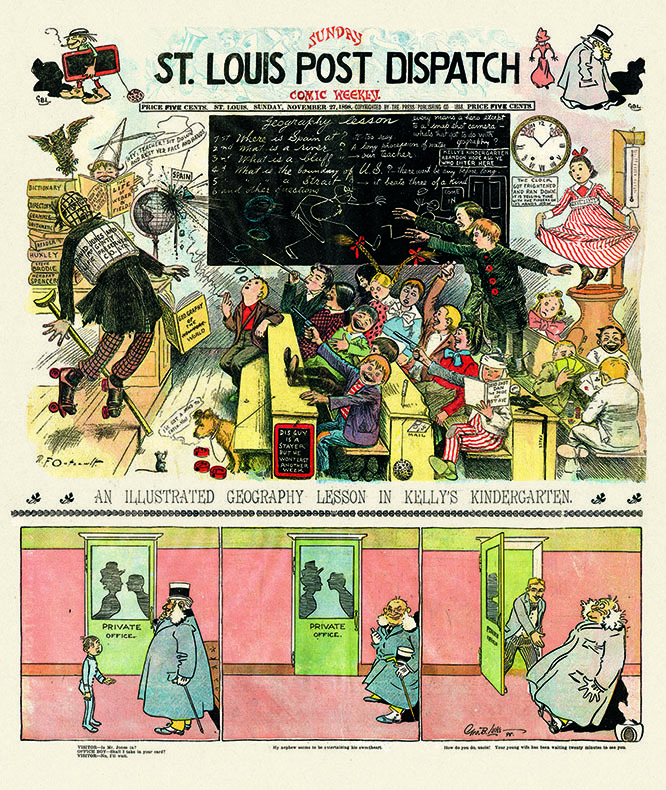 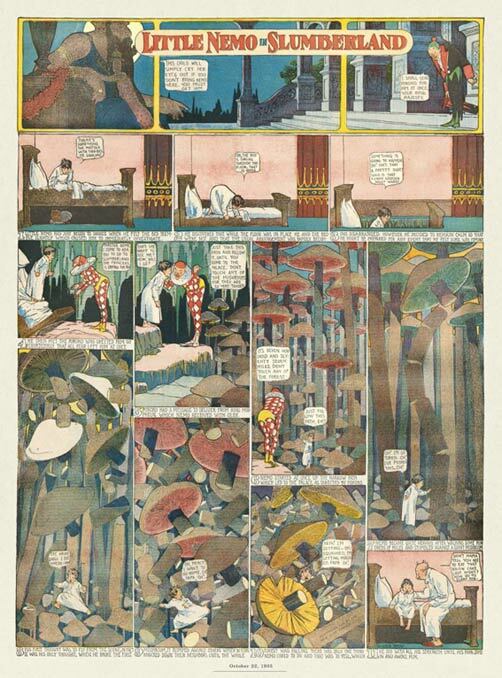 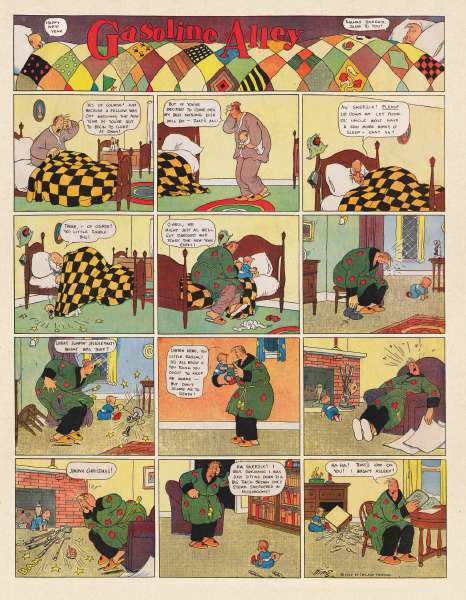 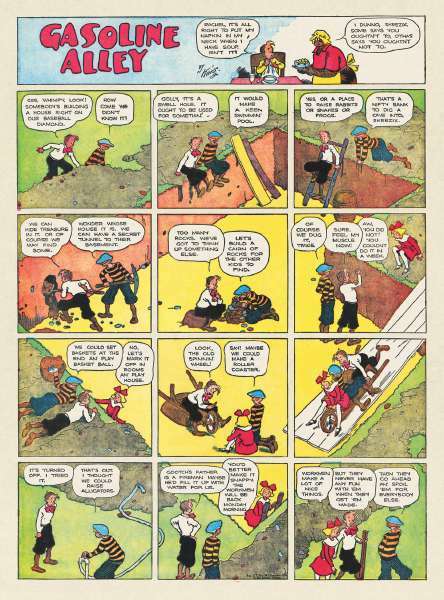 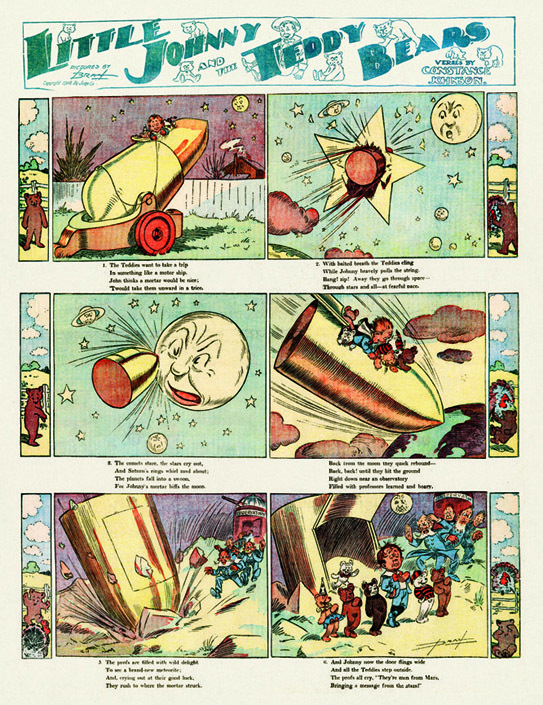 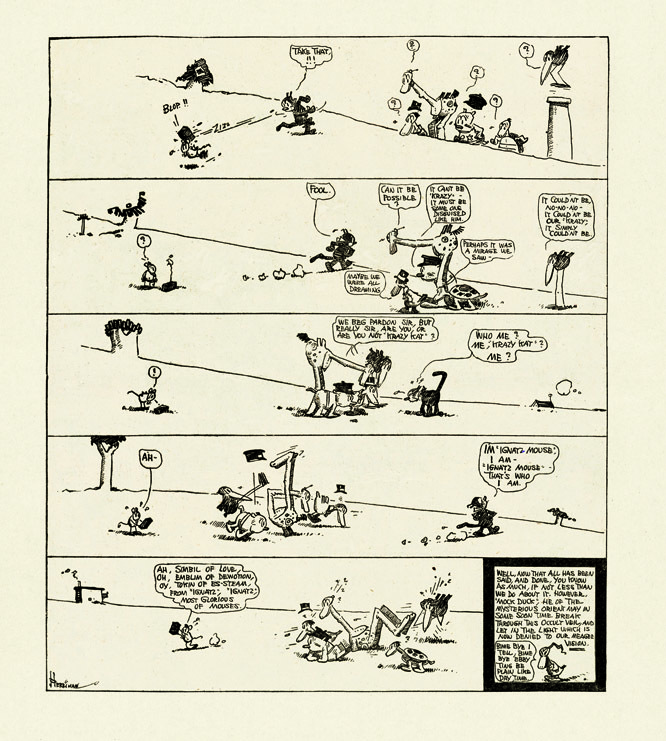 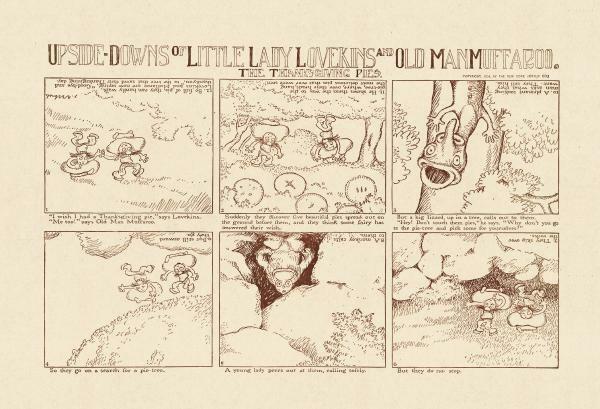 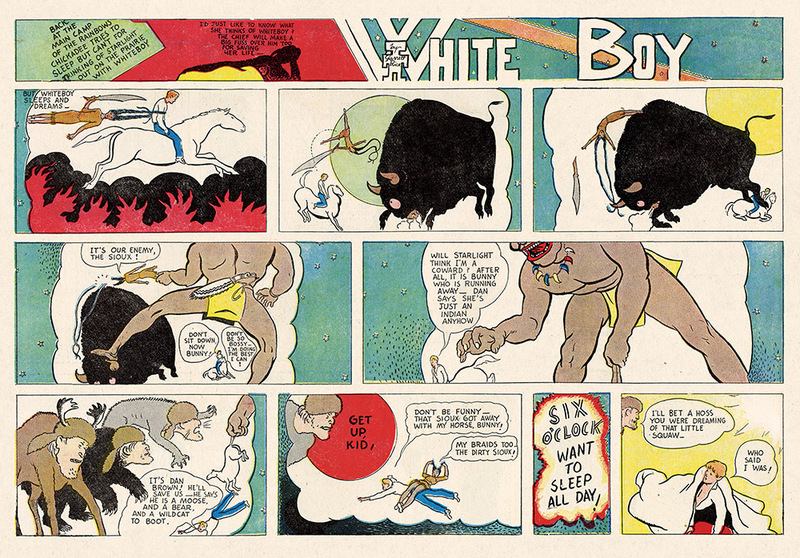 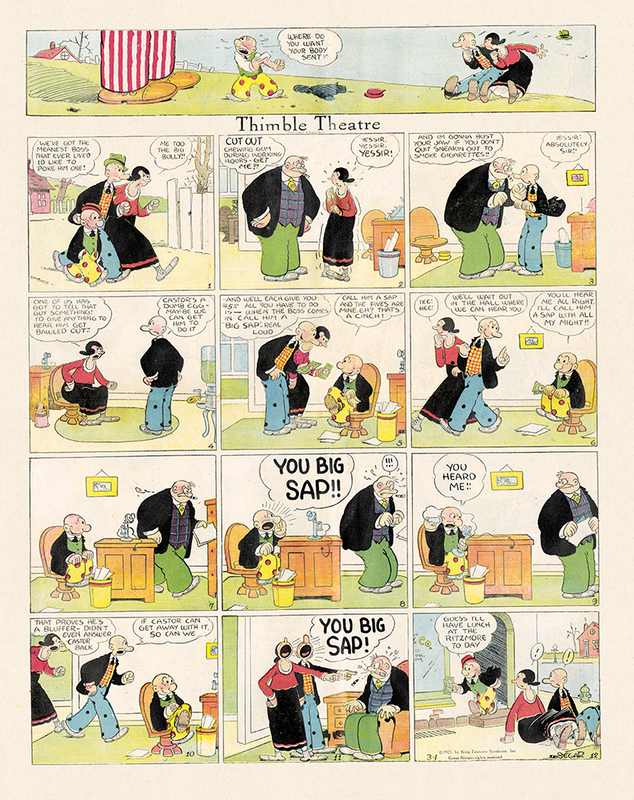 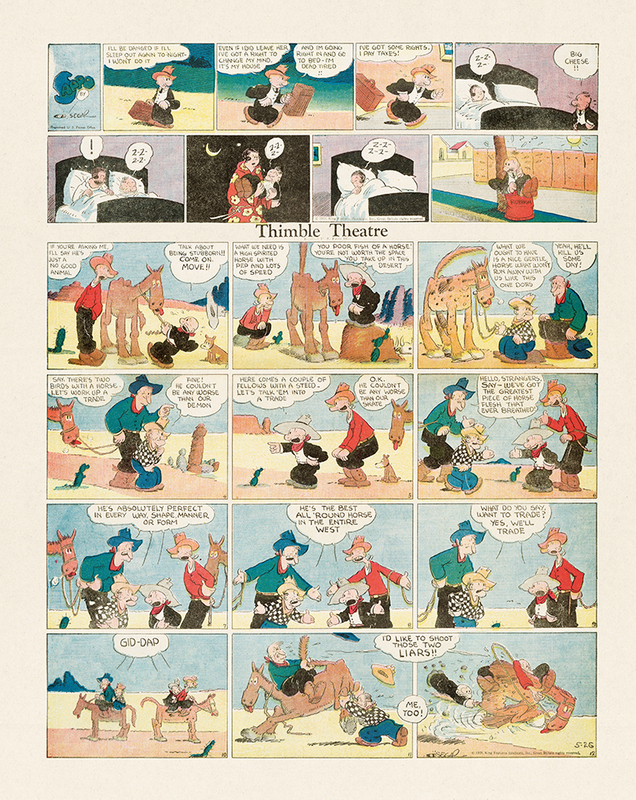 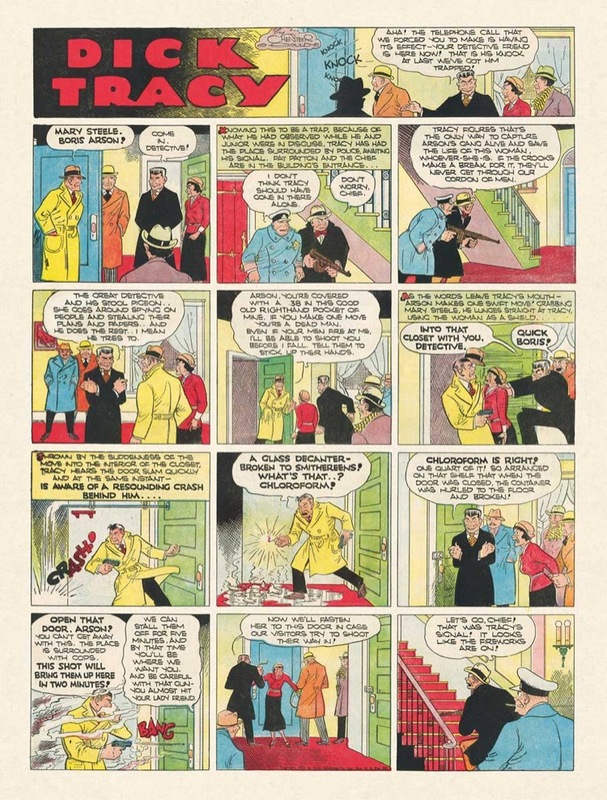 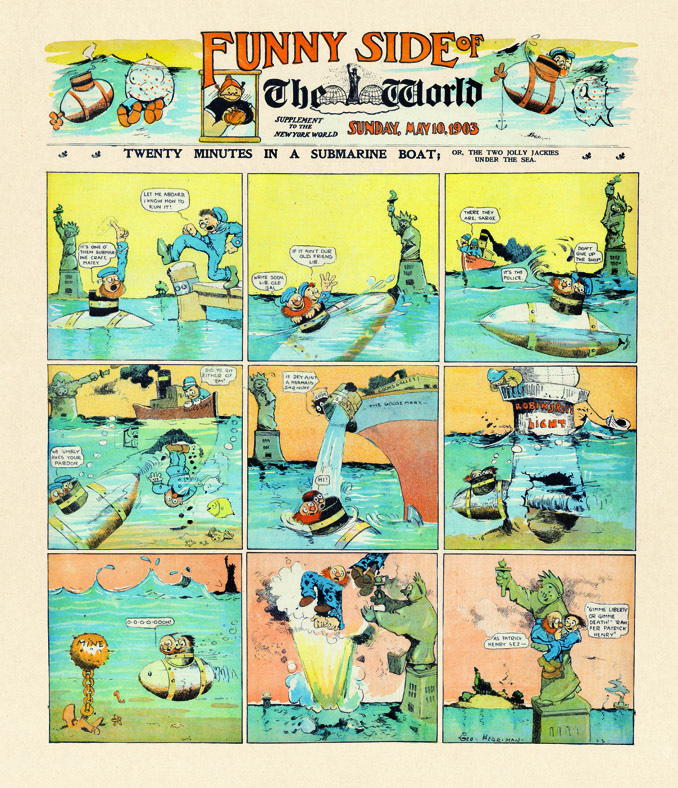 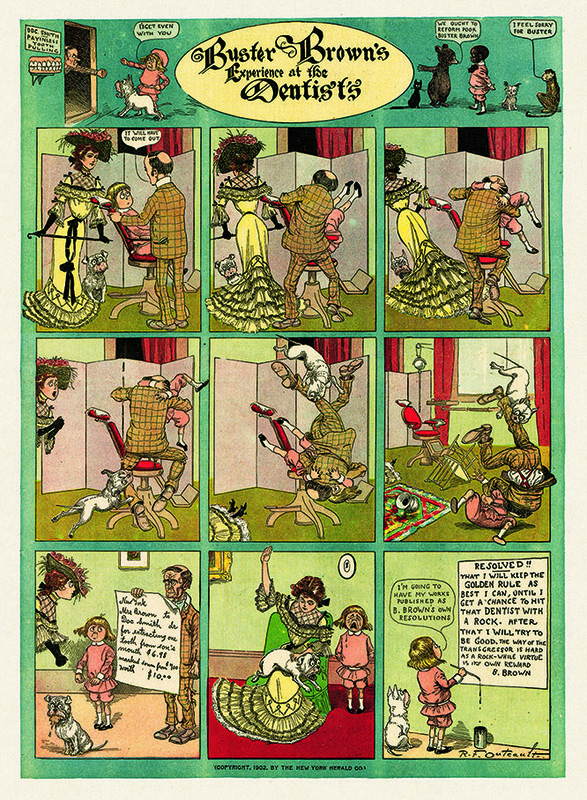 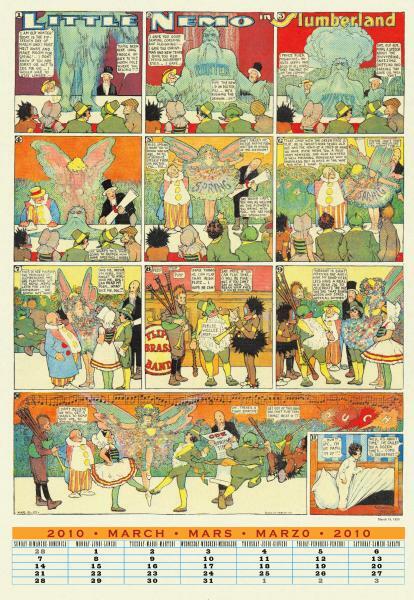 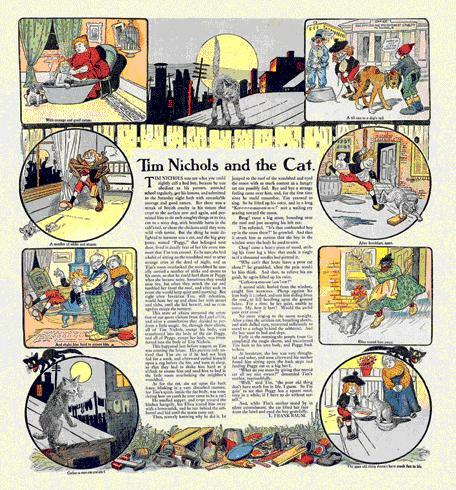 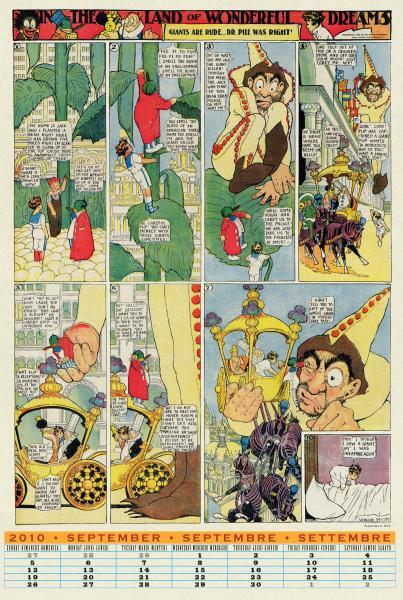 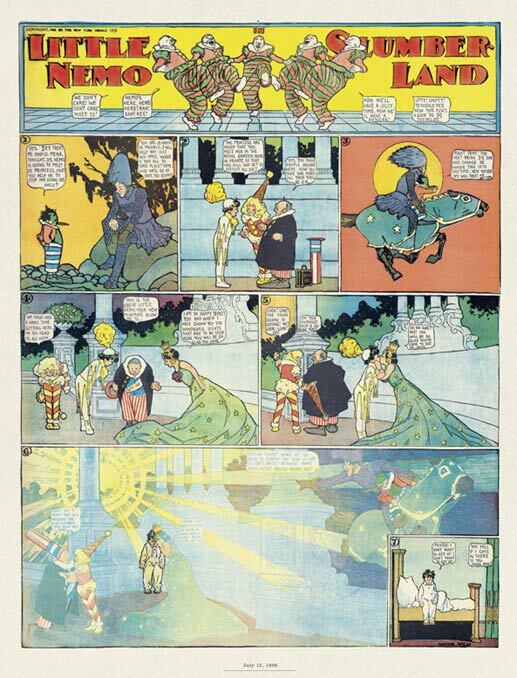 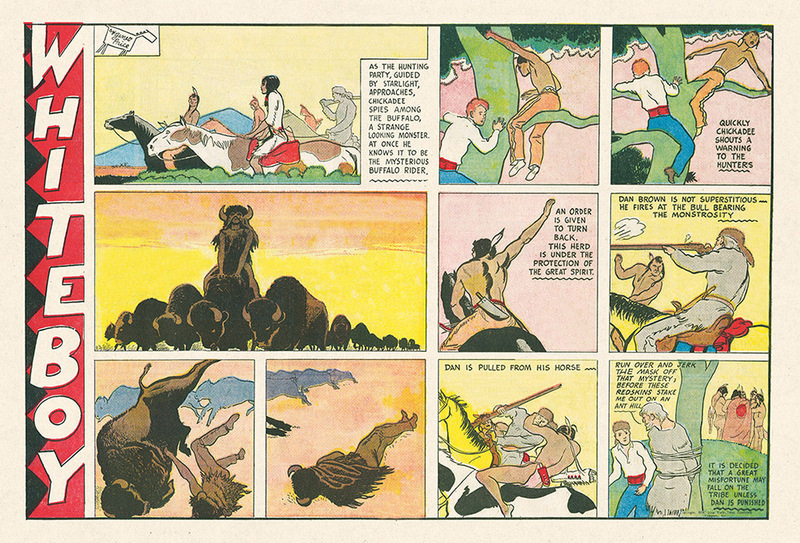 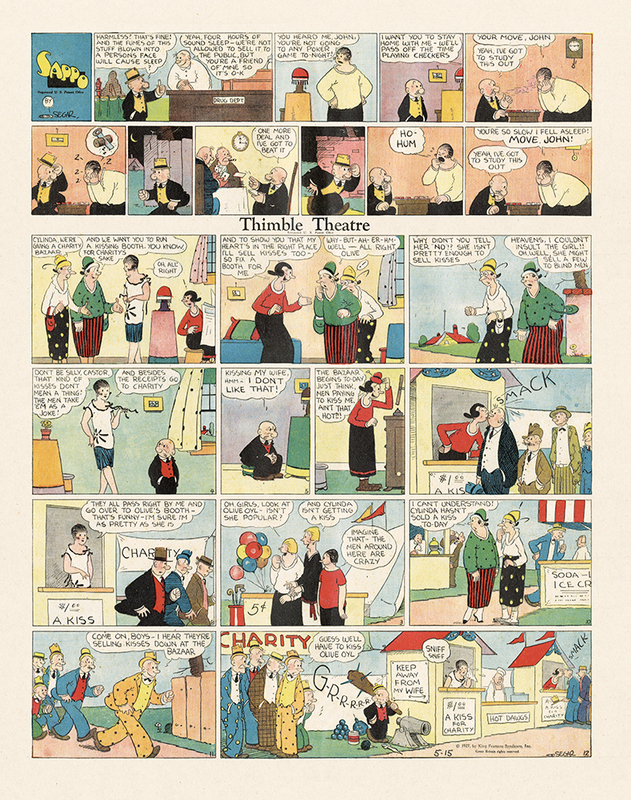 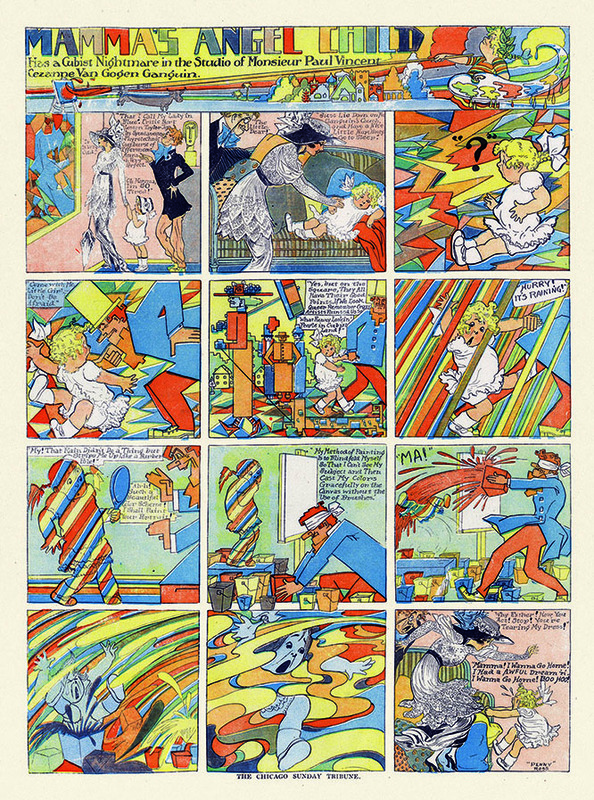 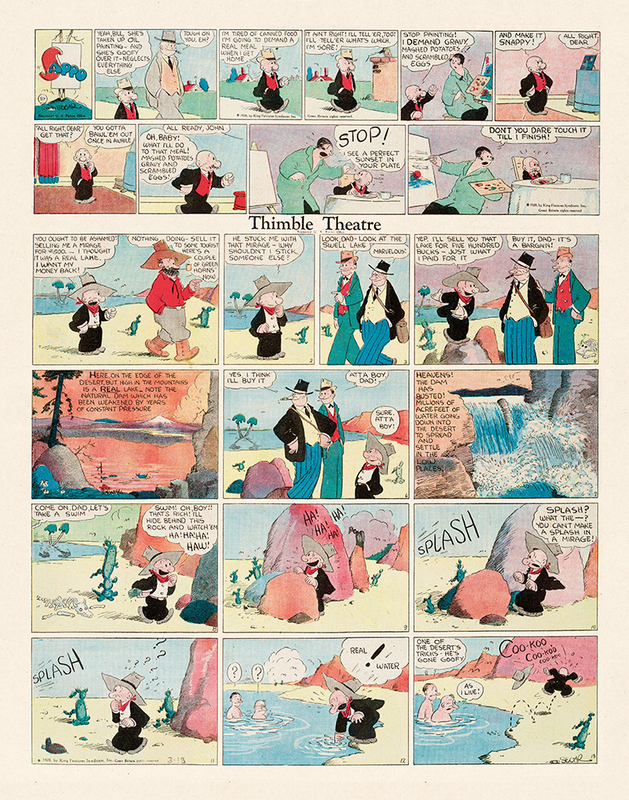 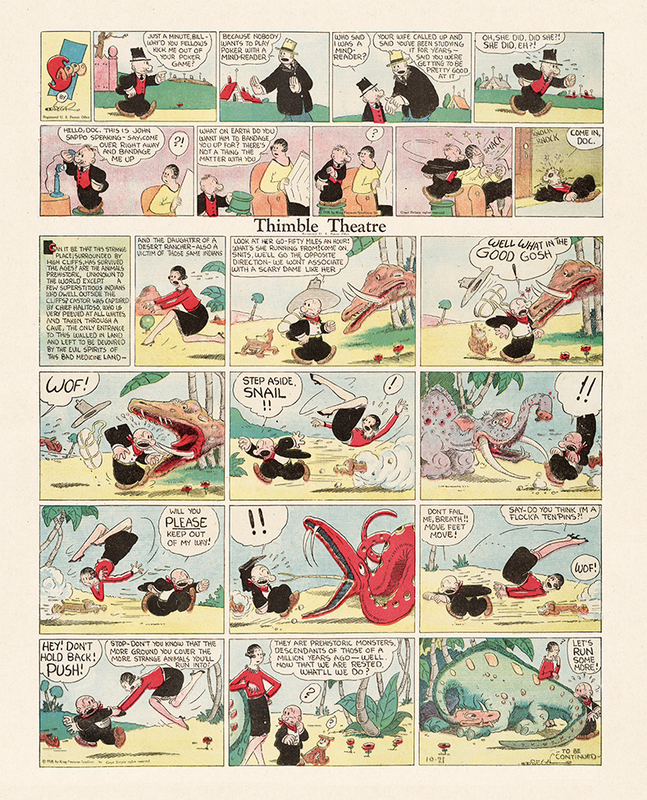 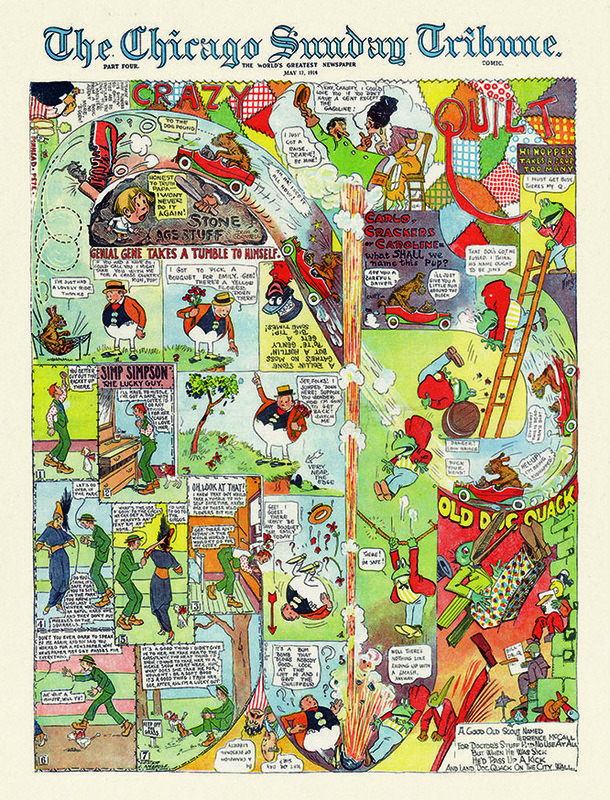 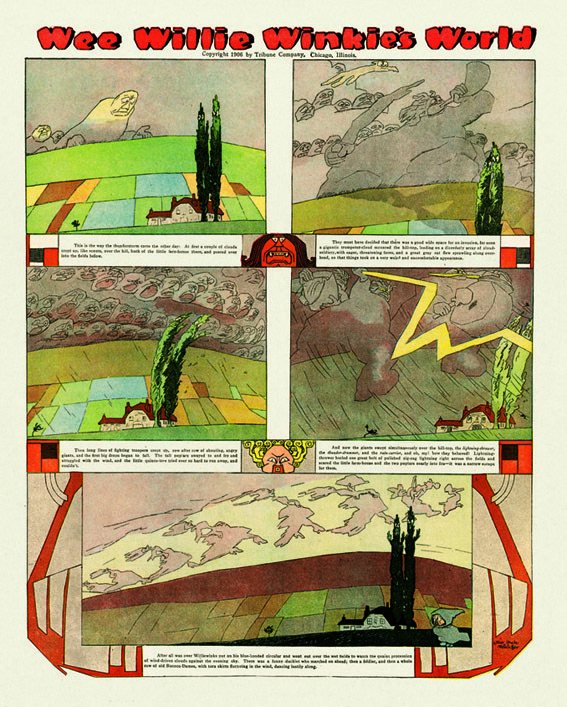 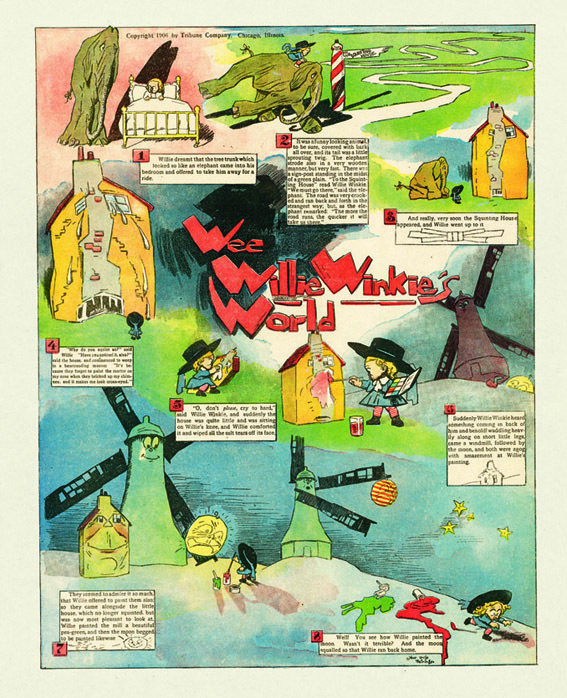 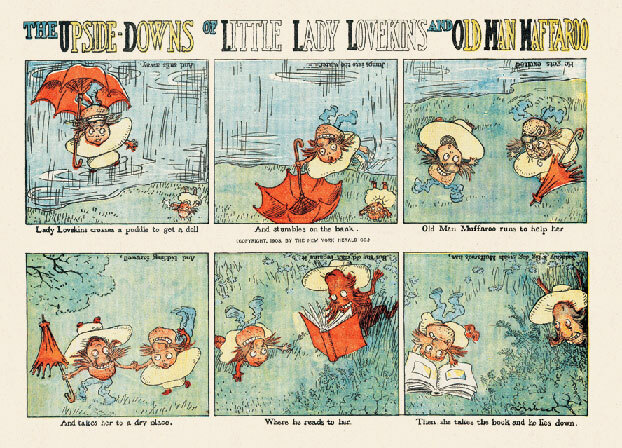 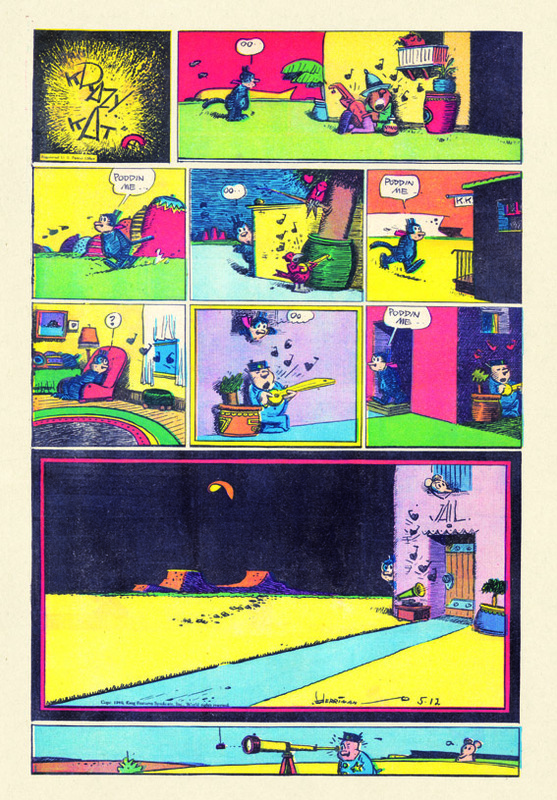 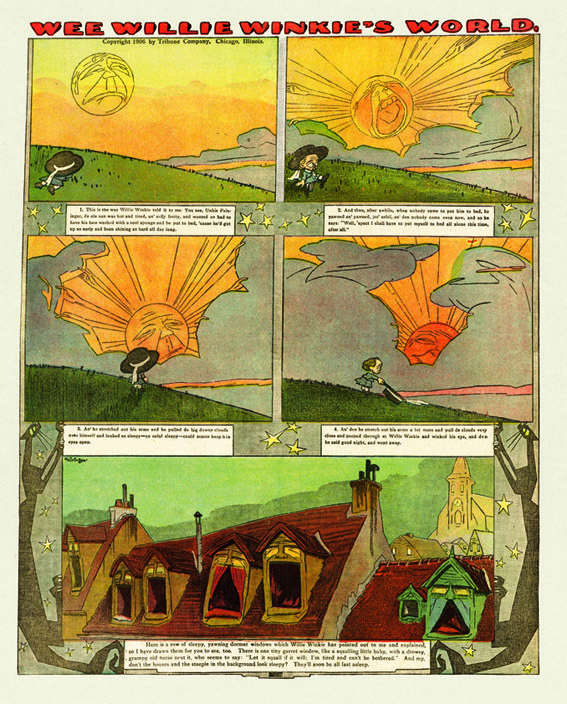 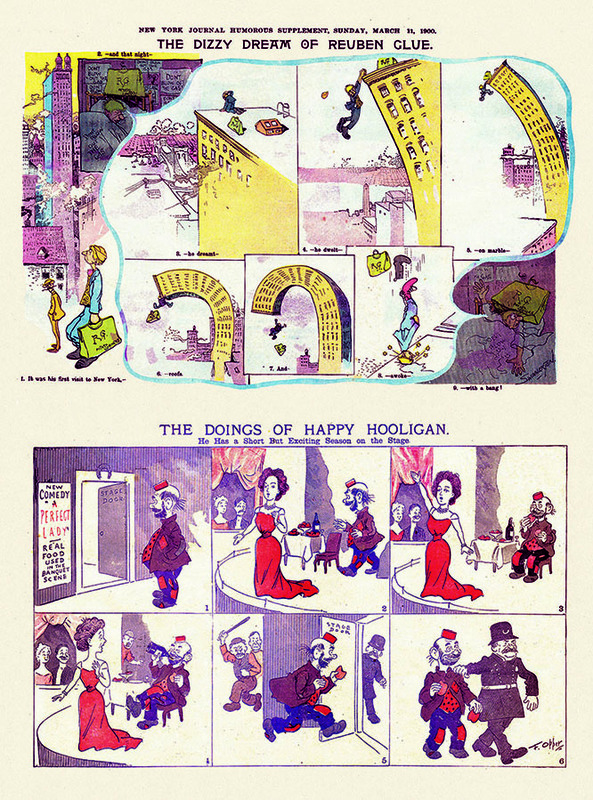 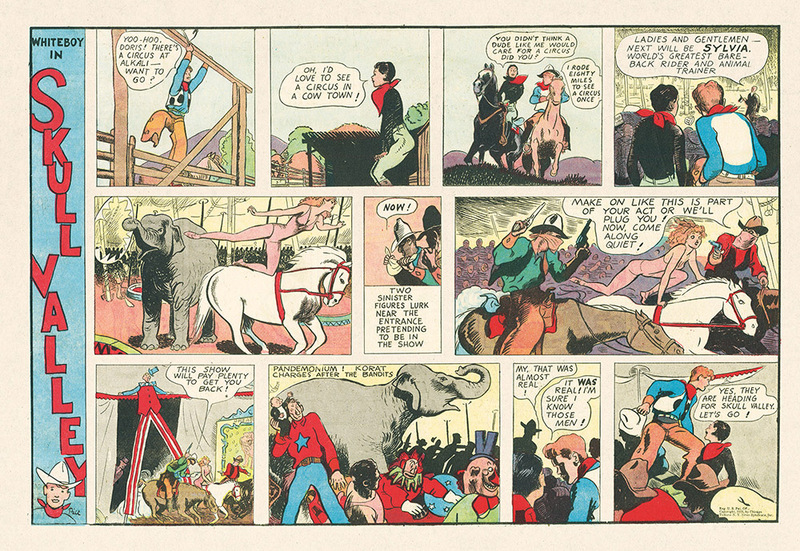 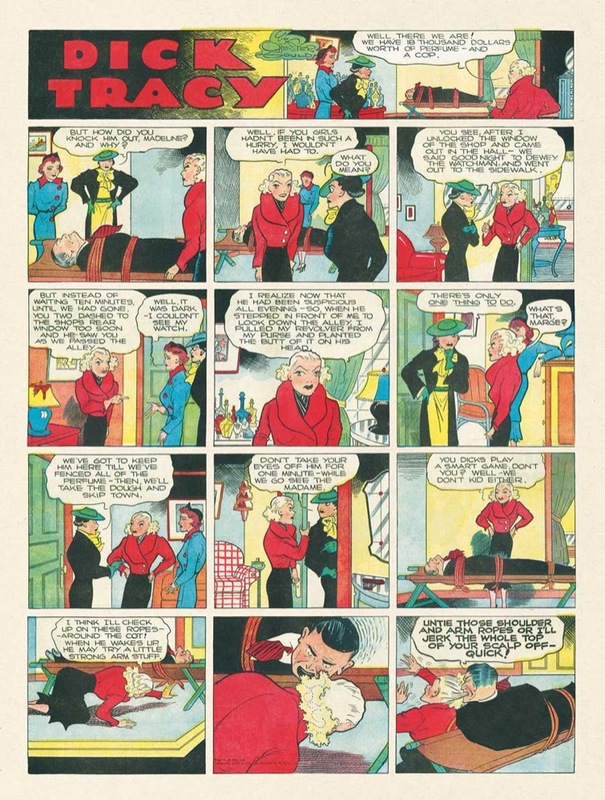 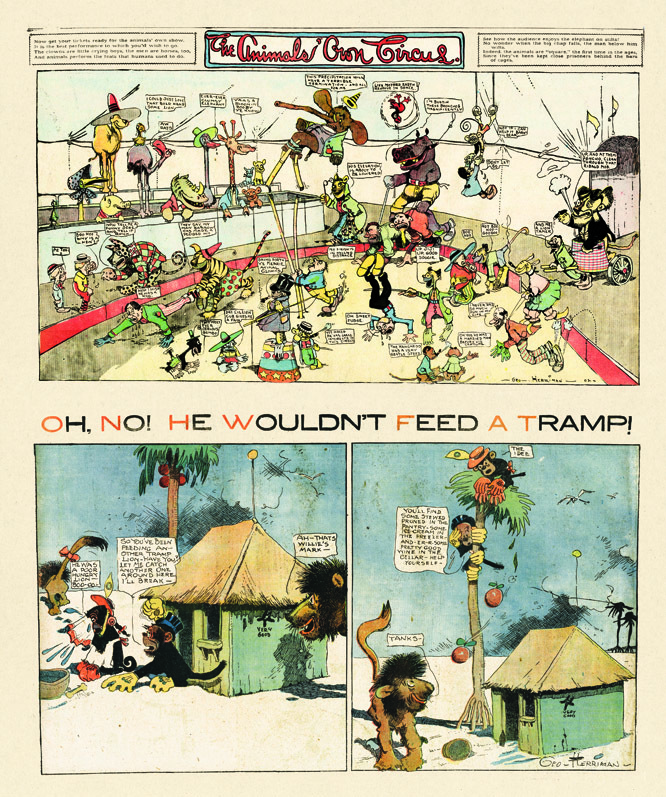 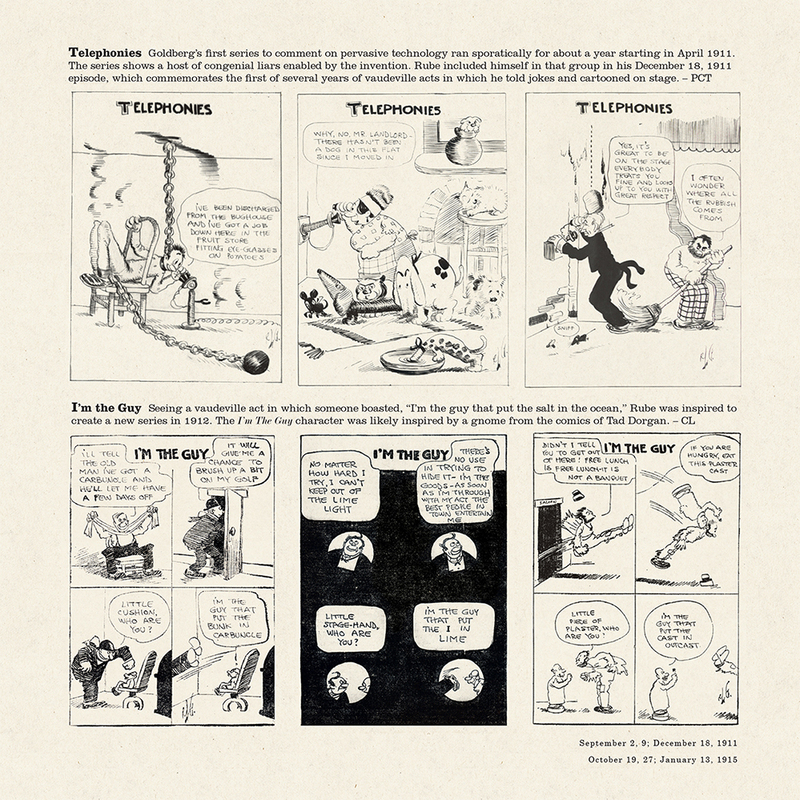 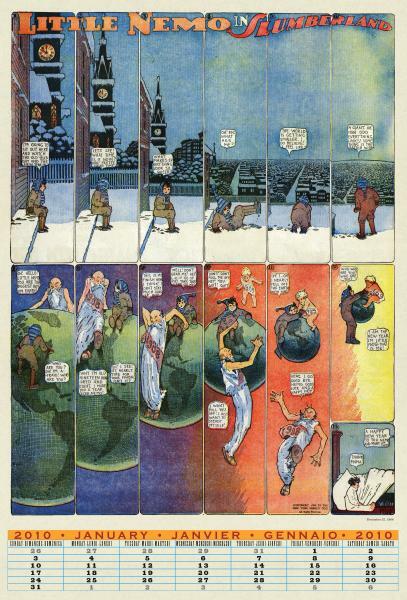 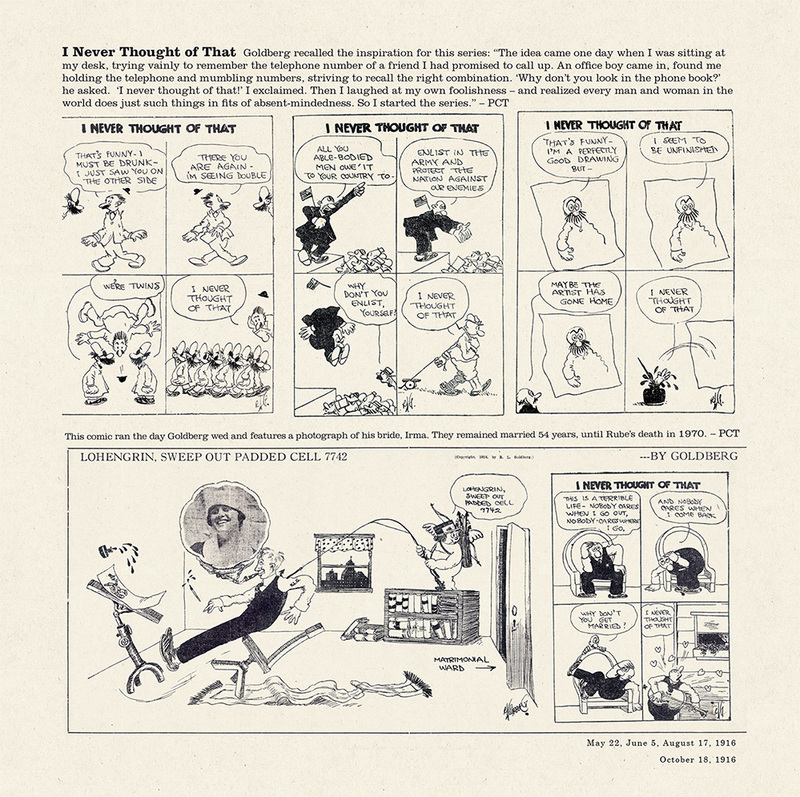 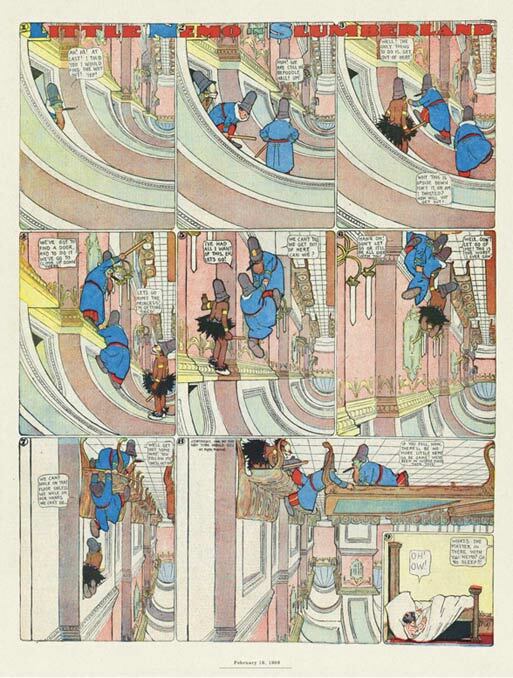 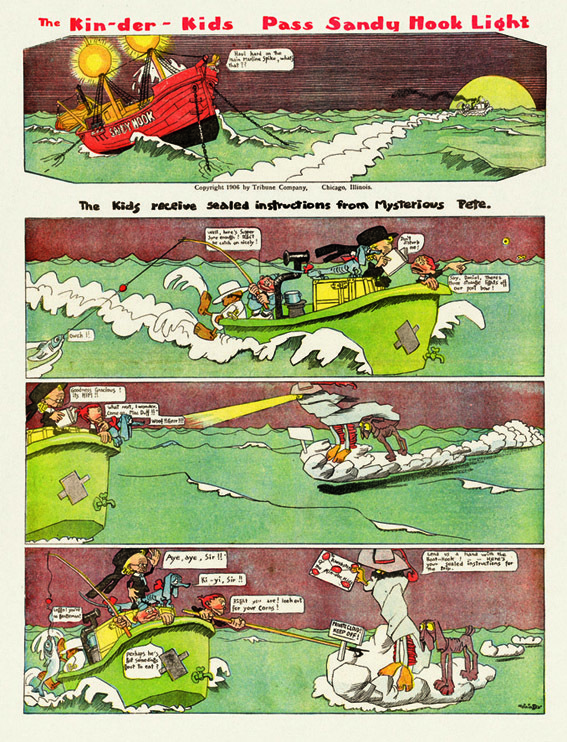 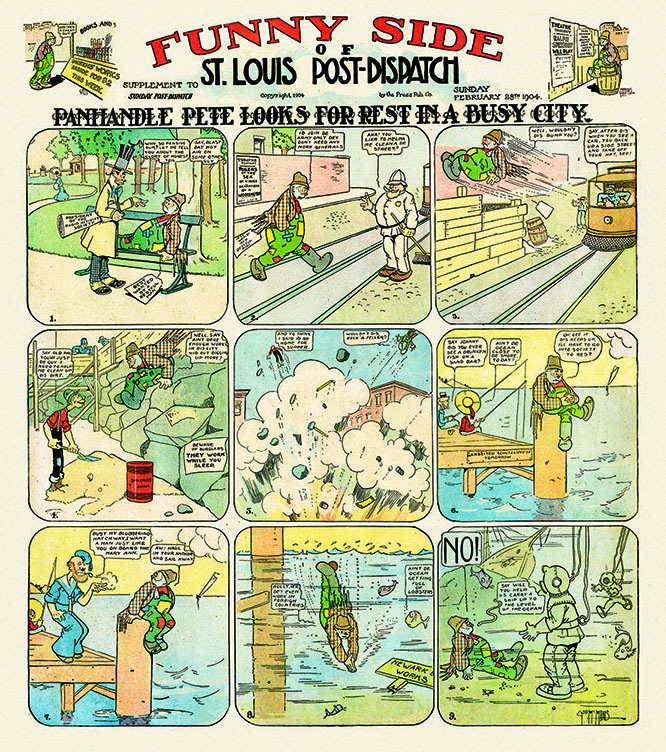 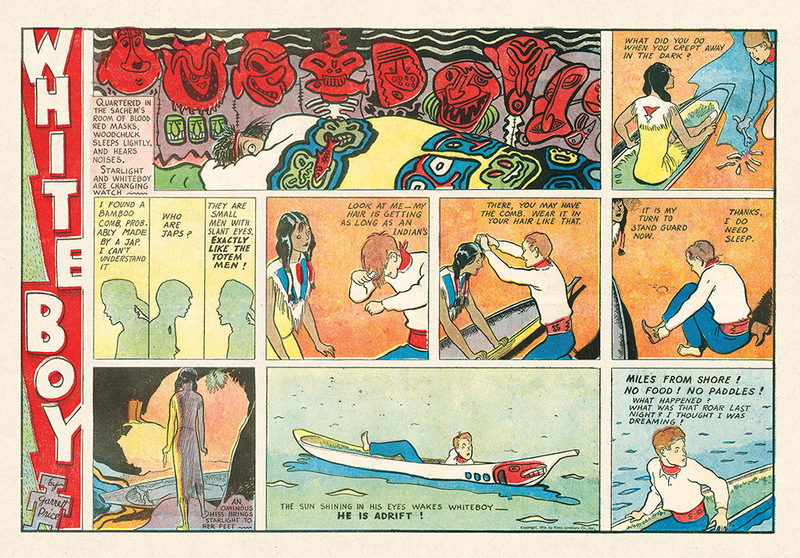 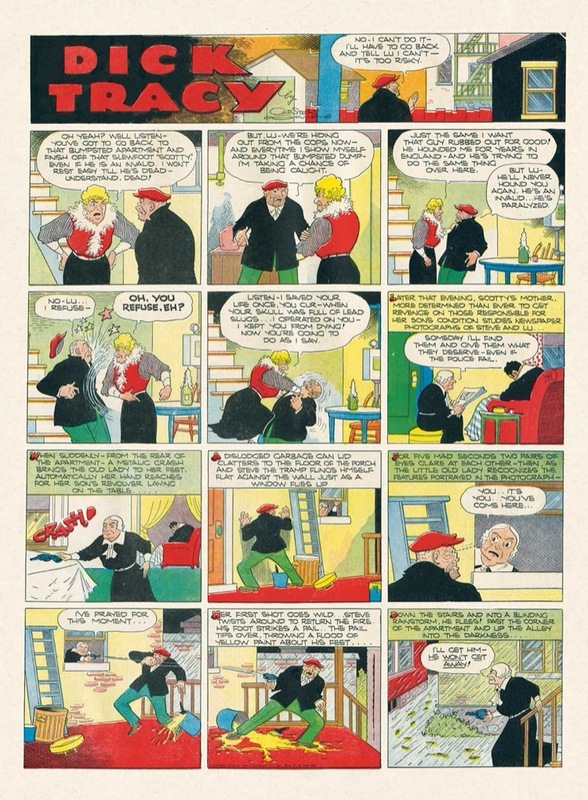 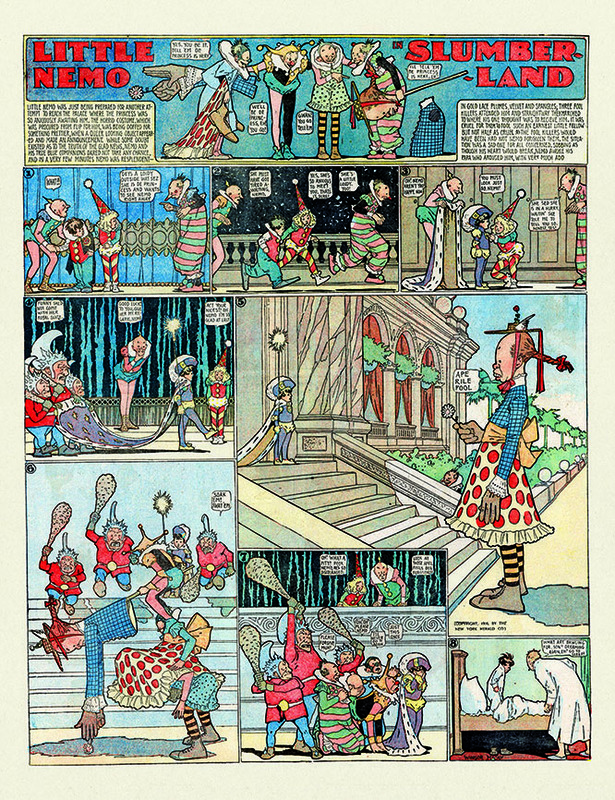 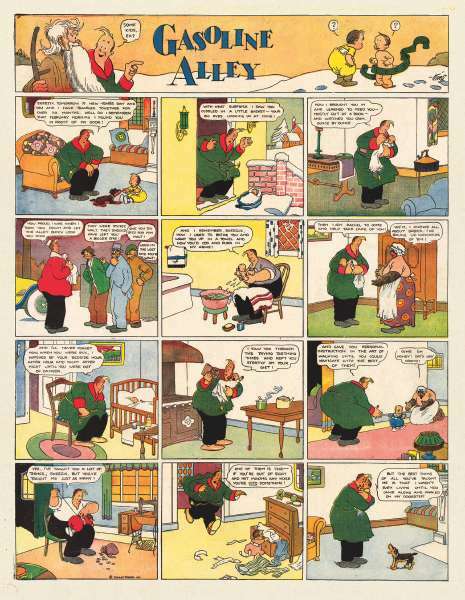 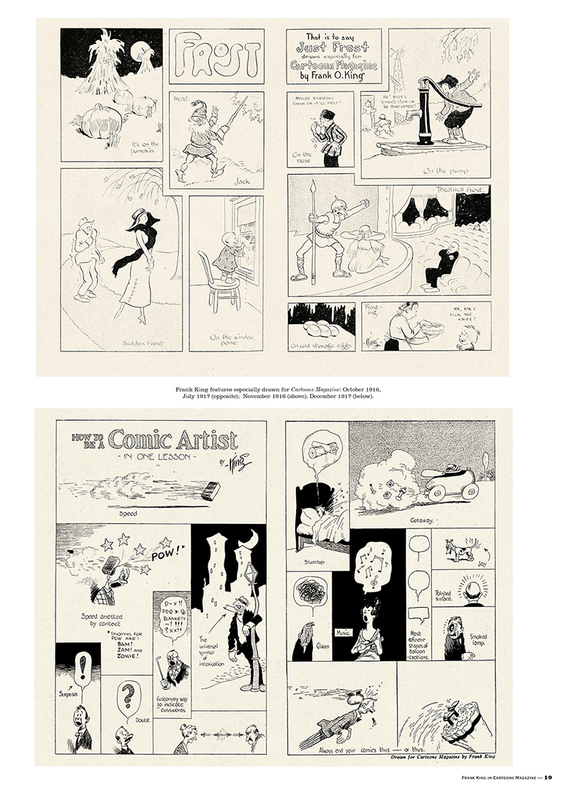 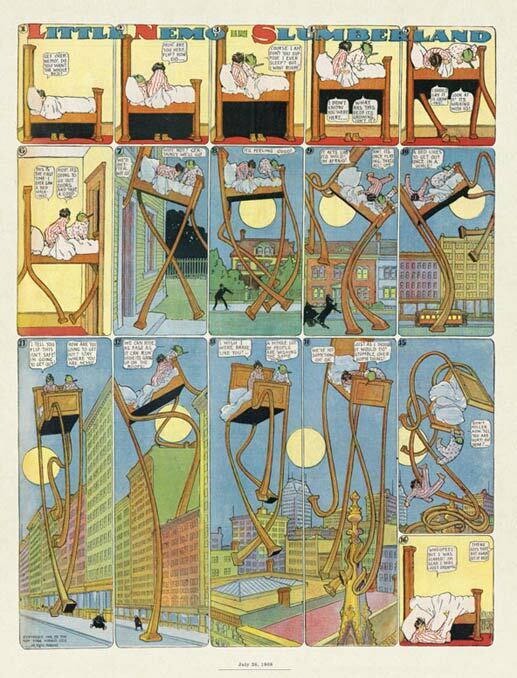 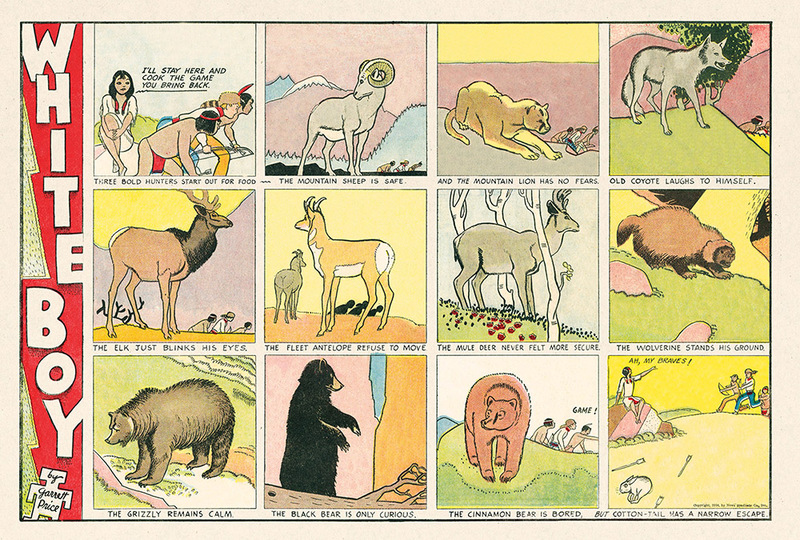 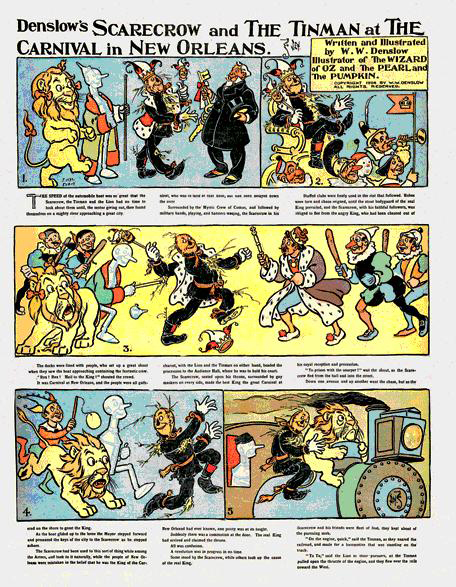 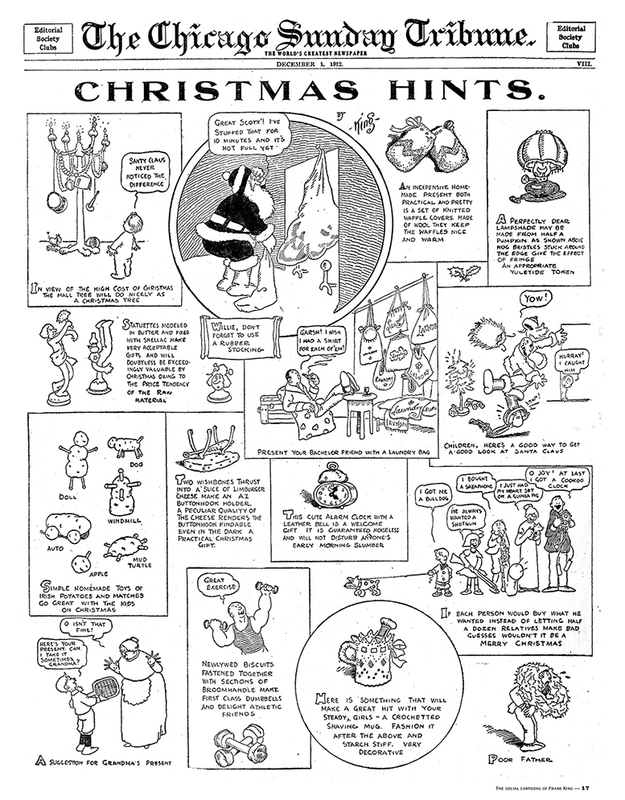 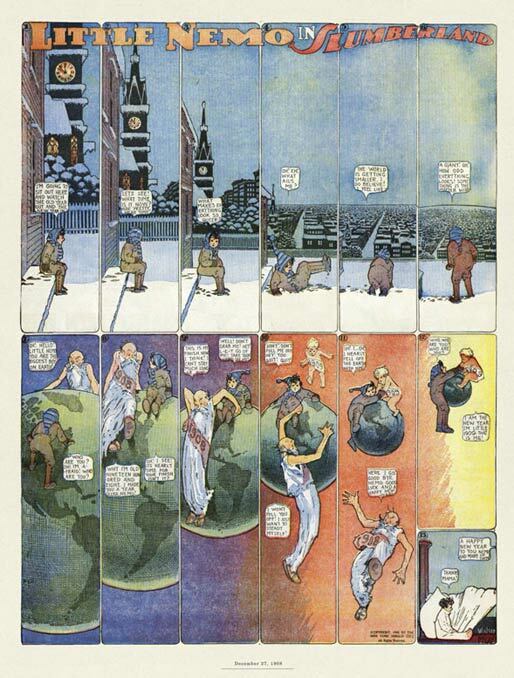 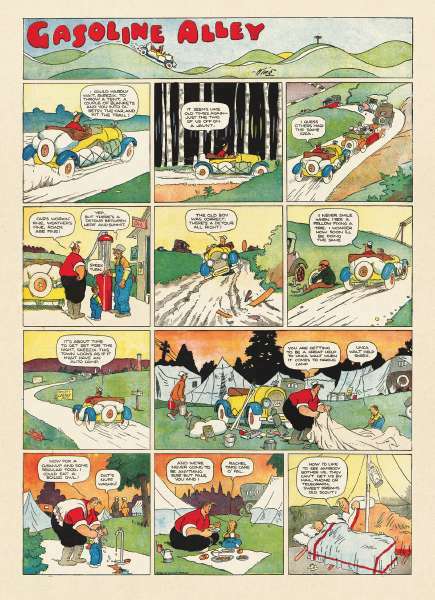 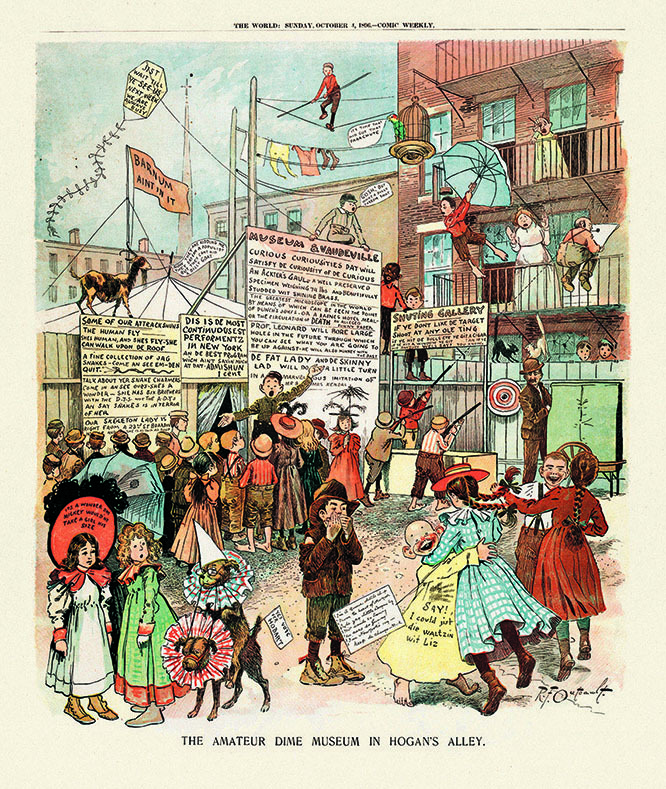 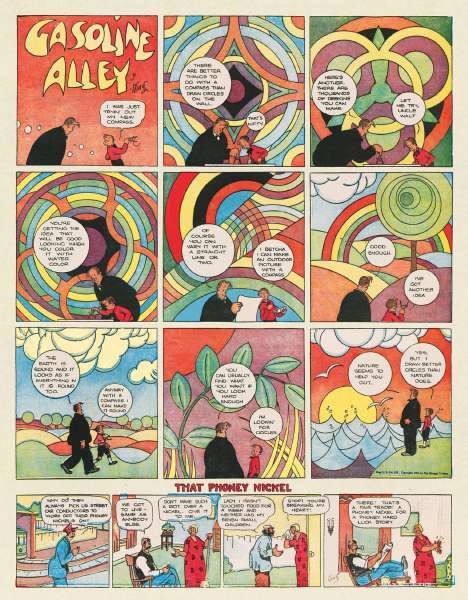 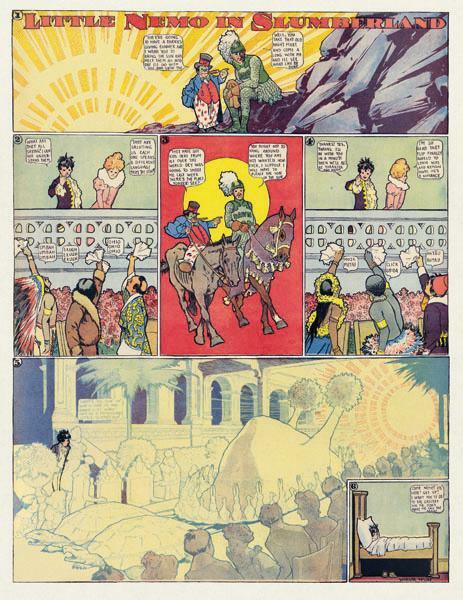 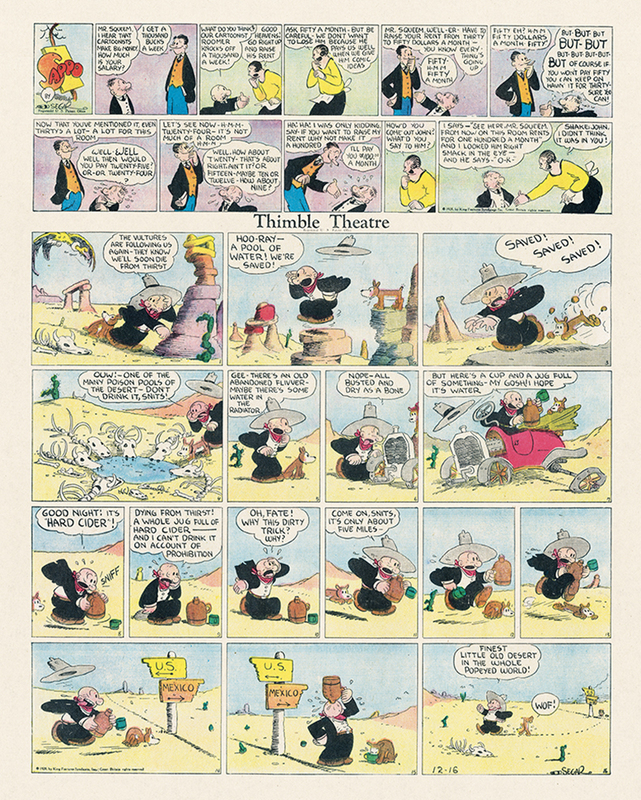 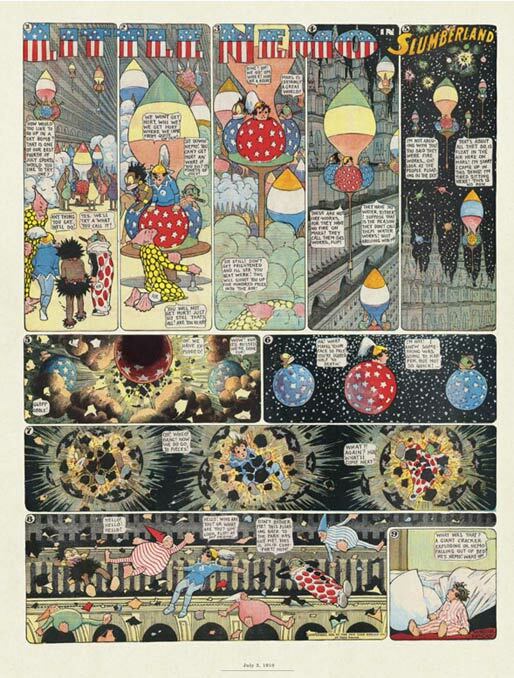 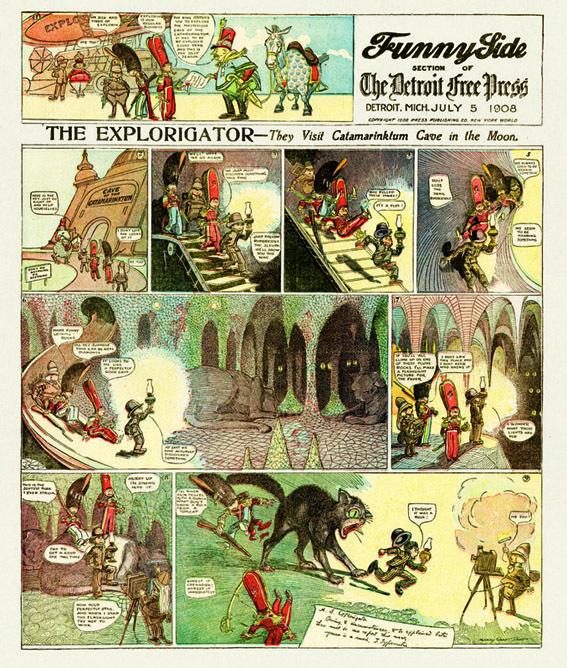 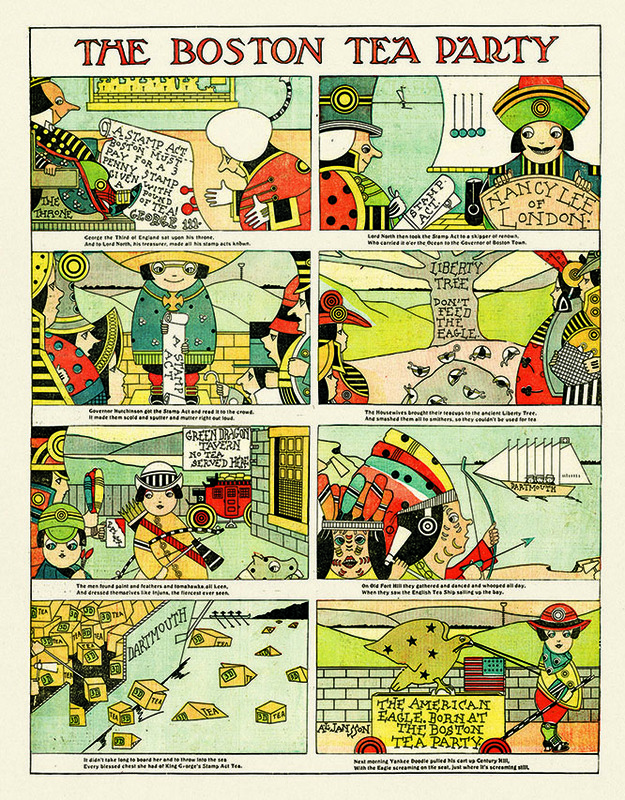 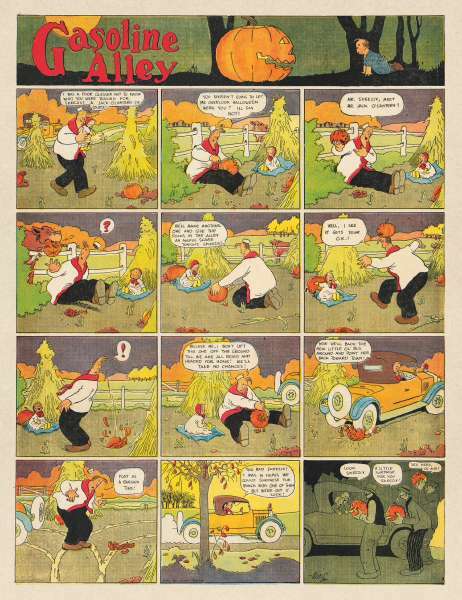 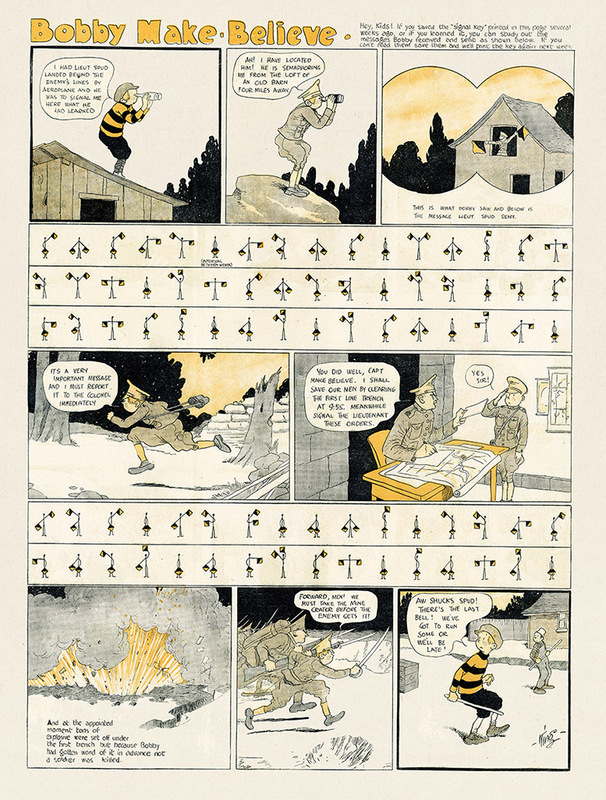 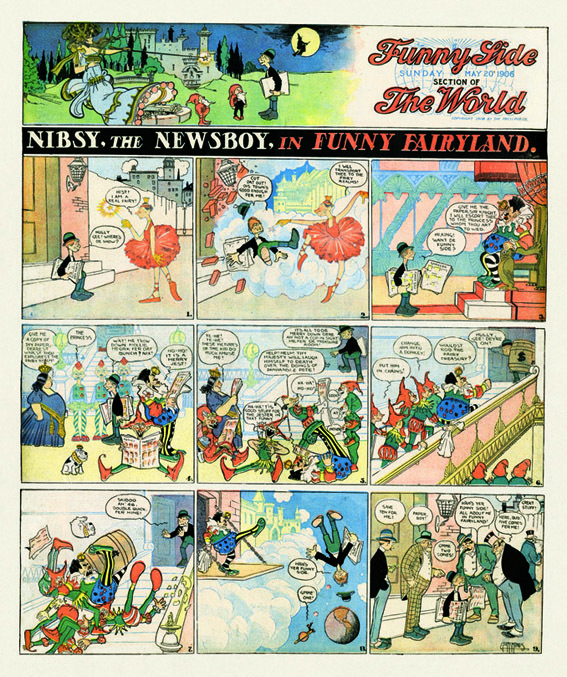 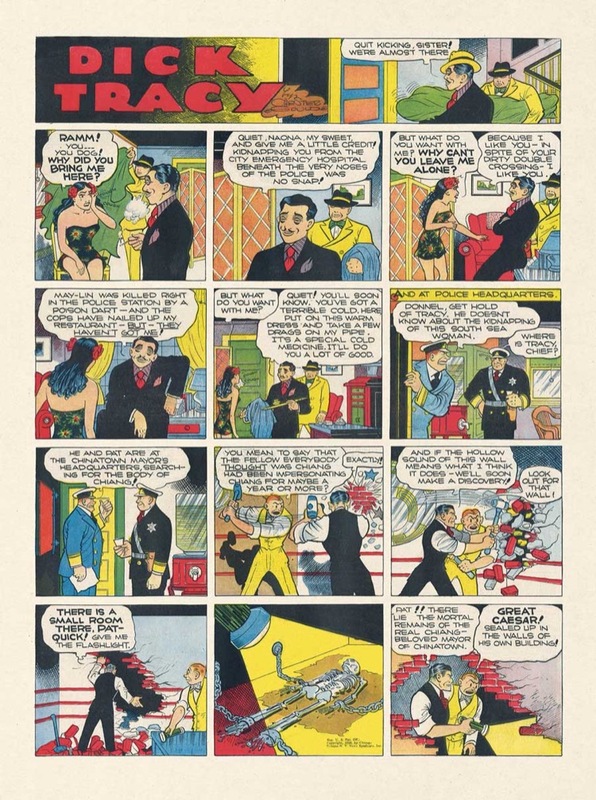 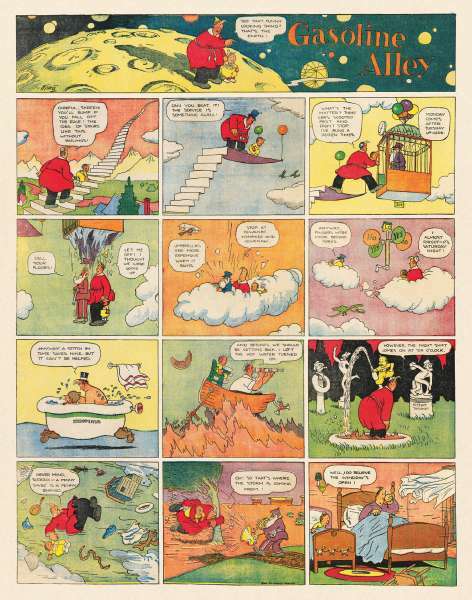 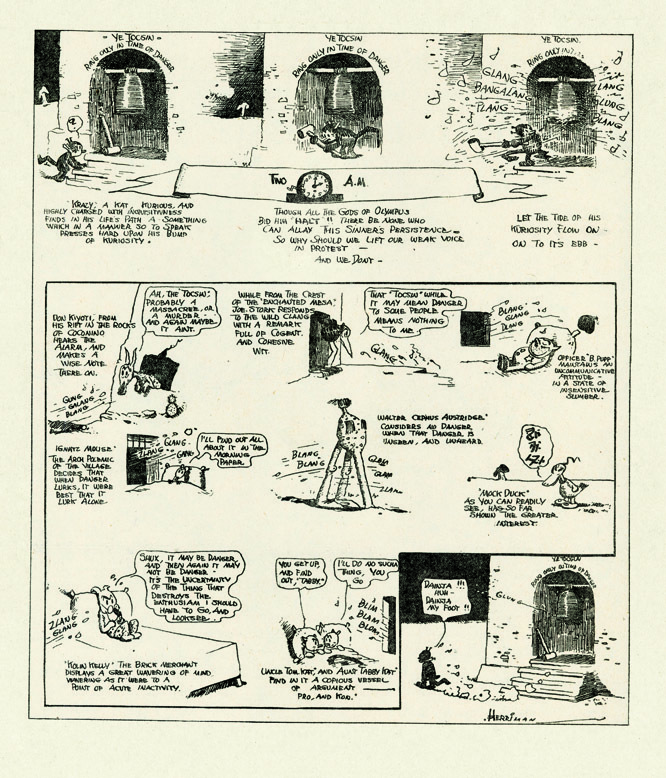 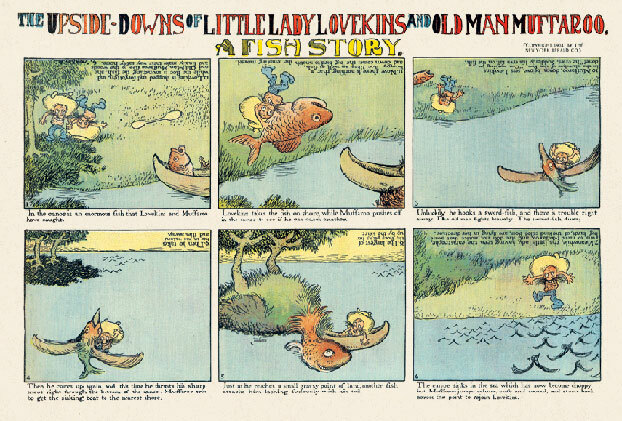 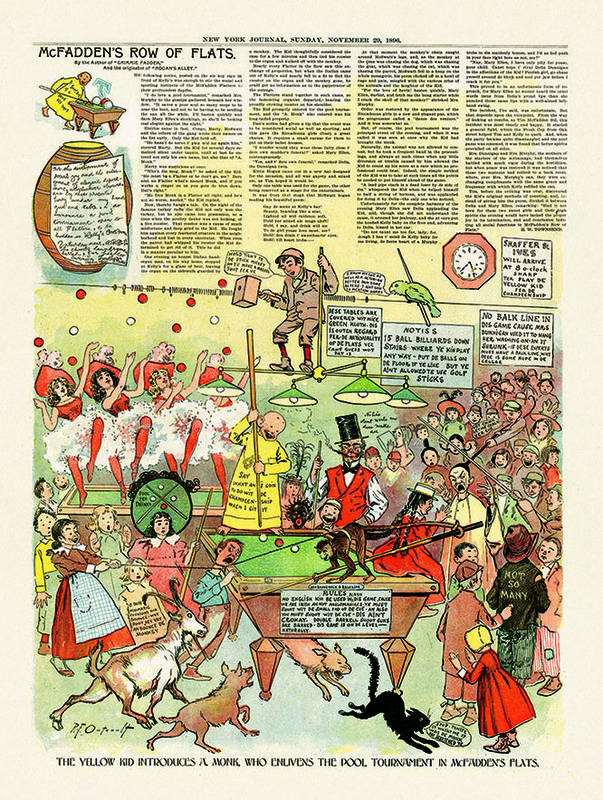 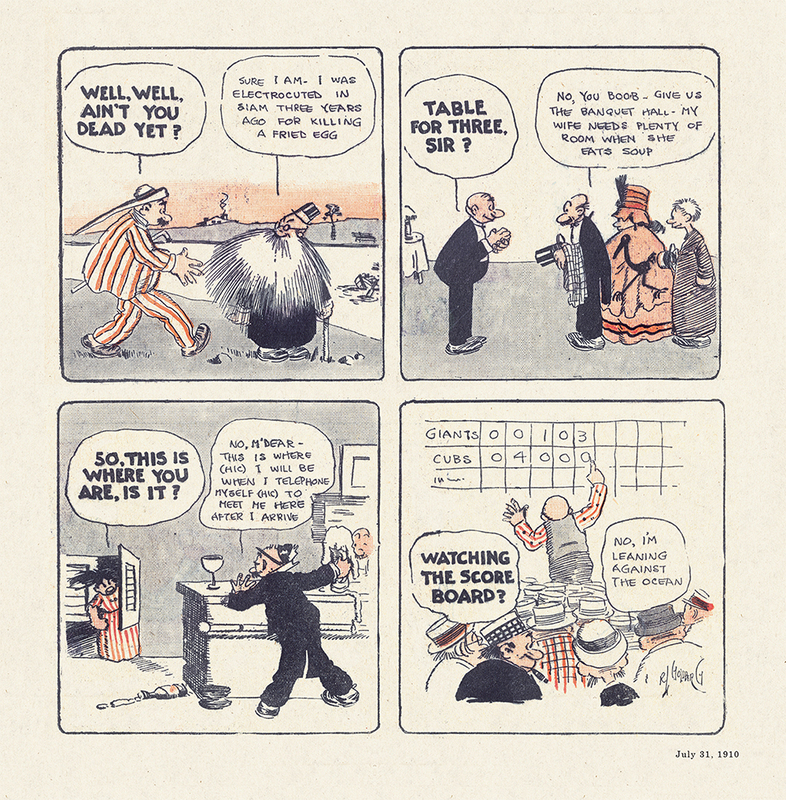 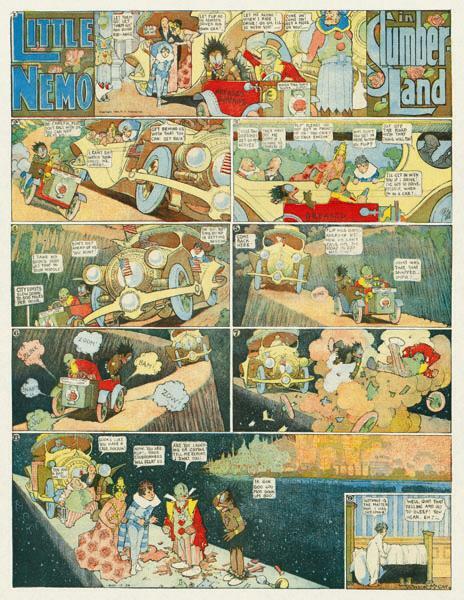 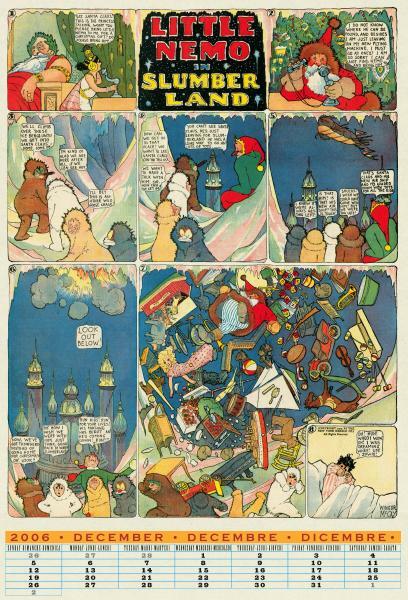 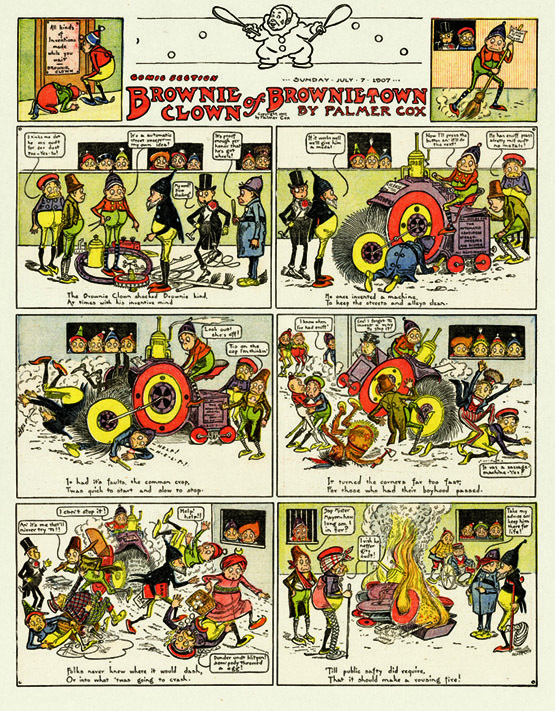 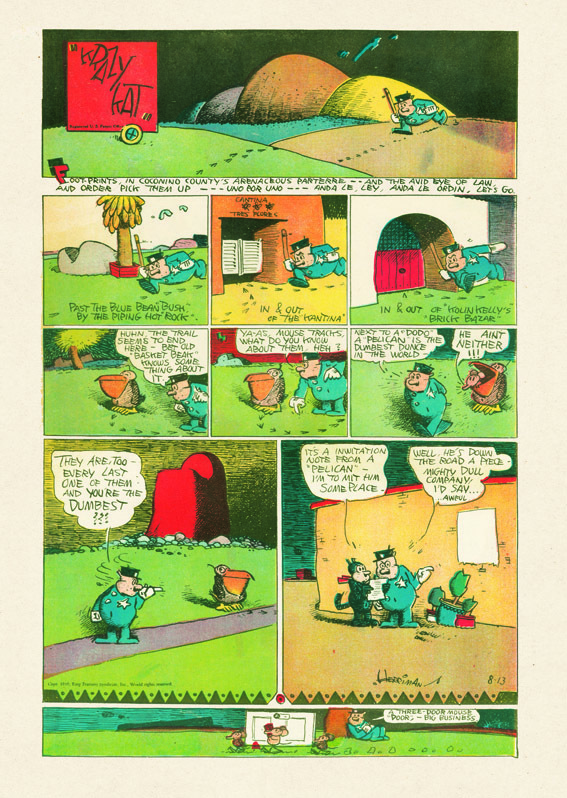 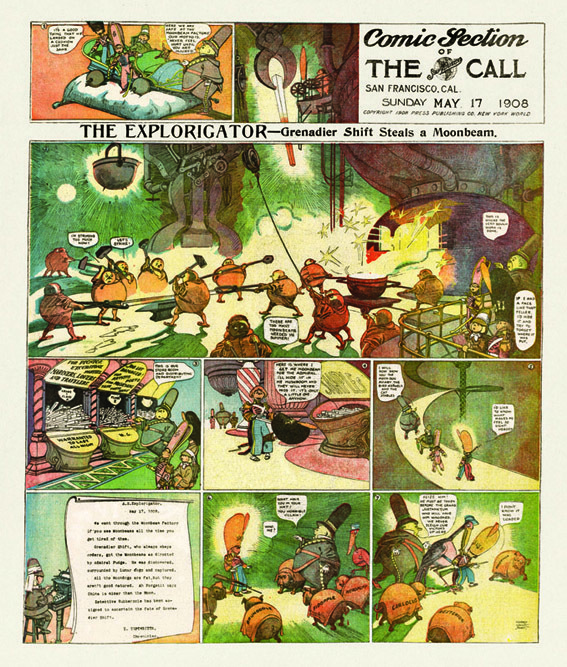 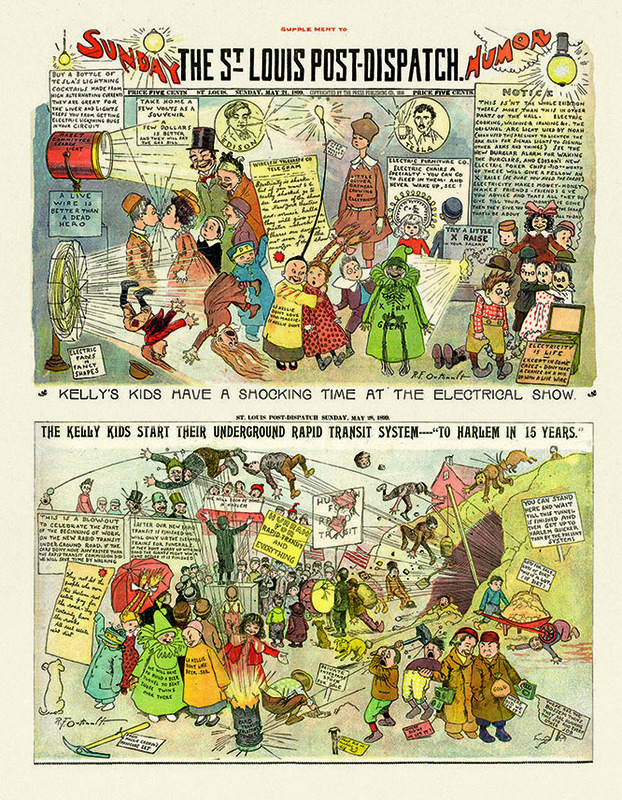 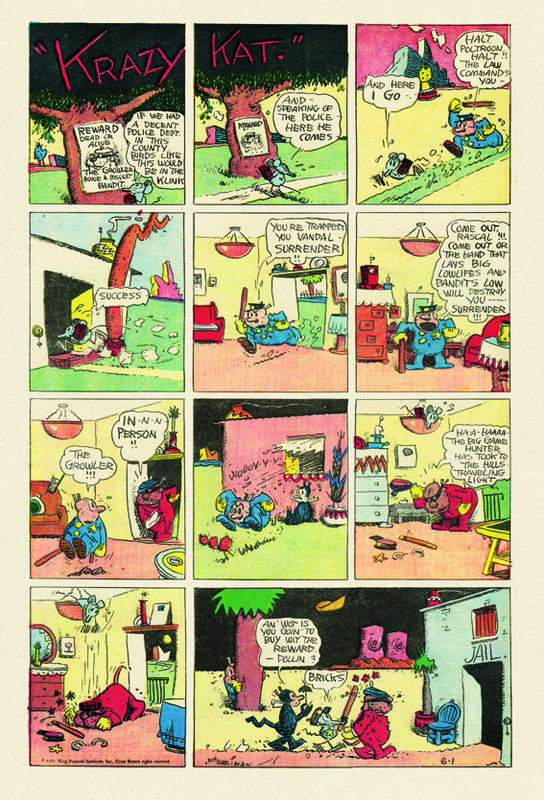 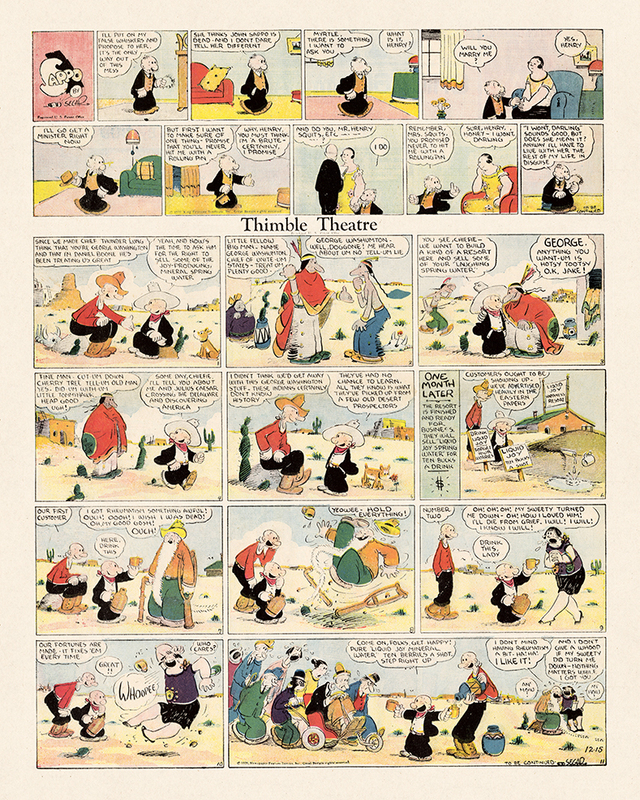 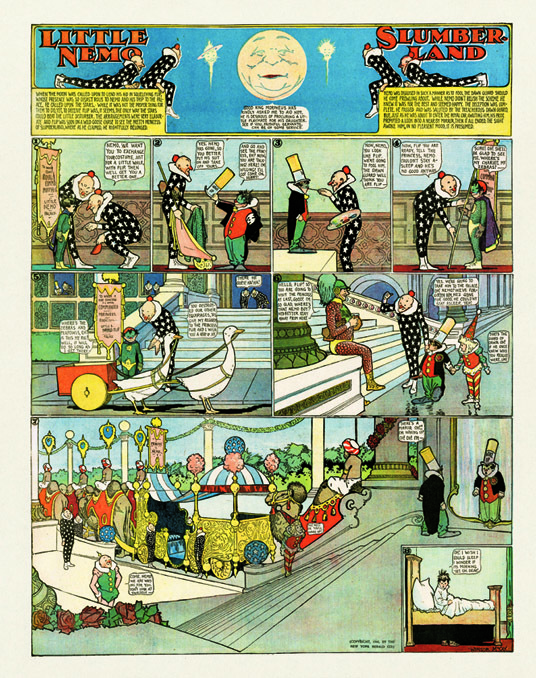 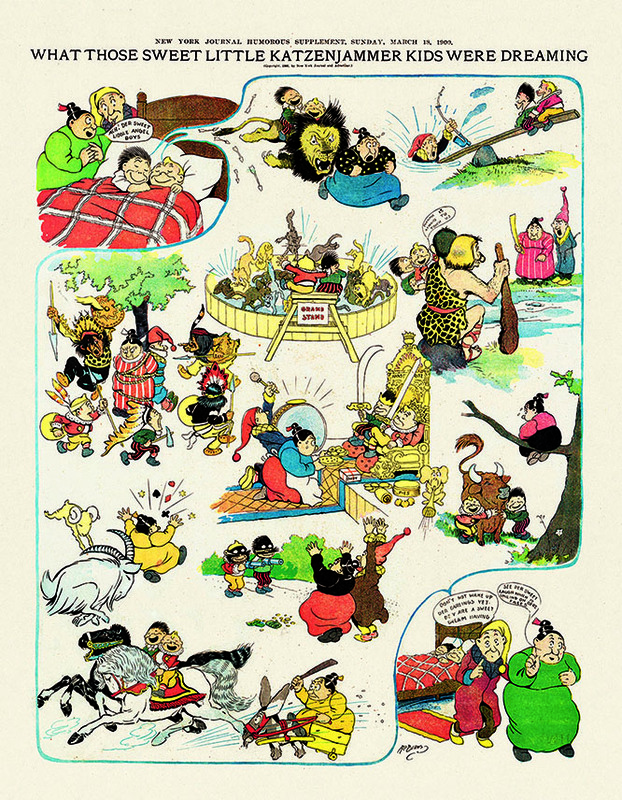 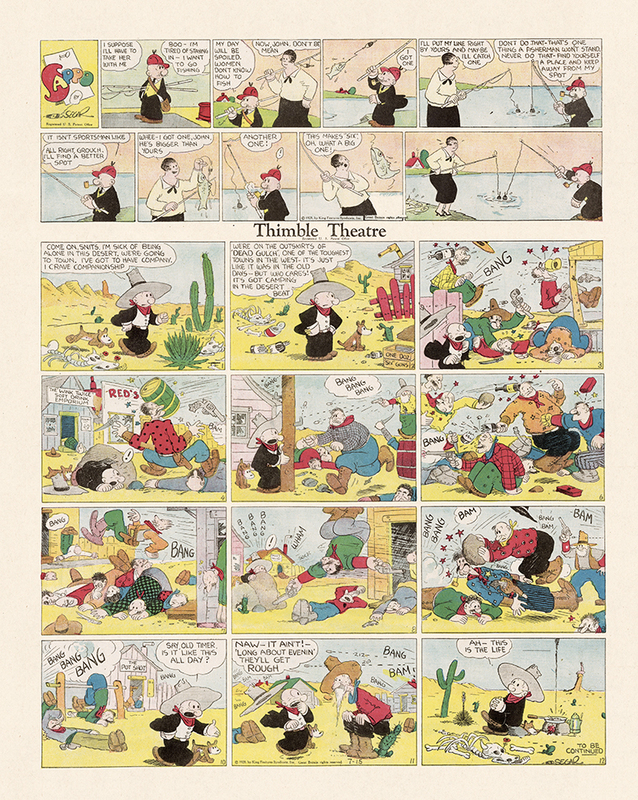 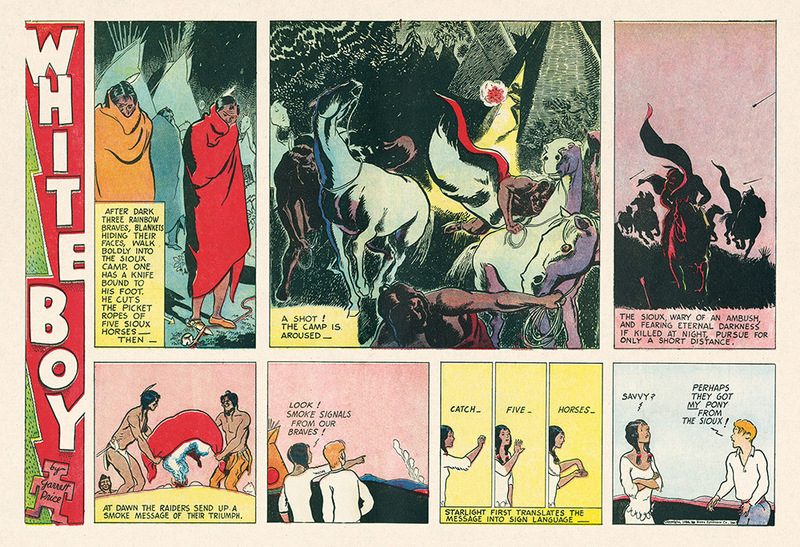 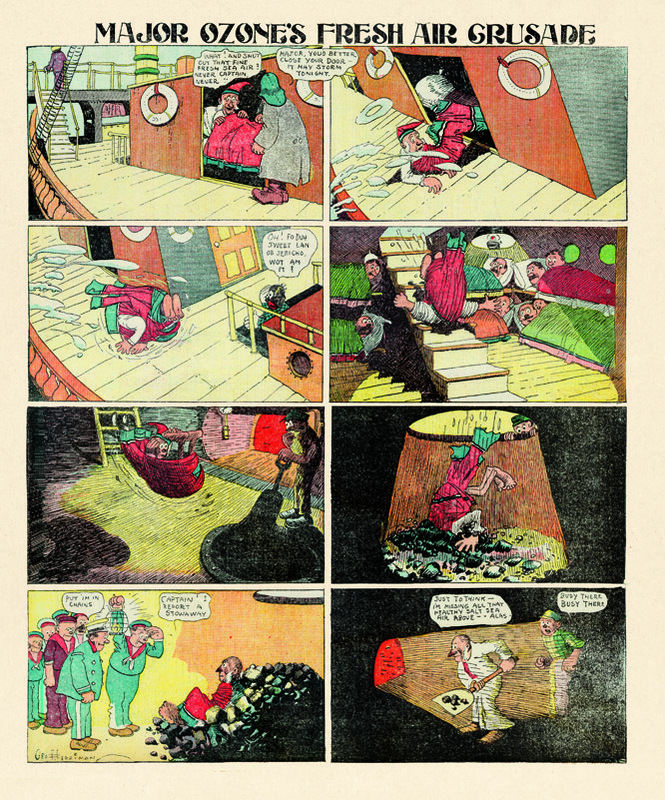 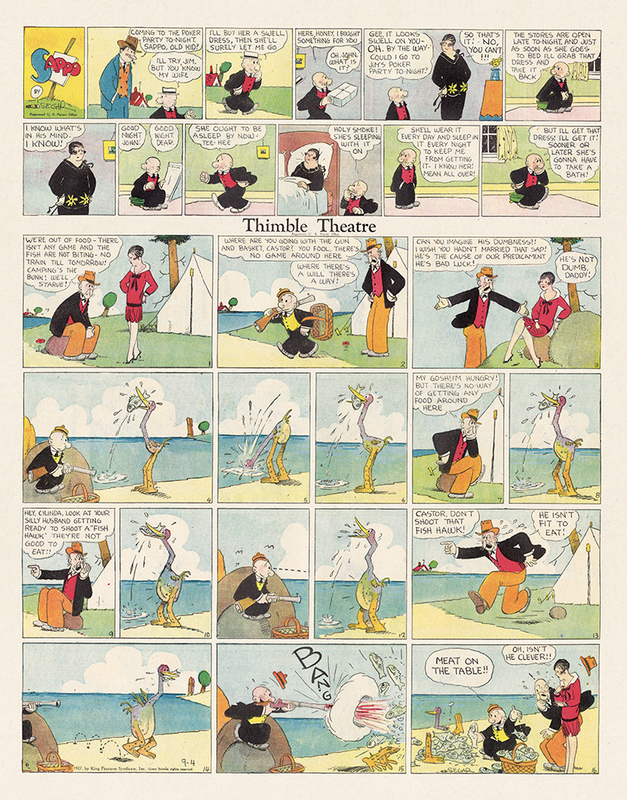 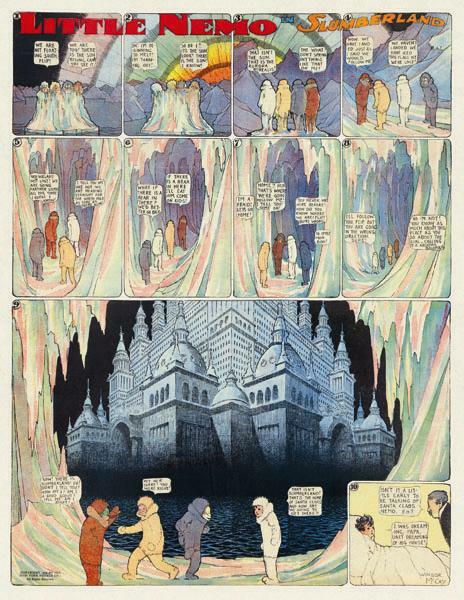 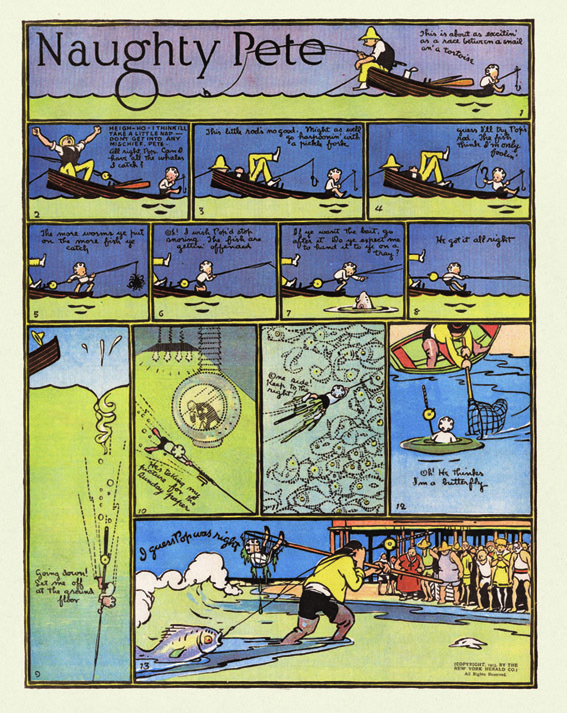 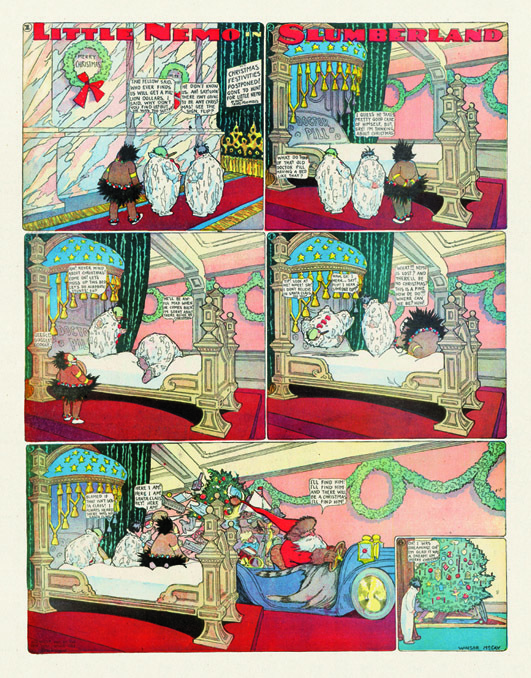 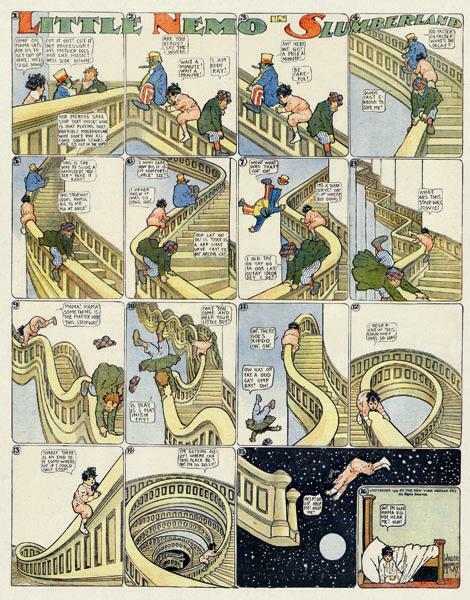 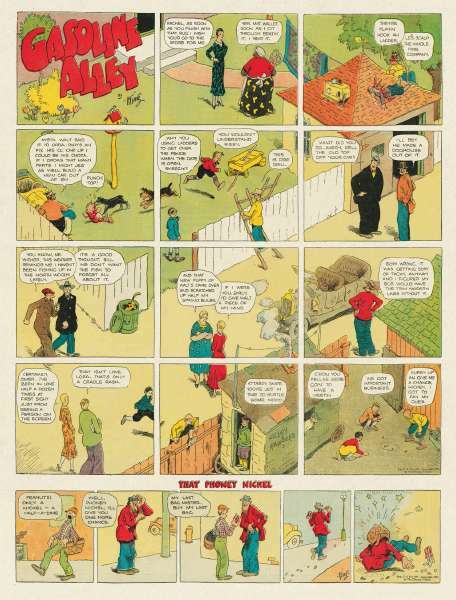 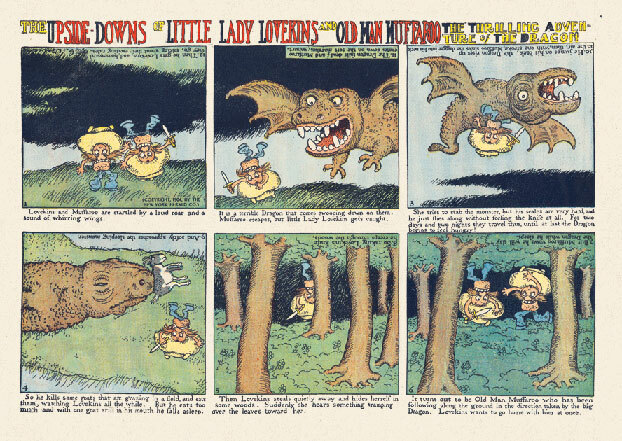 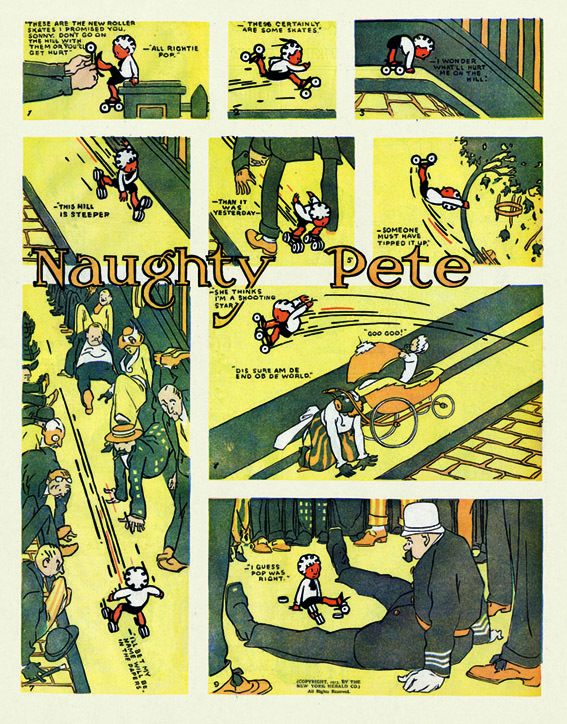 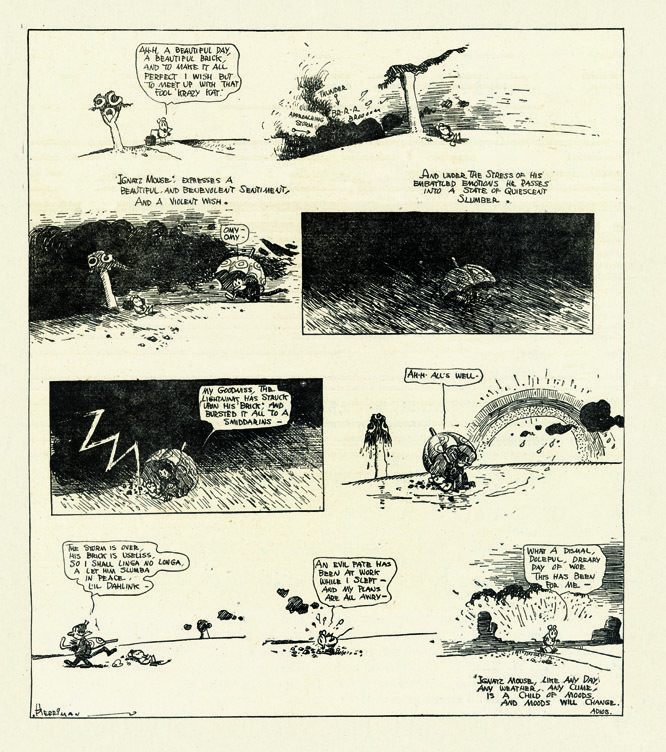 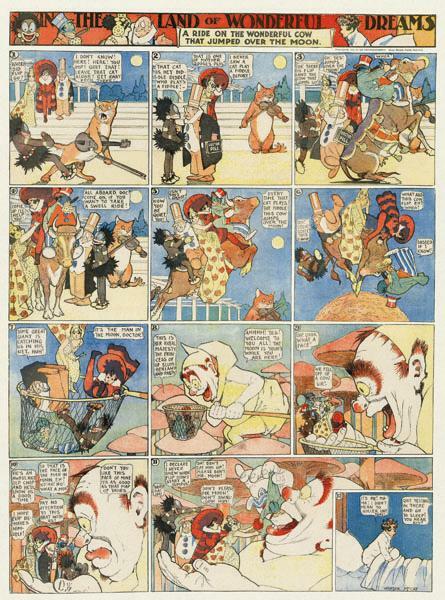 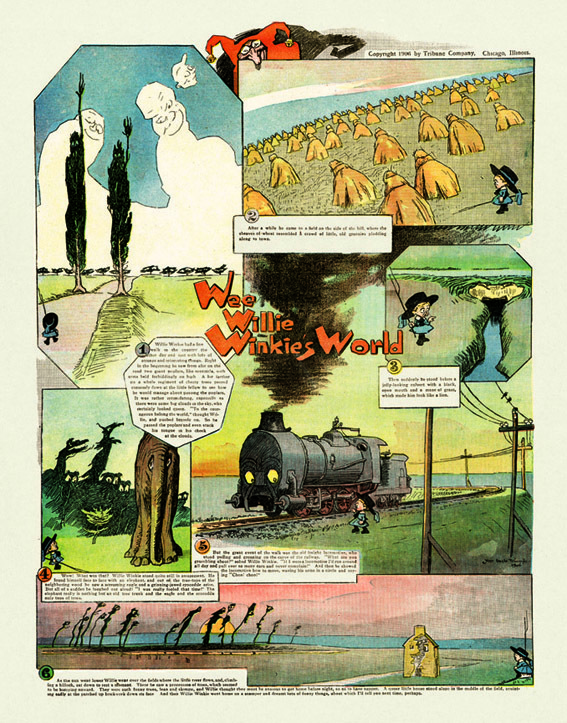 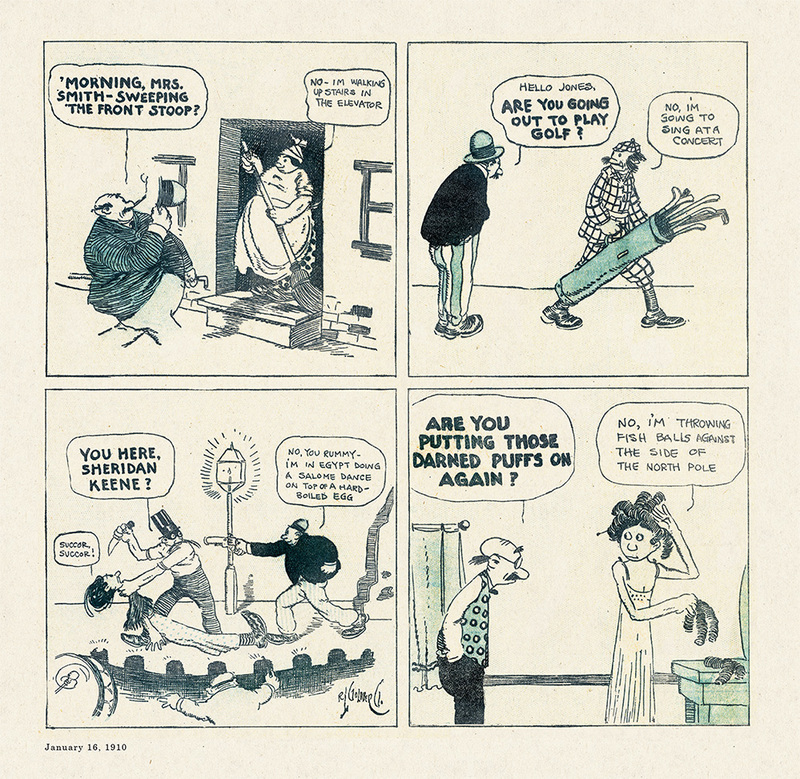 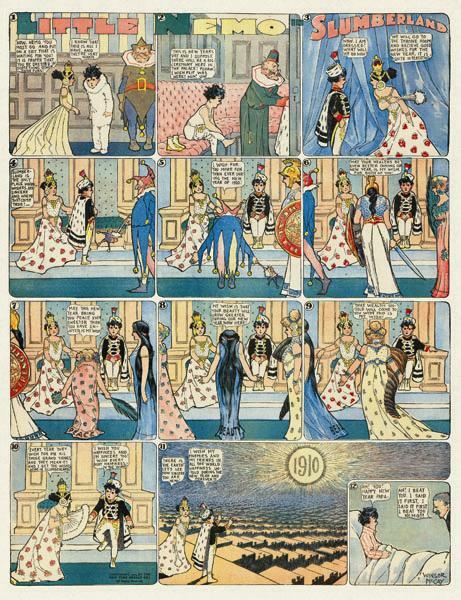 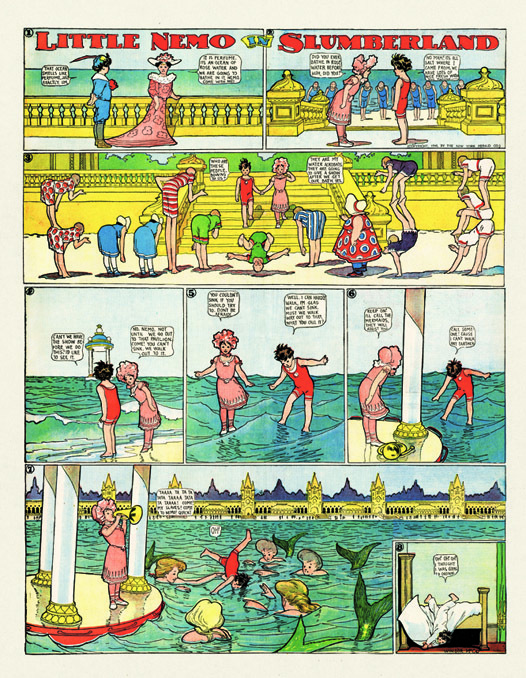 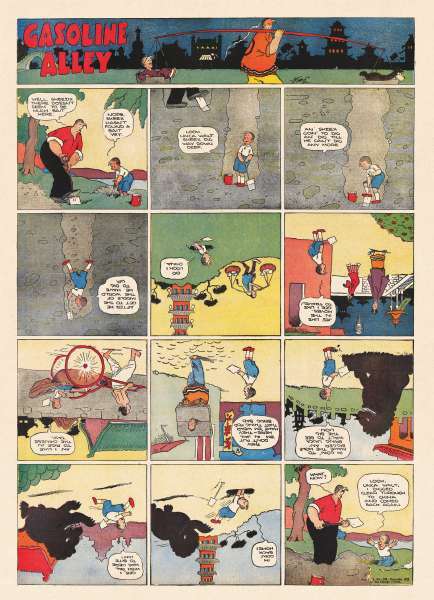 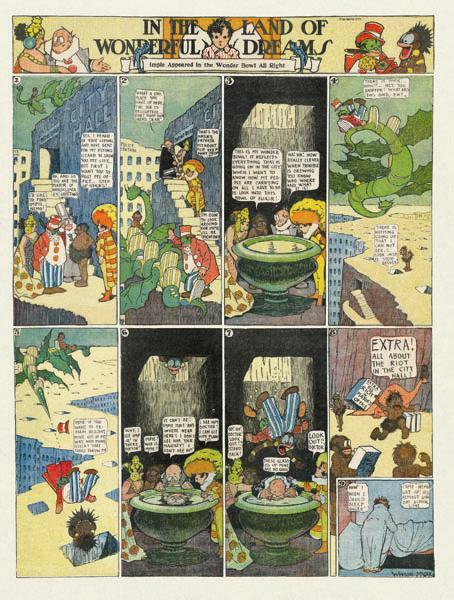 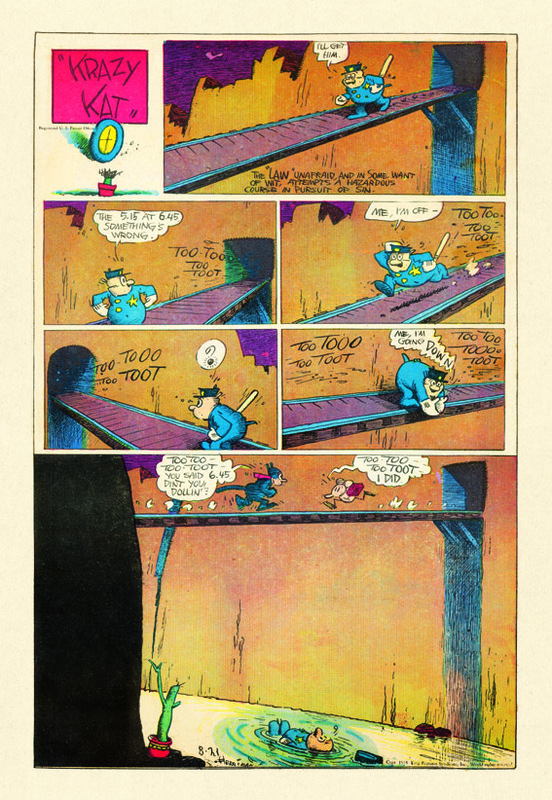 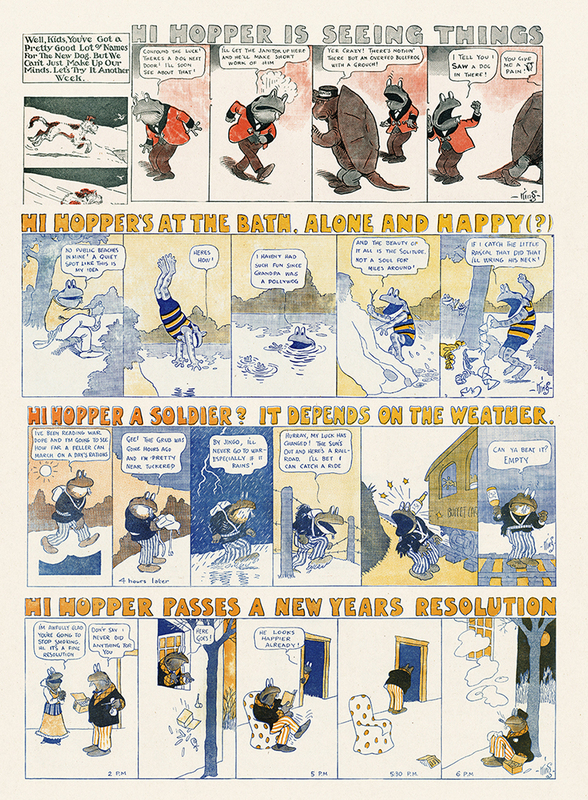 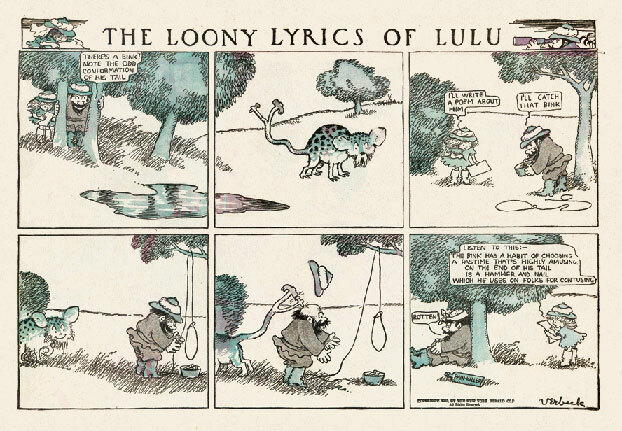 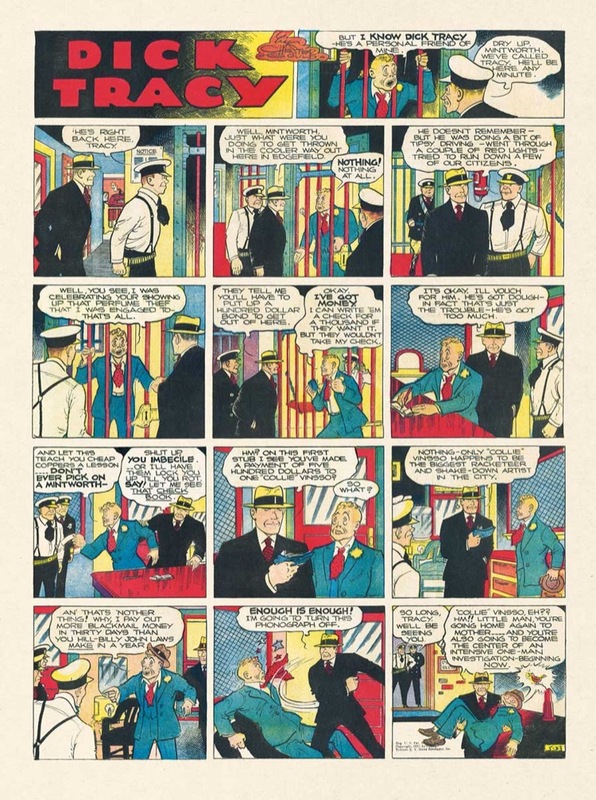 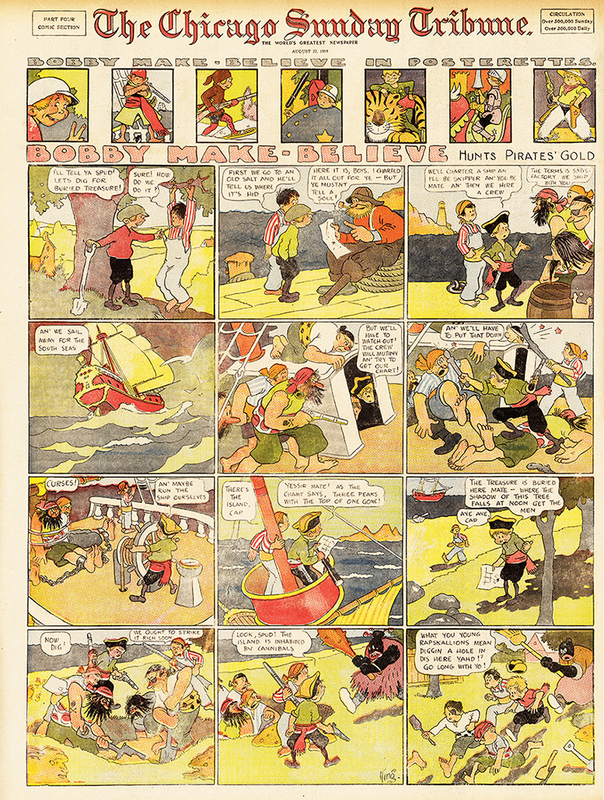 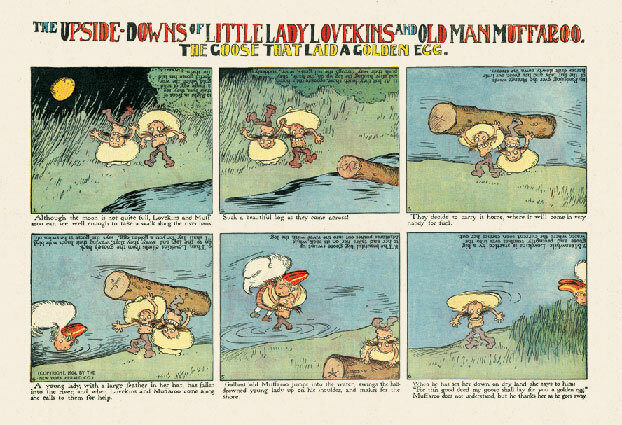 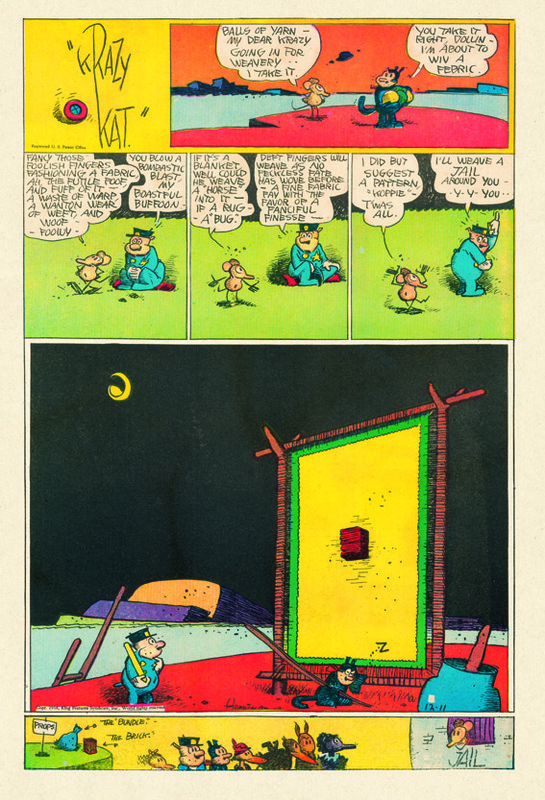 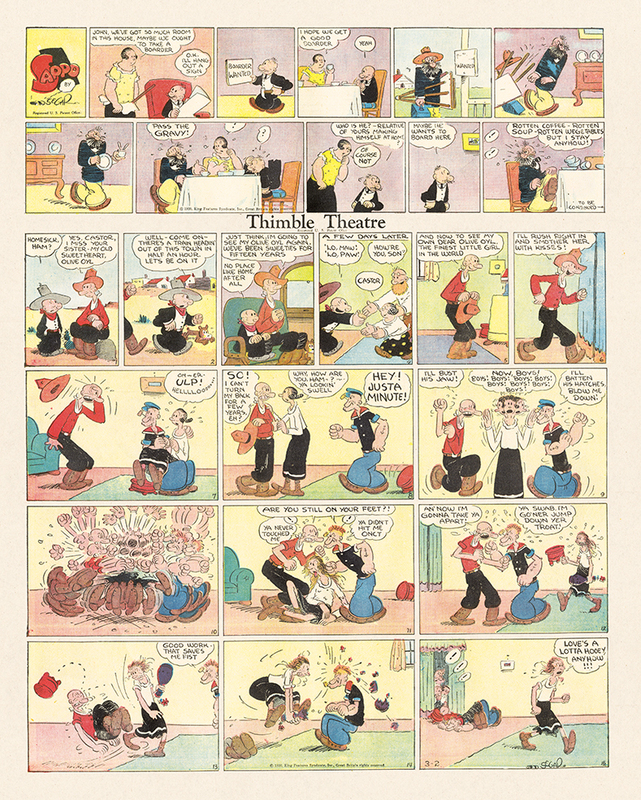 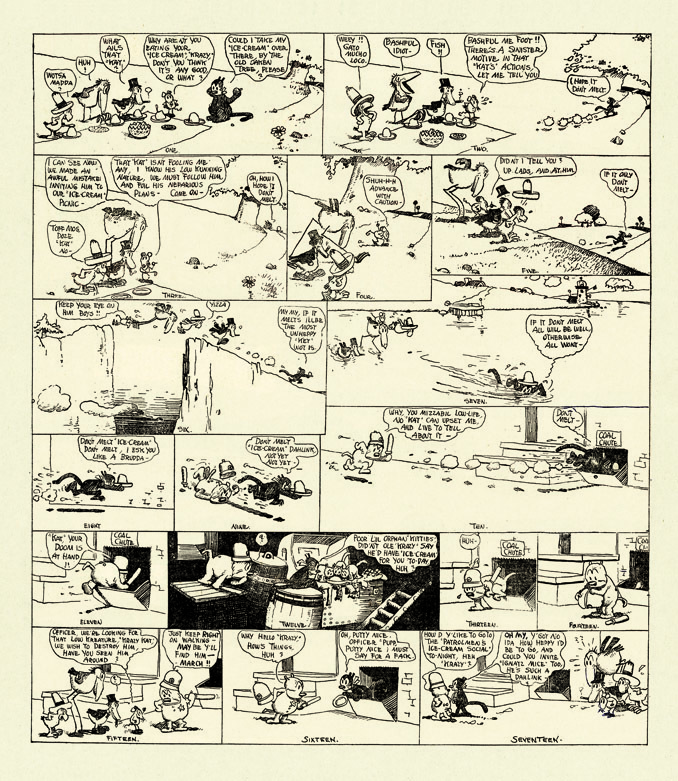 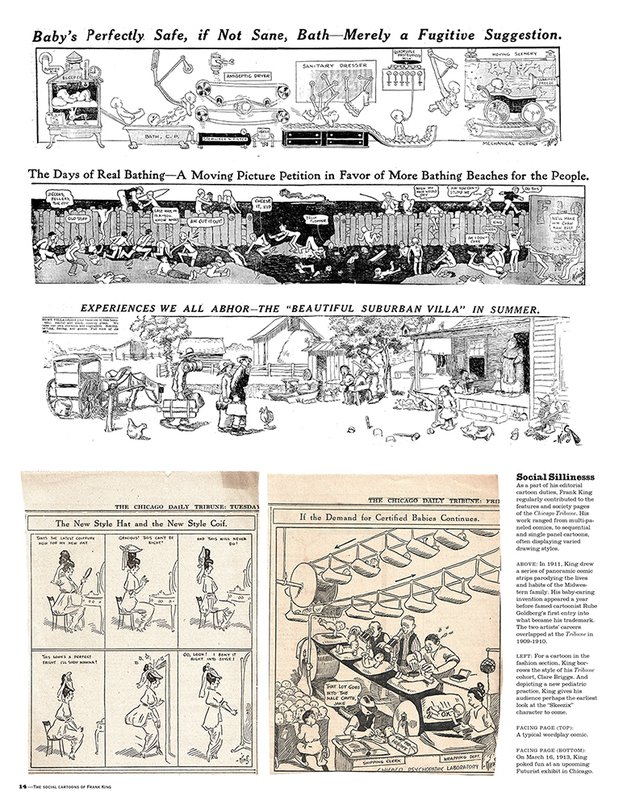 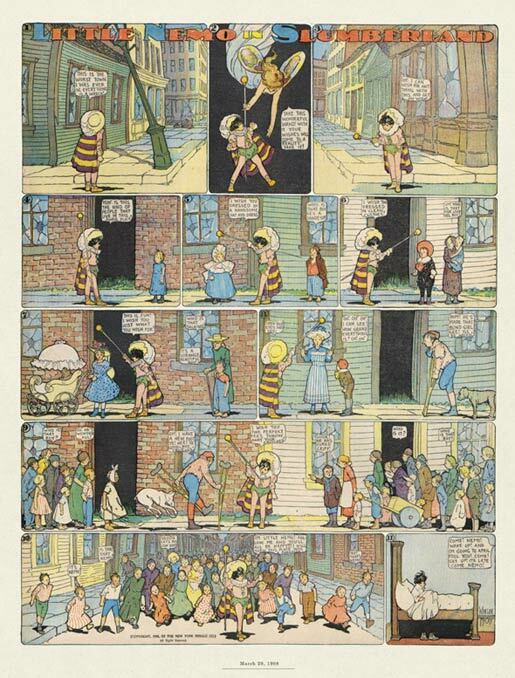 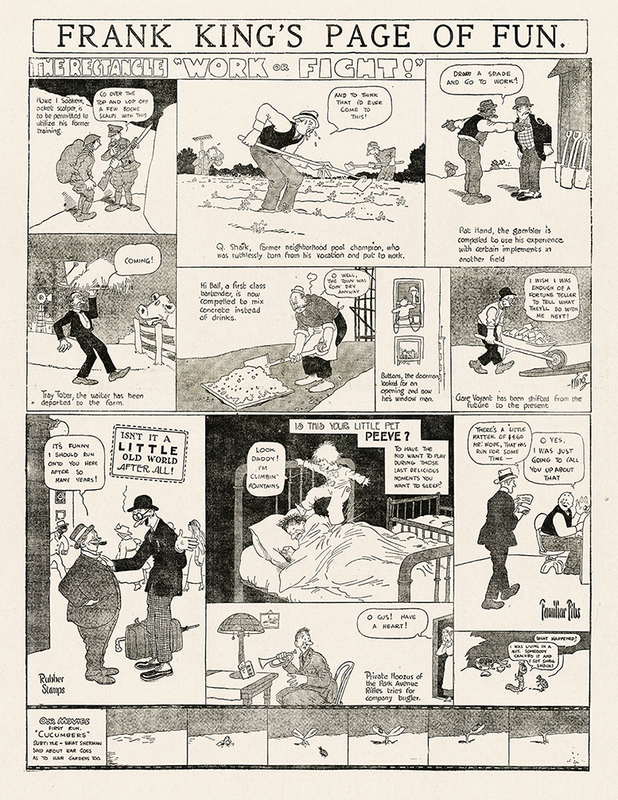 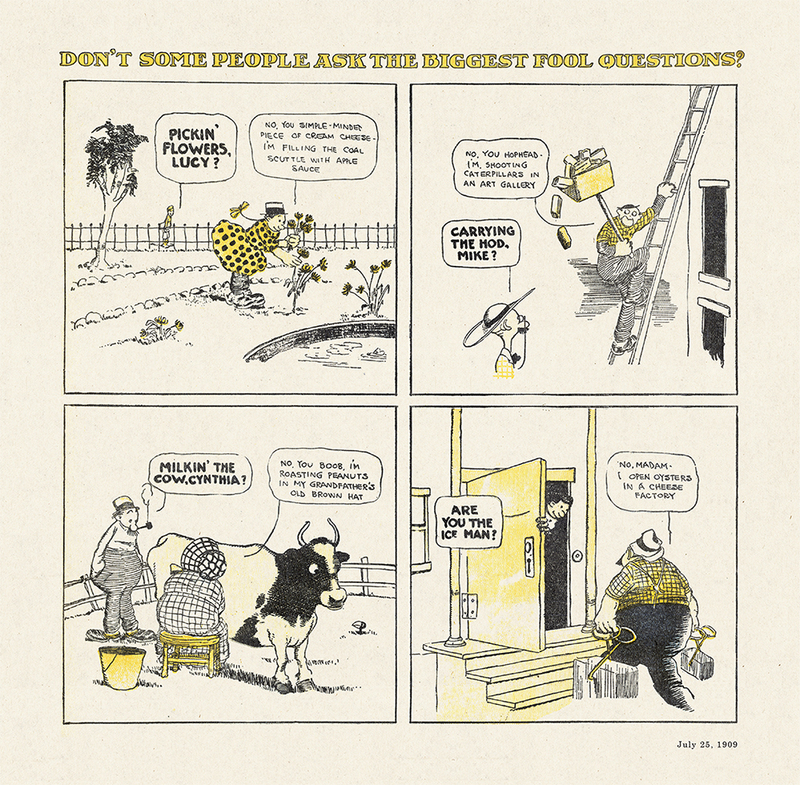 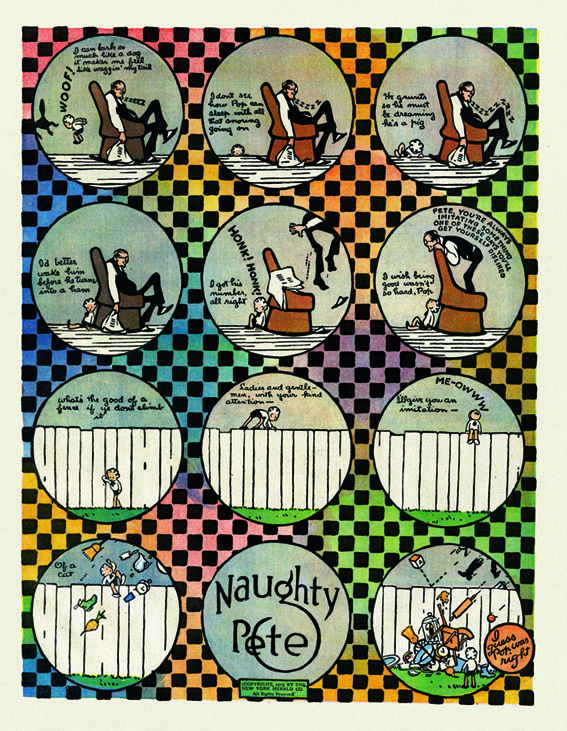 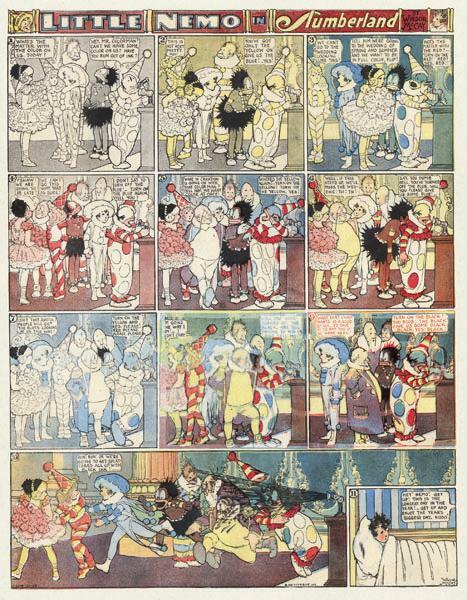 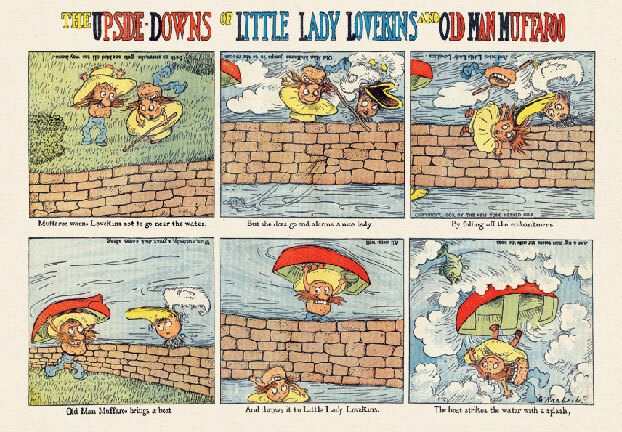 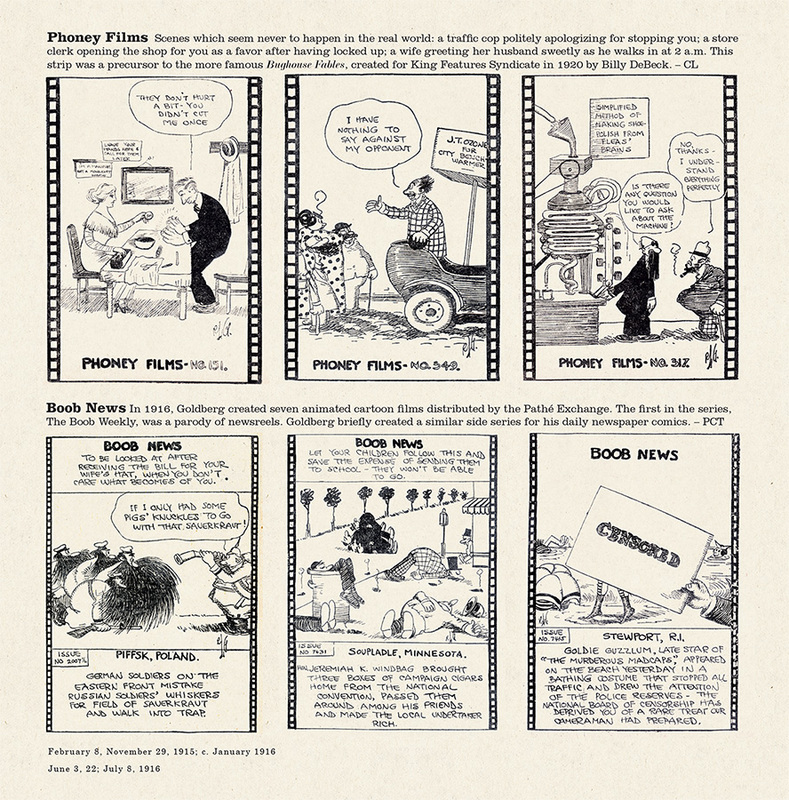 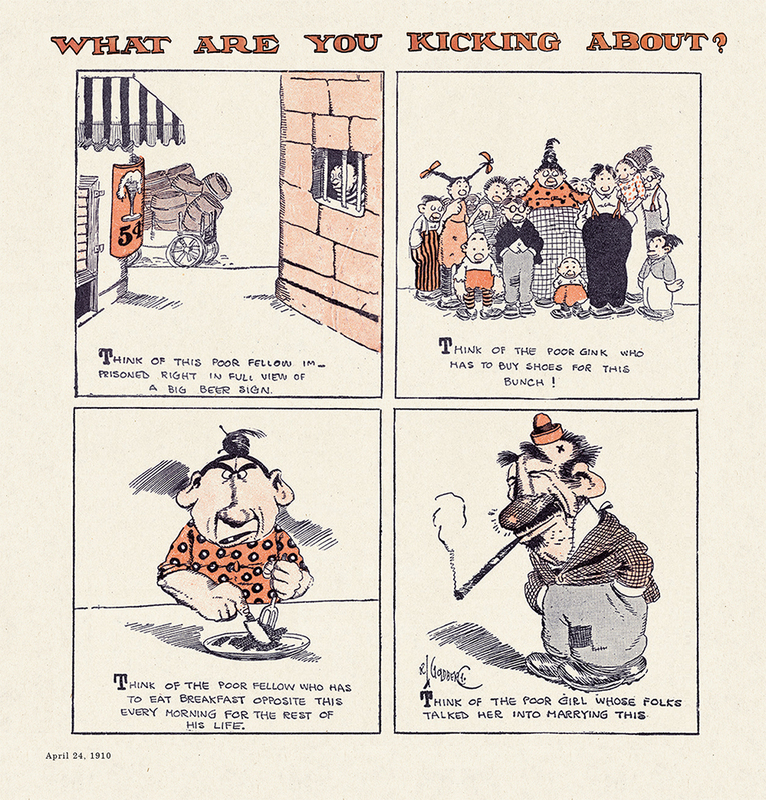 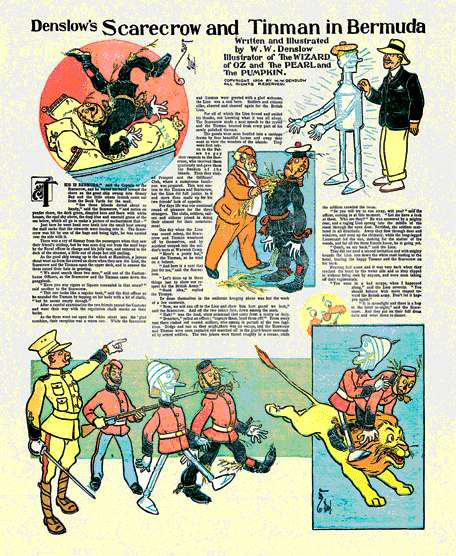 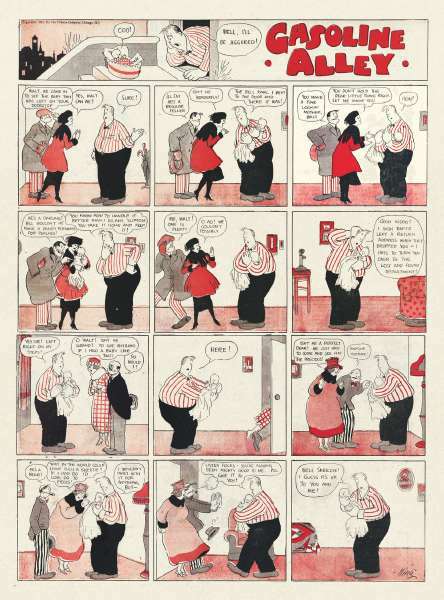 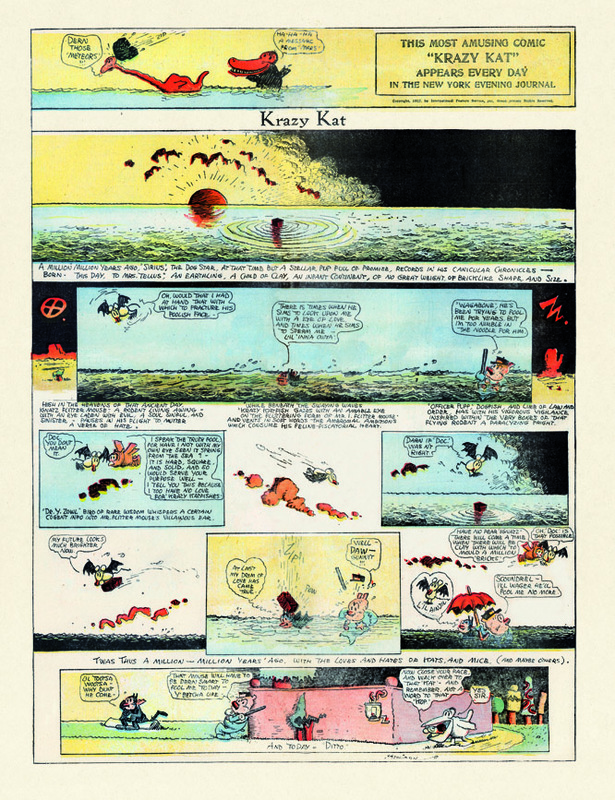 The strip originally appeared as a monochromatic half-page comic, then ran for almost a year as a full color feature, then returned to monochrome and was reduced to one-third full size, often appearing on the back of Little Nemo in Slumberland . 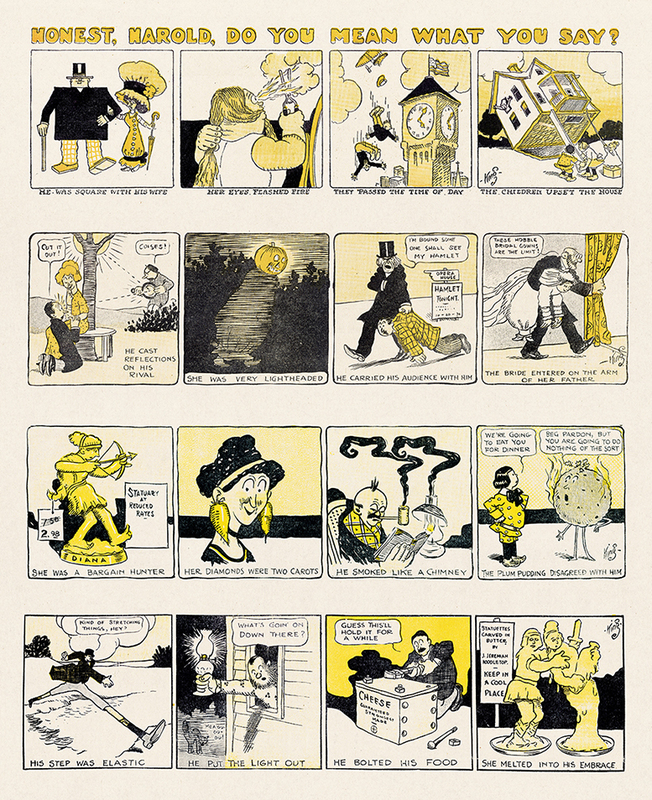 Sammy ended quietly in 1906, eclipsed by its brilliant successor. 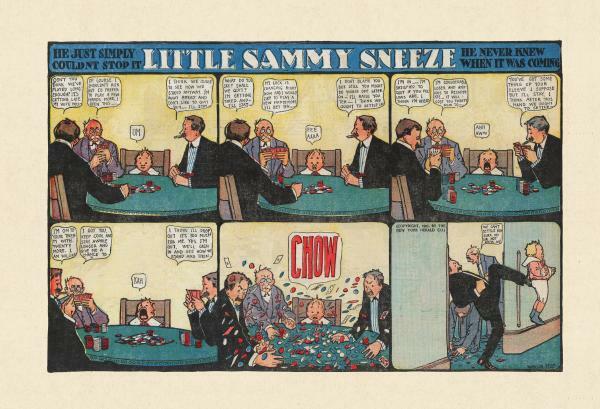 But just like the innocent actions of its protagonist, this book demonstrates that Little Sammy Sneeze tosses an unexpected wallop at the world of comic strip art.